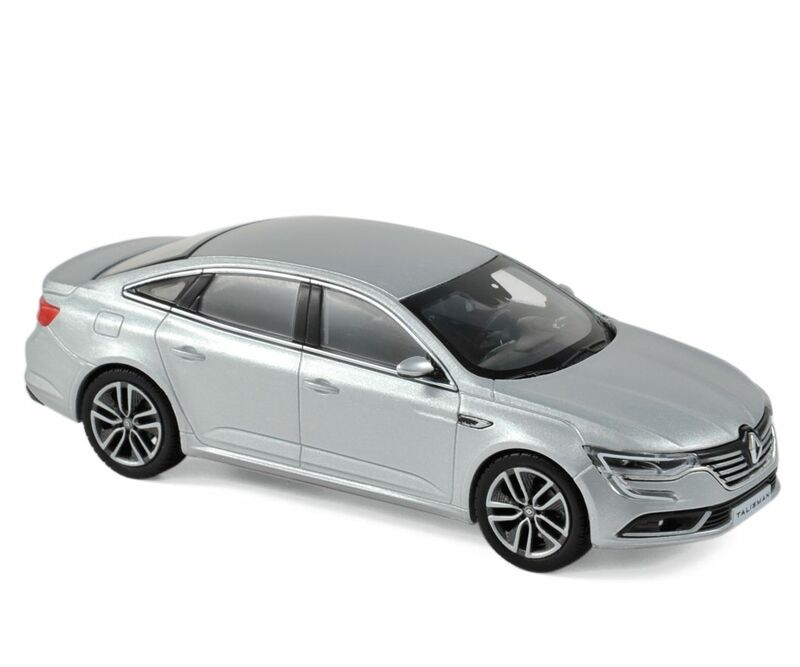 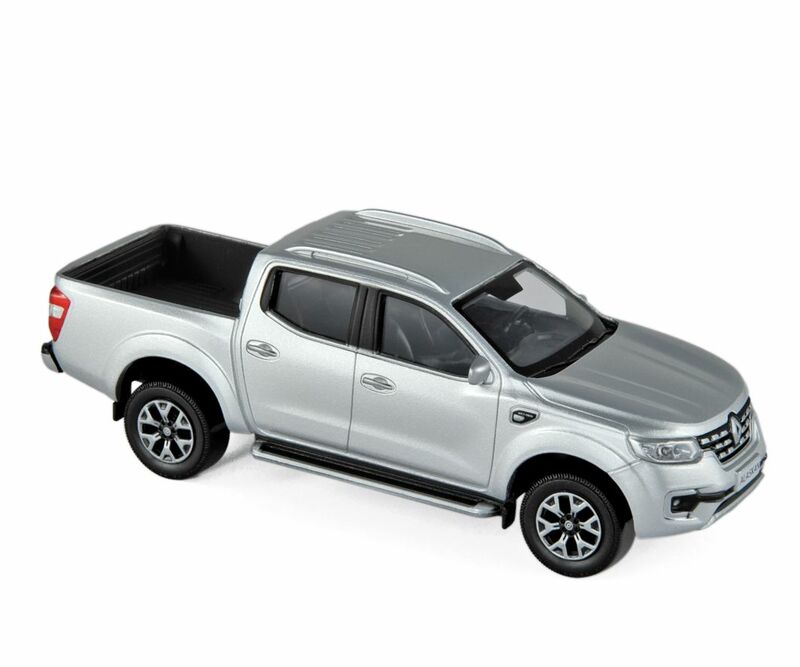 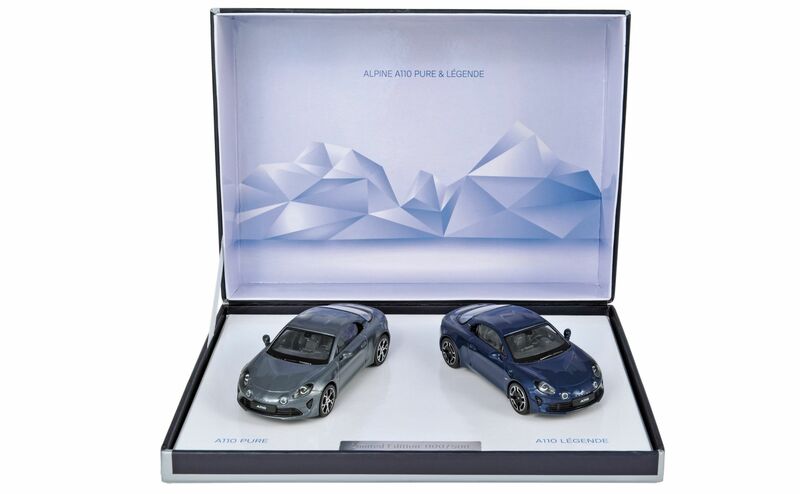 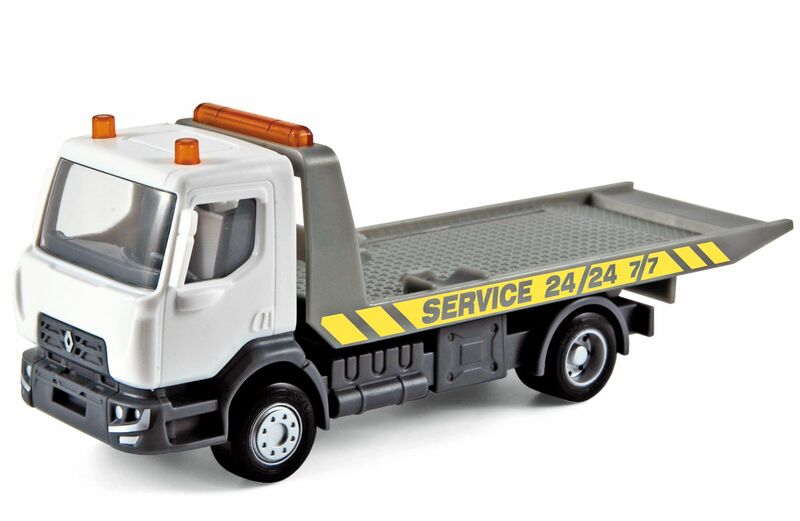 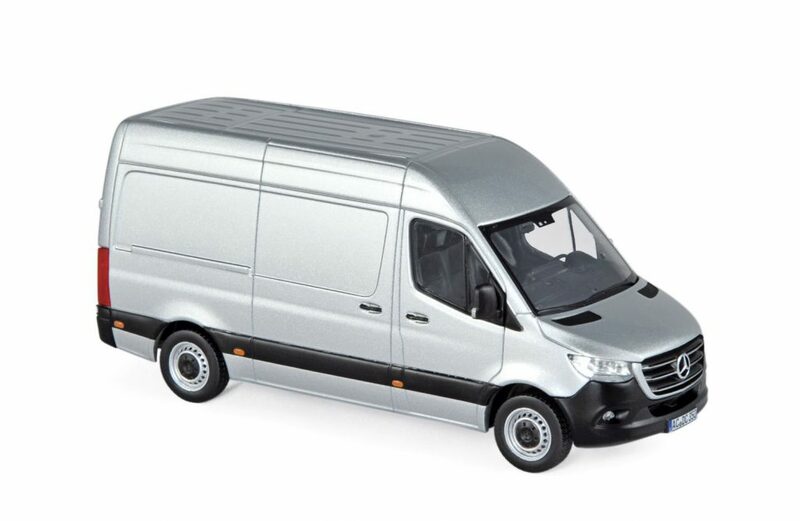 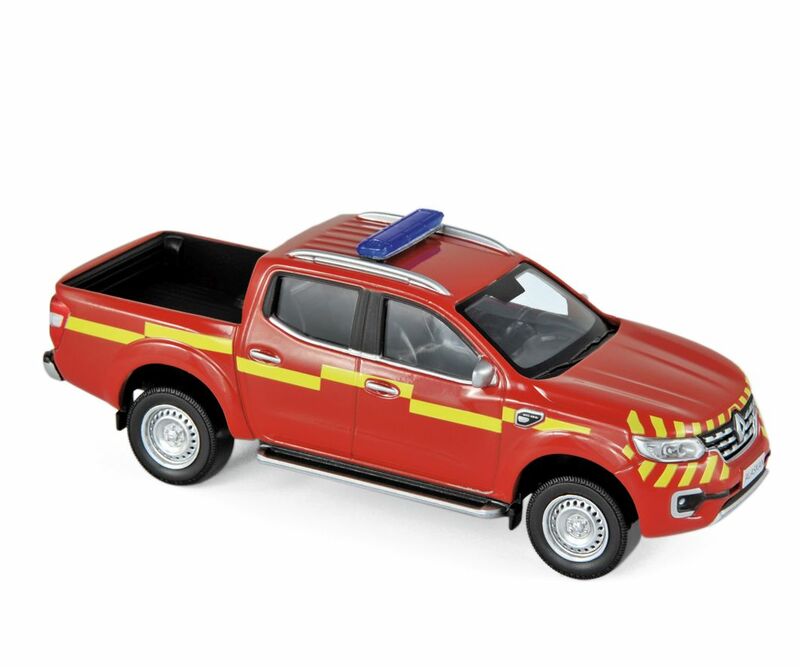 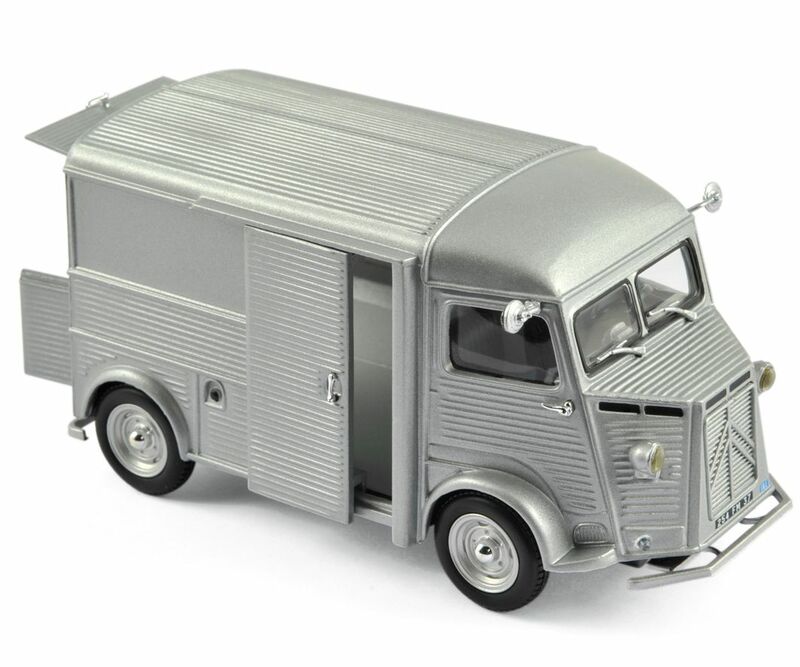 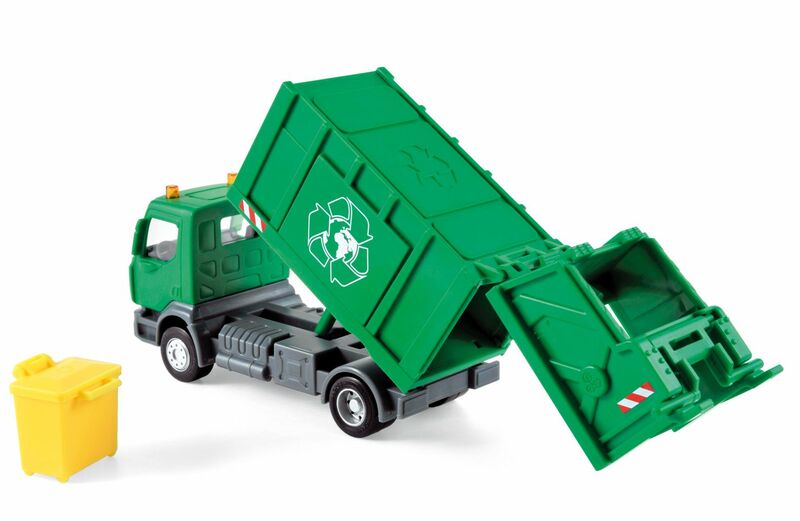 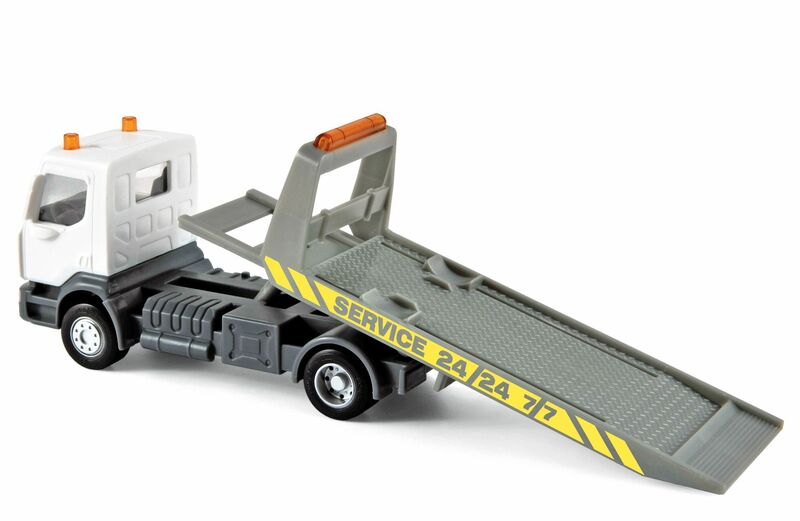 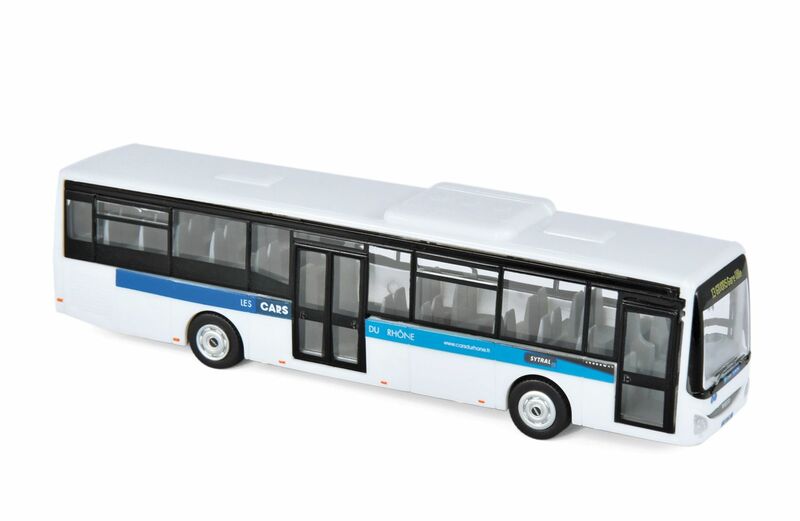 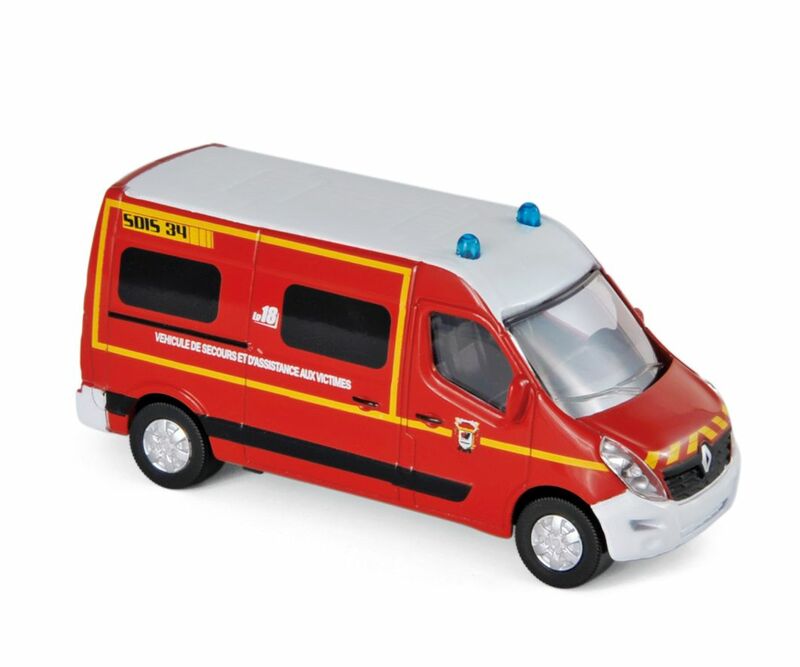 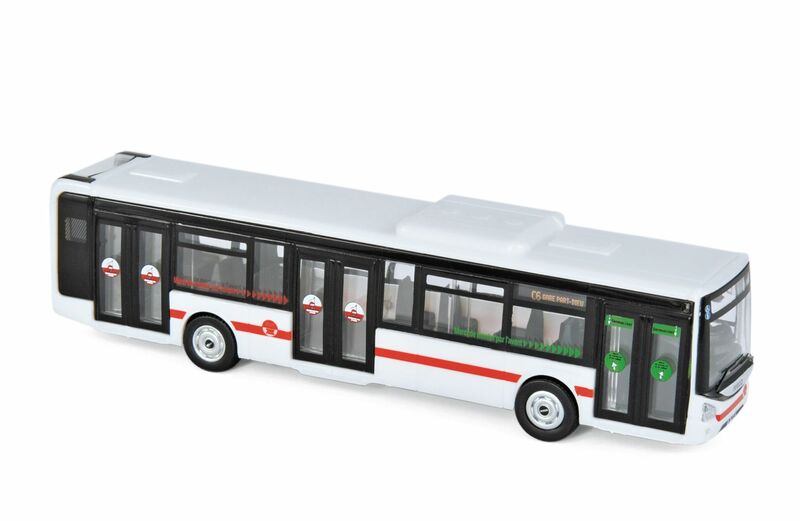 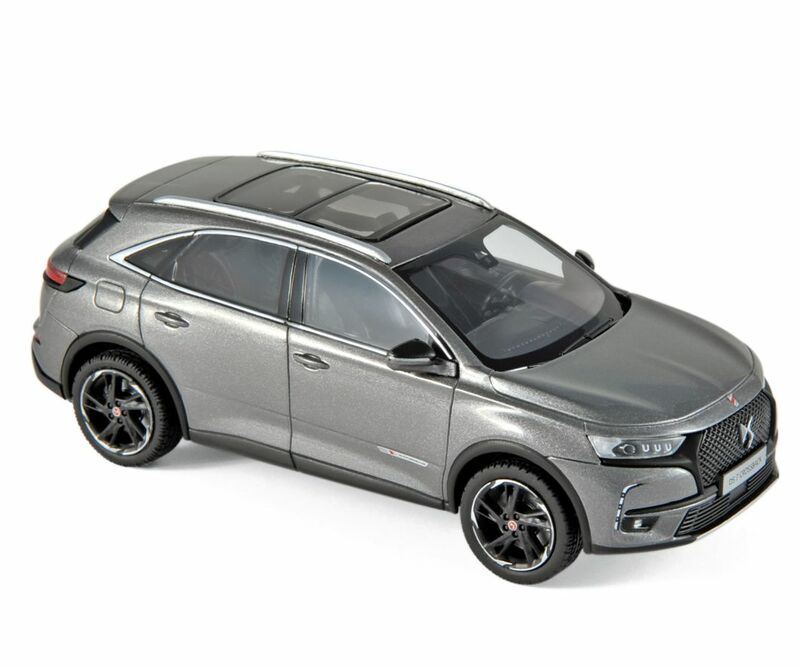 The latest instalment of the DInky Deluxe Series arrived from Atlas recently. 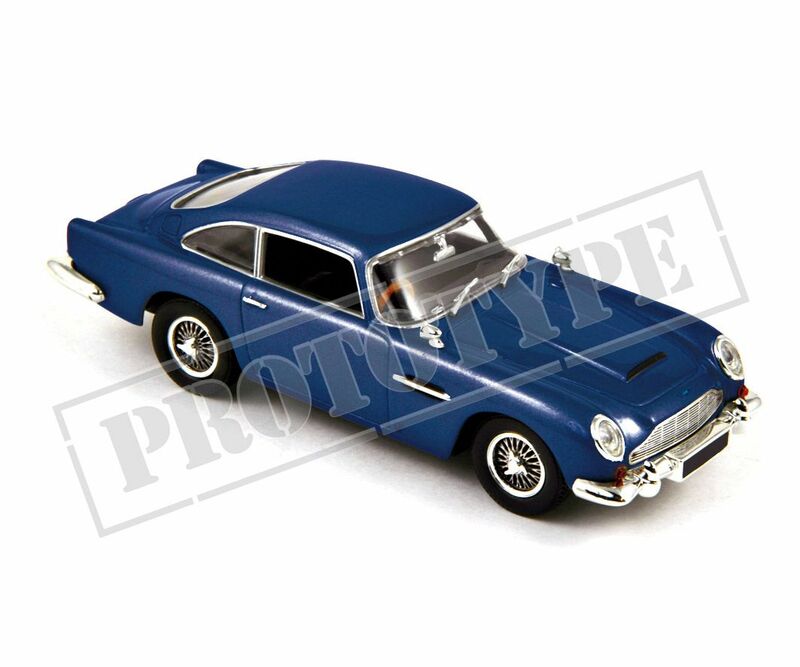 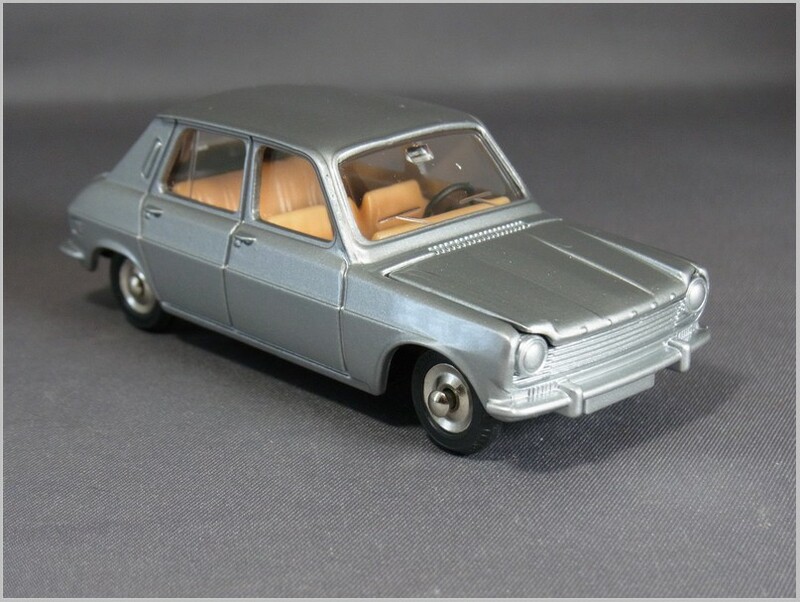 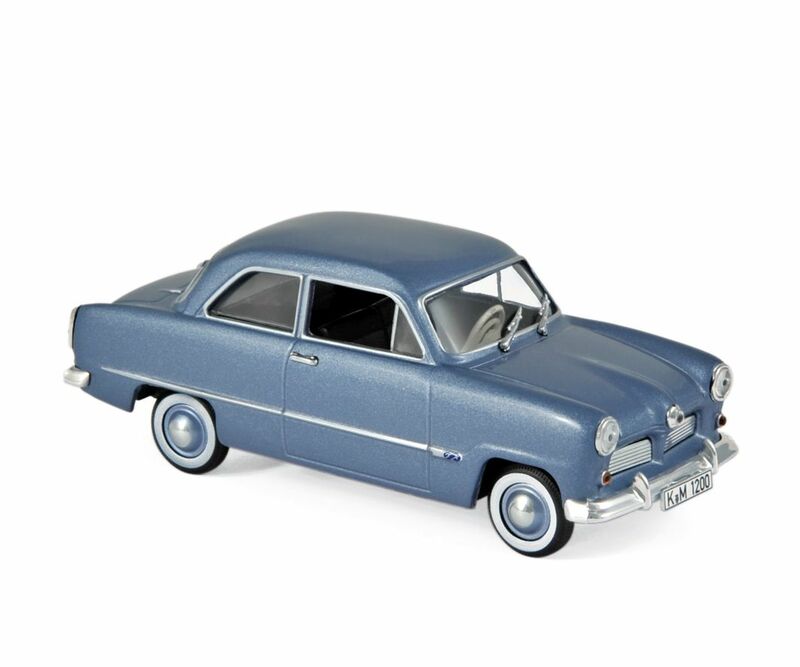 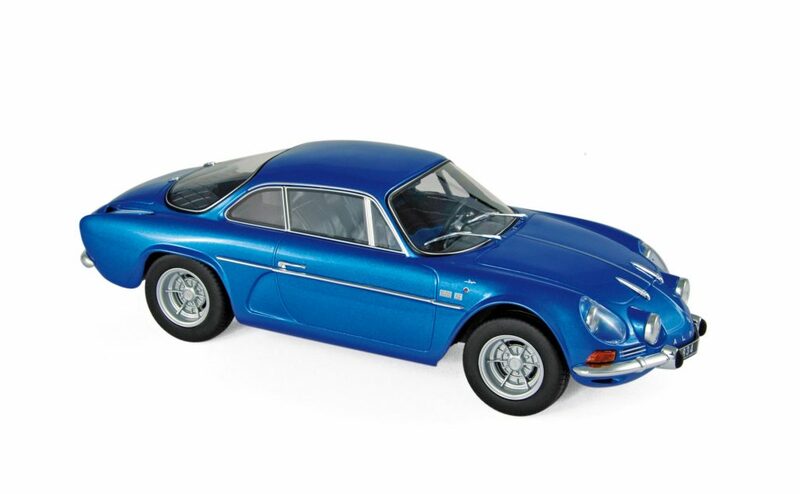 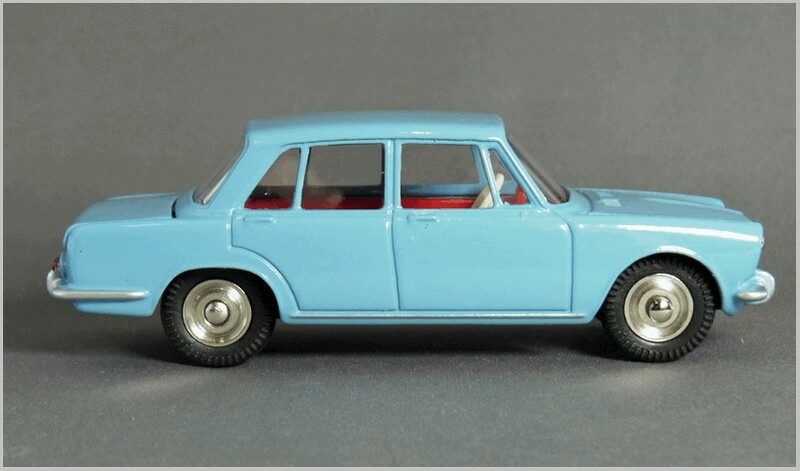 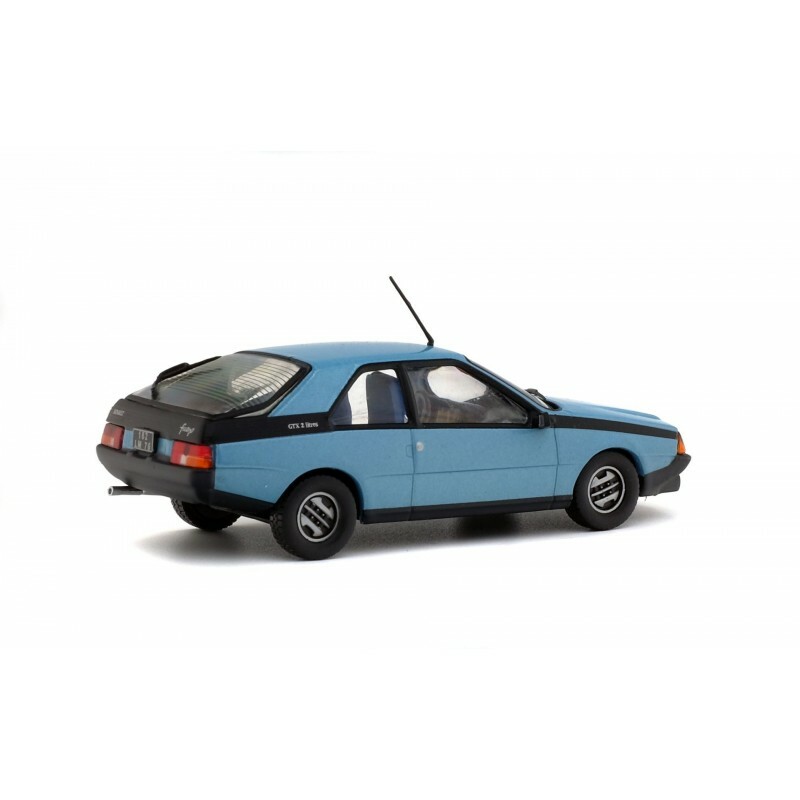 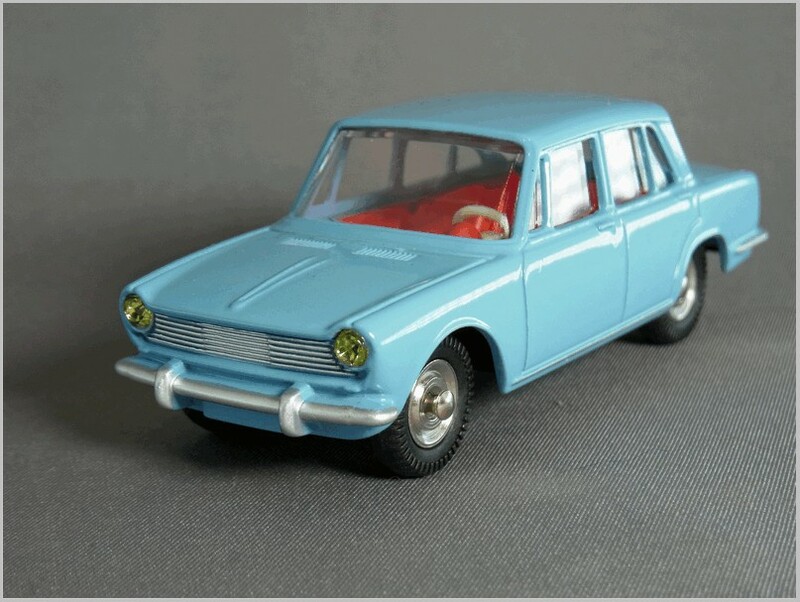 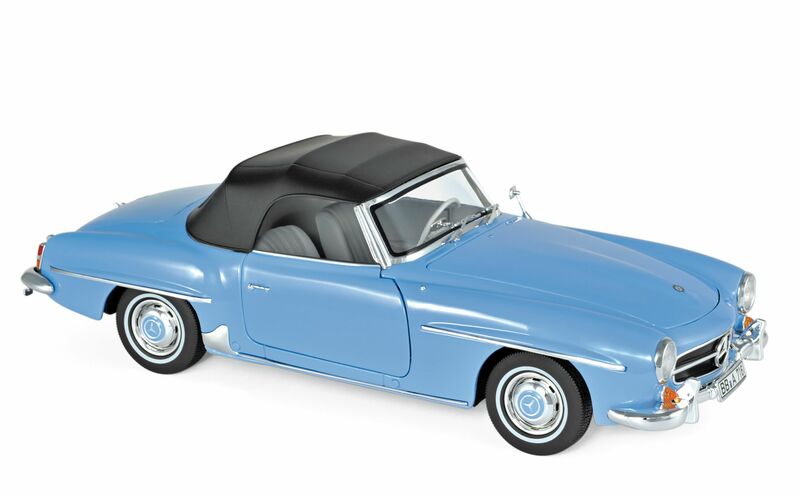 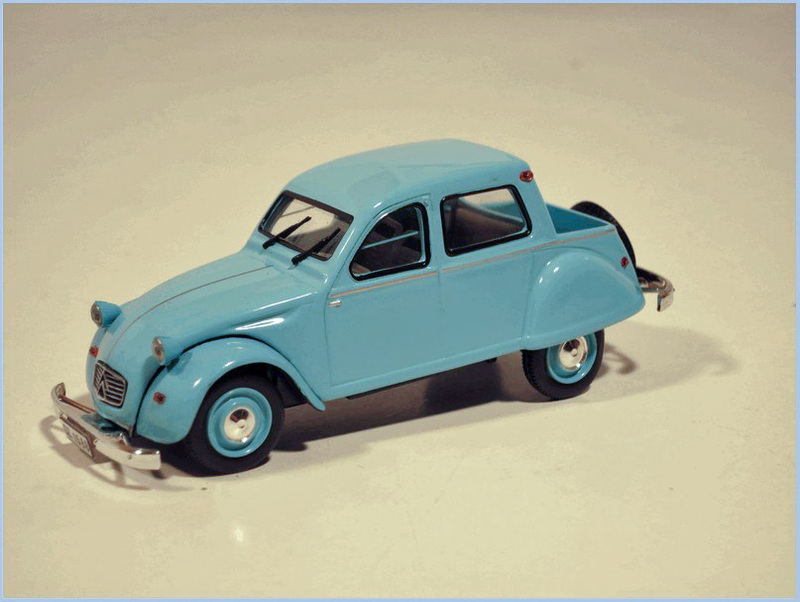 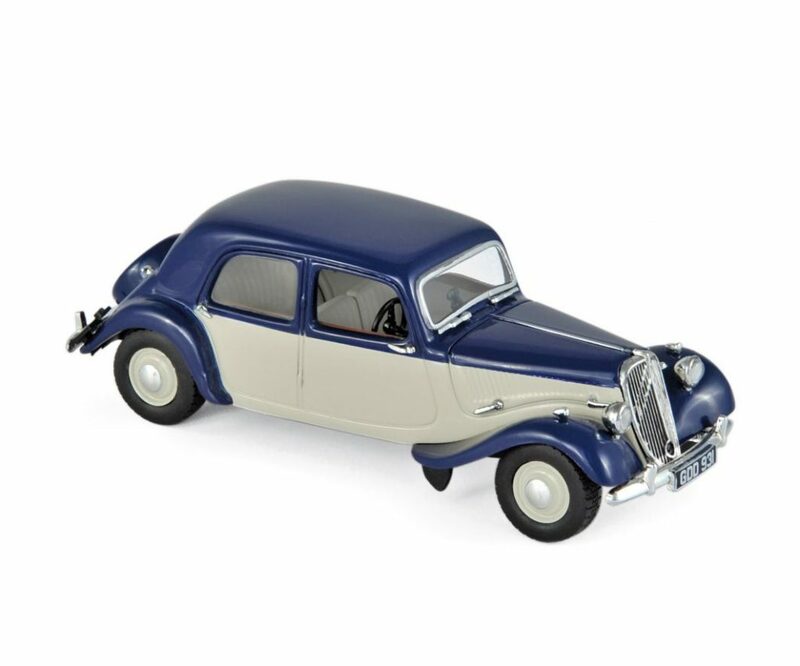 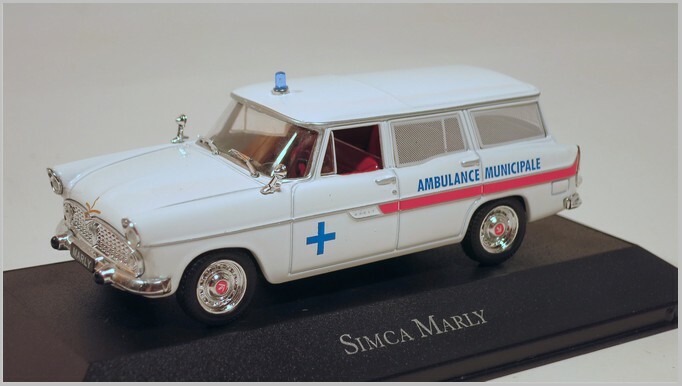 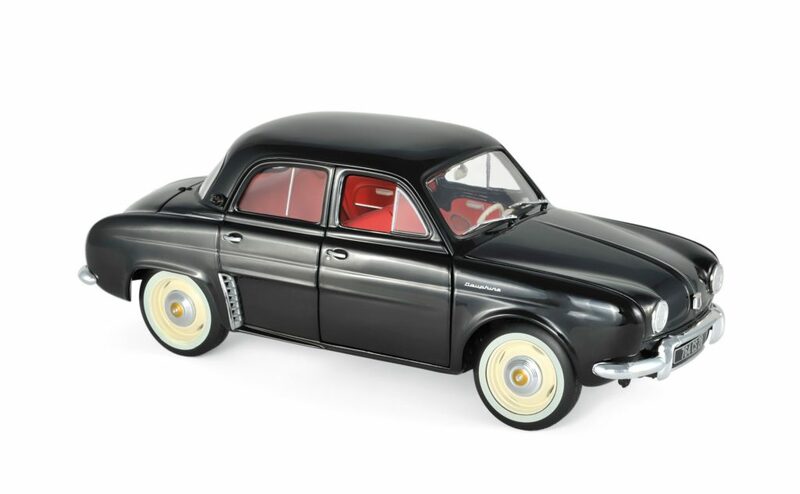 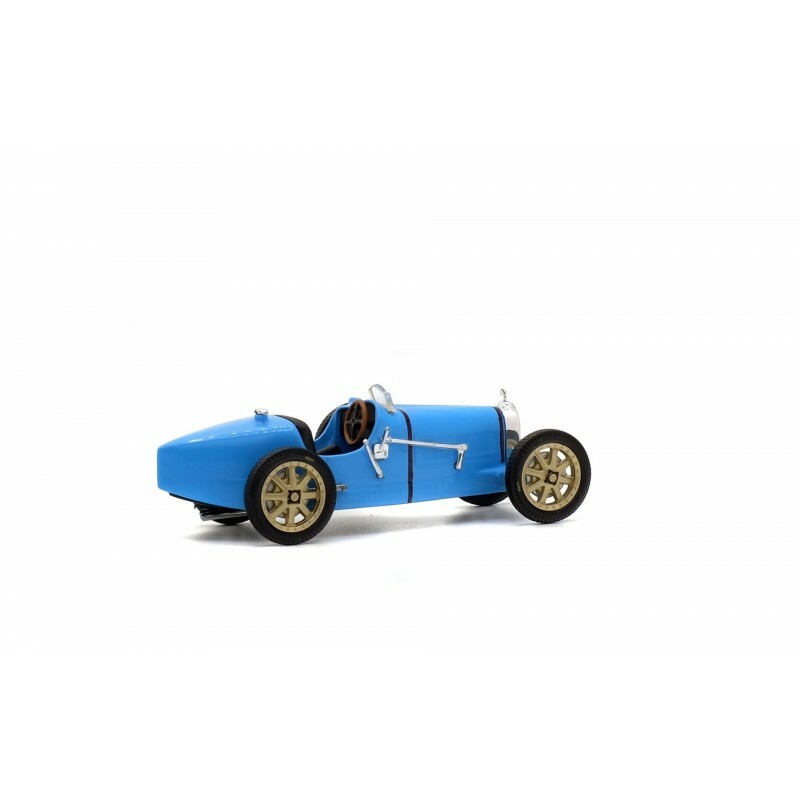 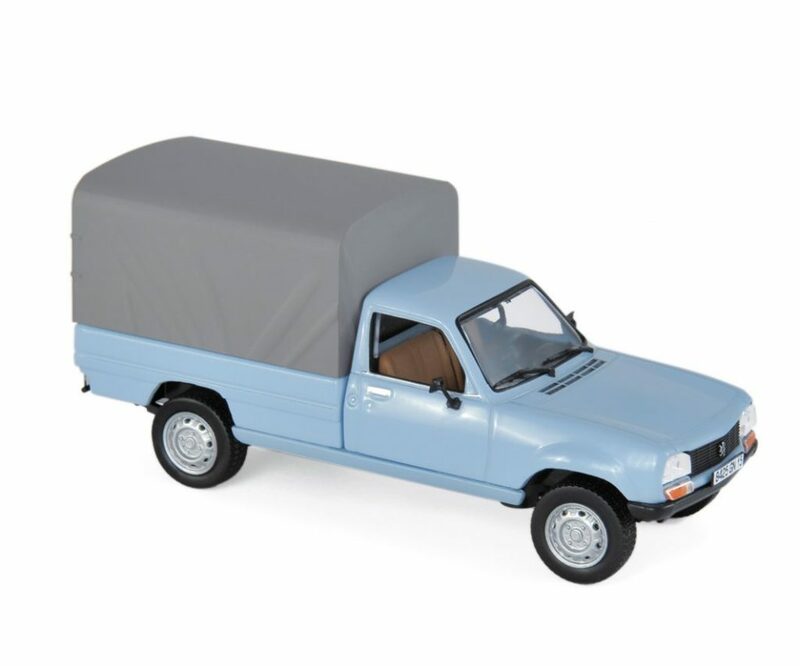 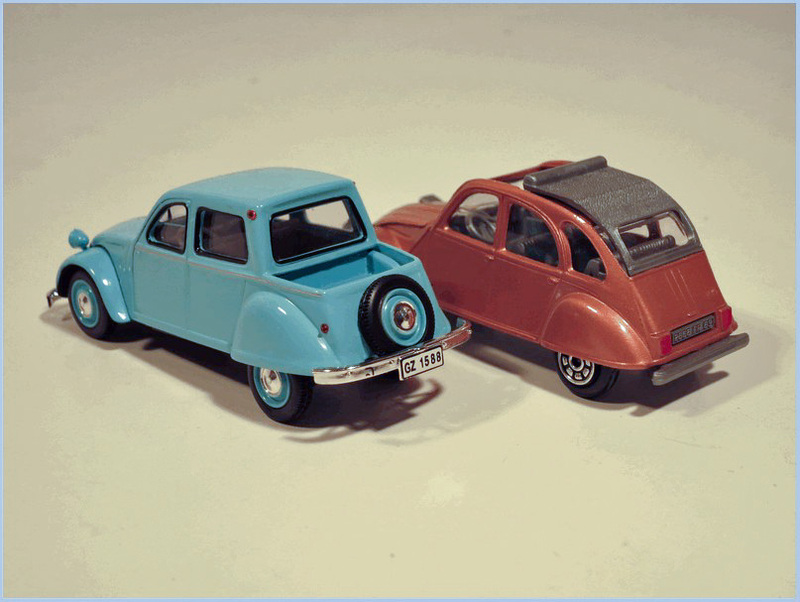 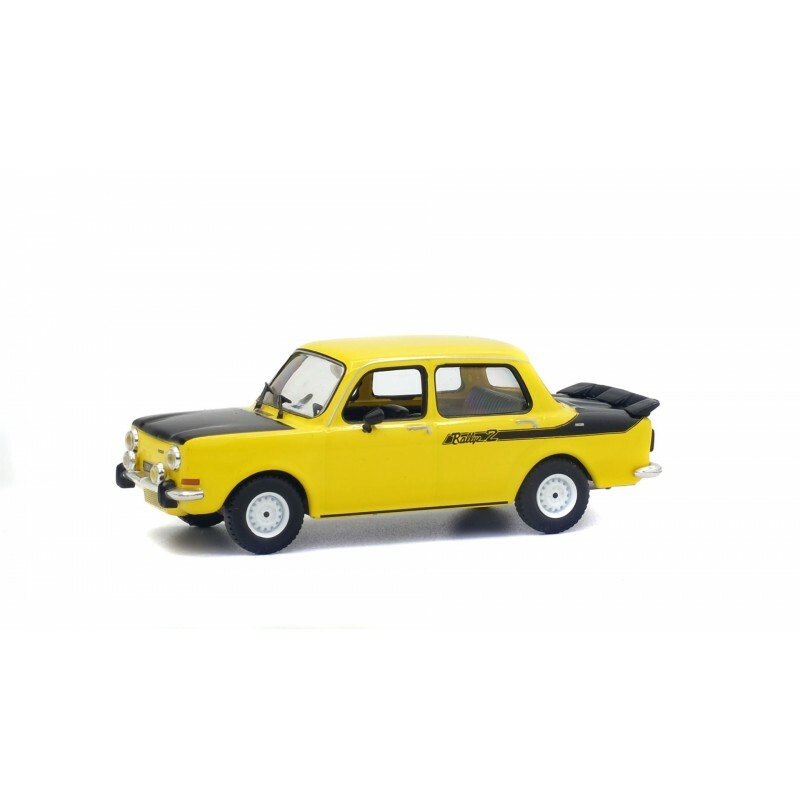 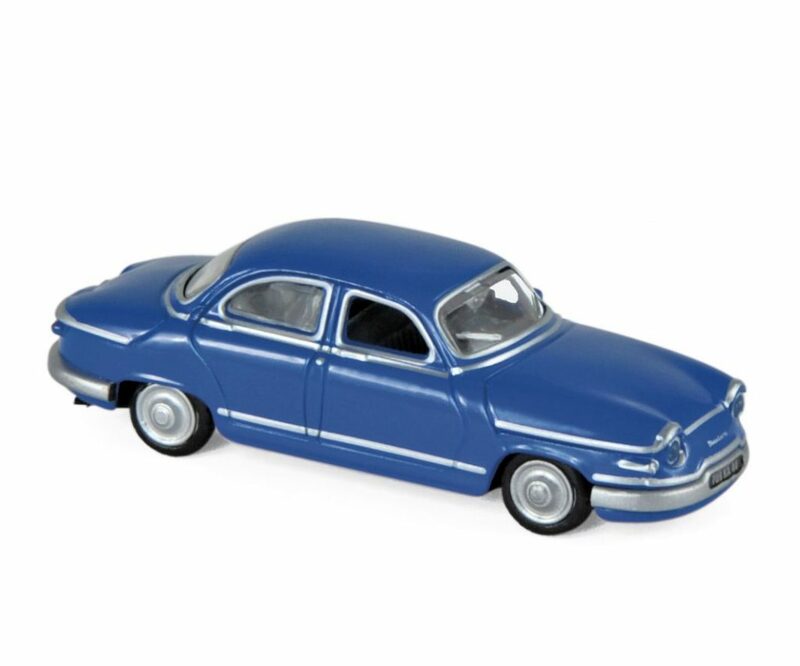 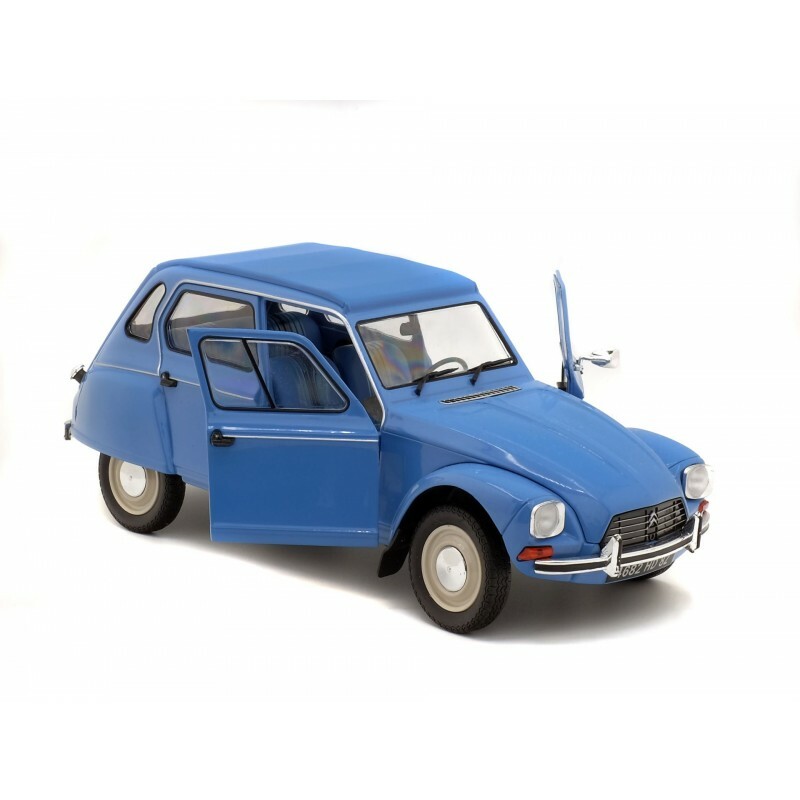 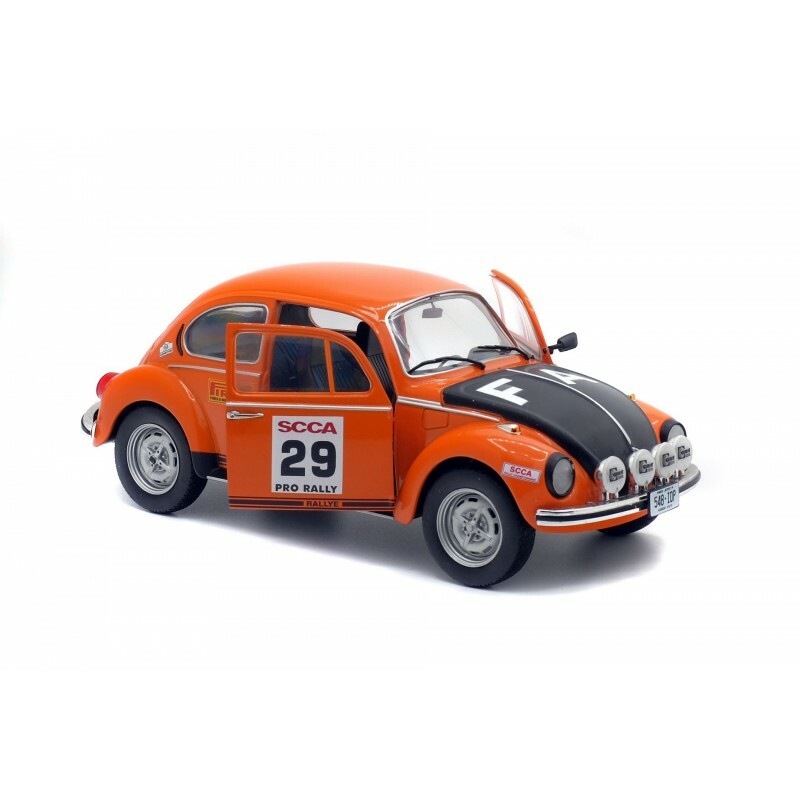 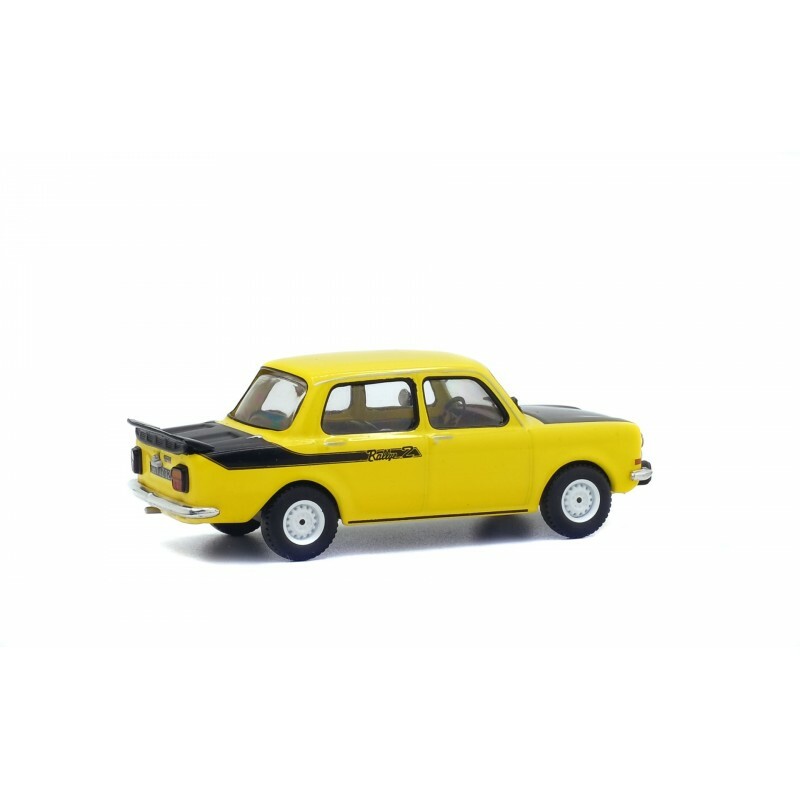 It is a reproduction of French Dinky 523 Simca 1500 painted in light blue one of the two colours seen on this casting, the other was metallic grey. 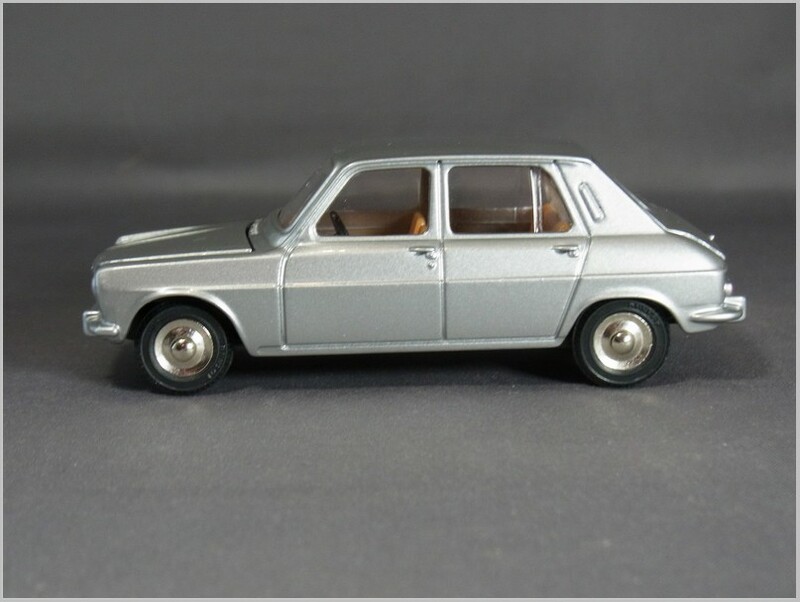 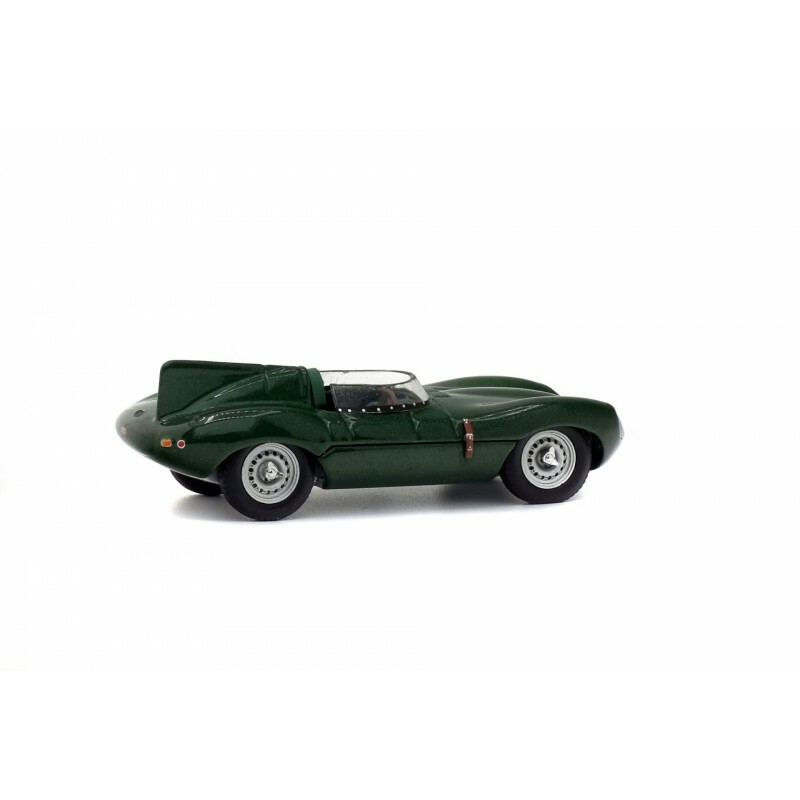 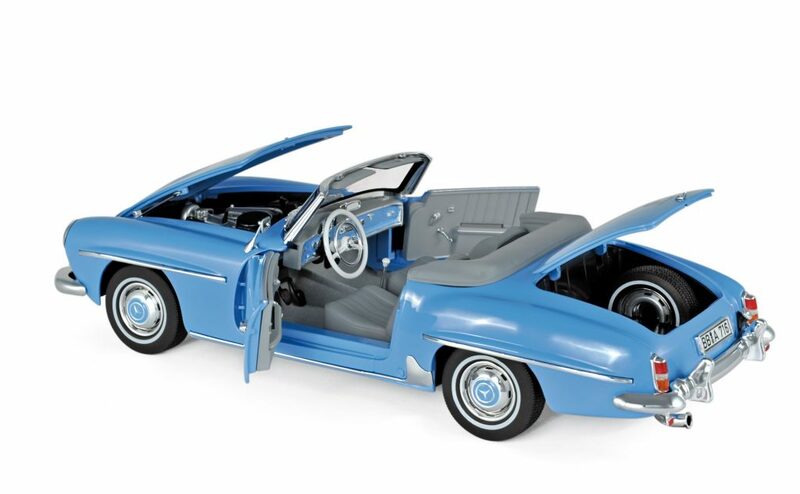 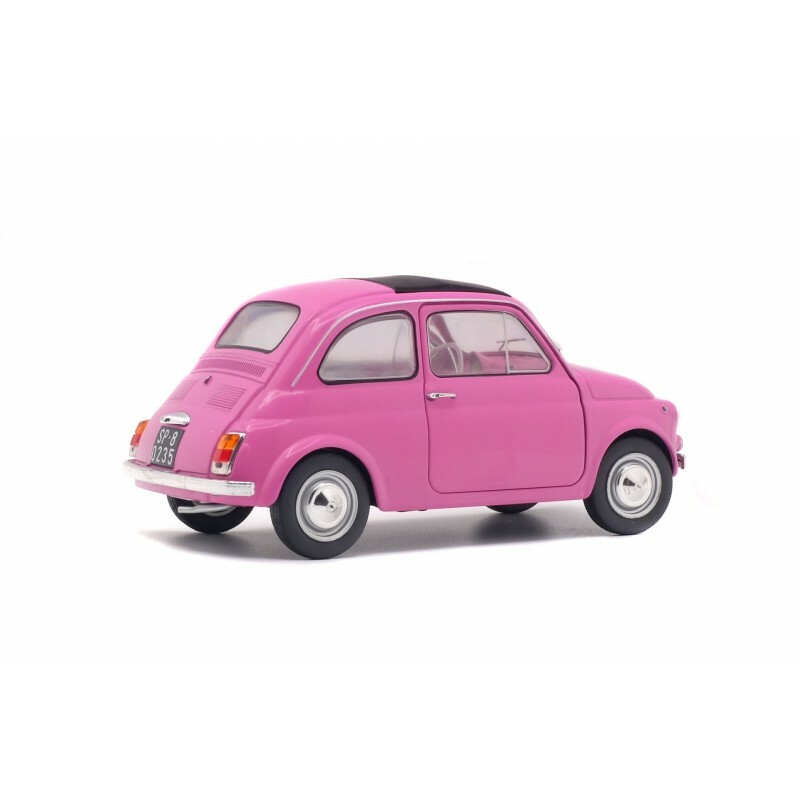 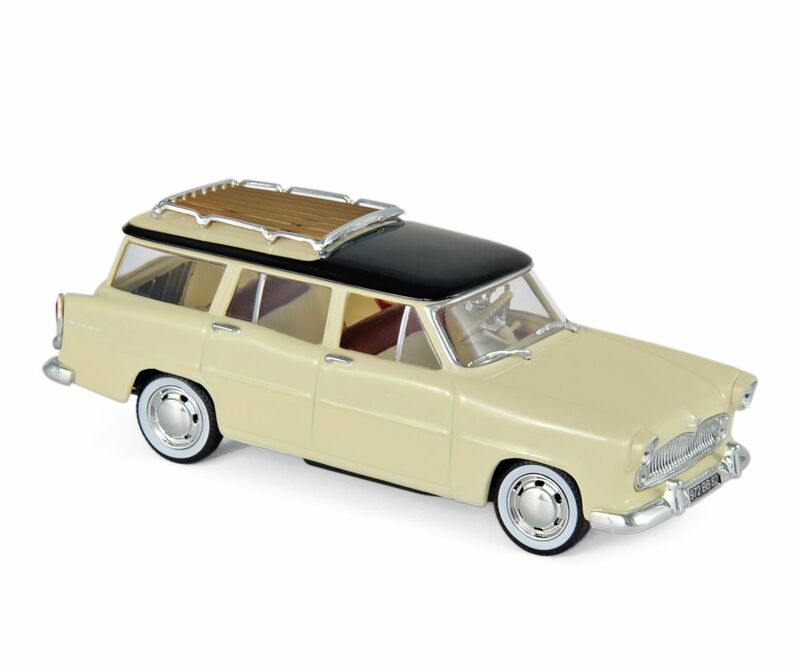 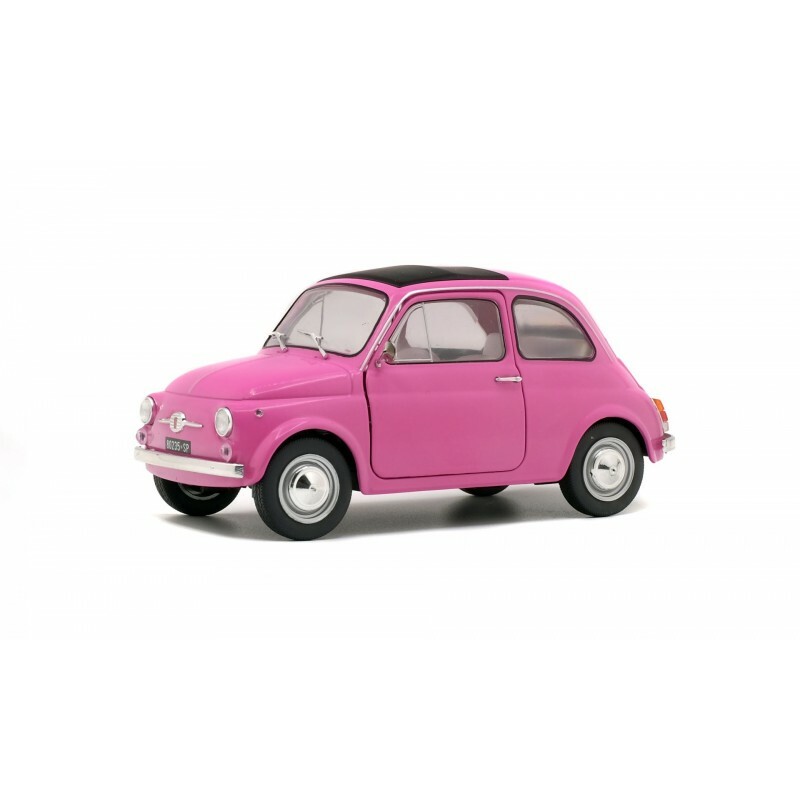 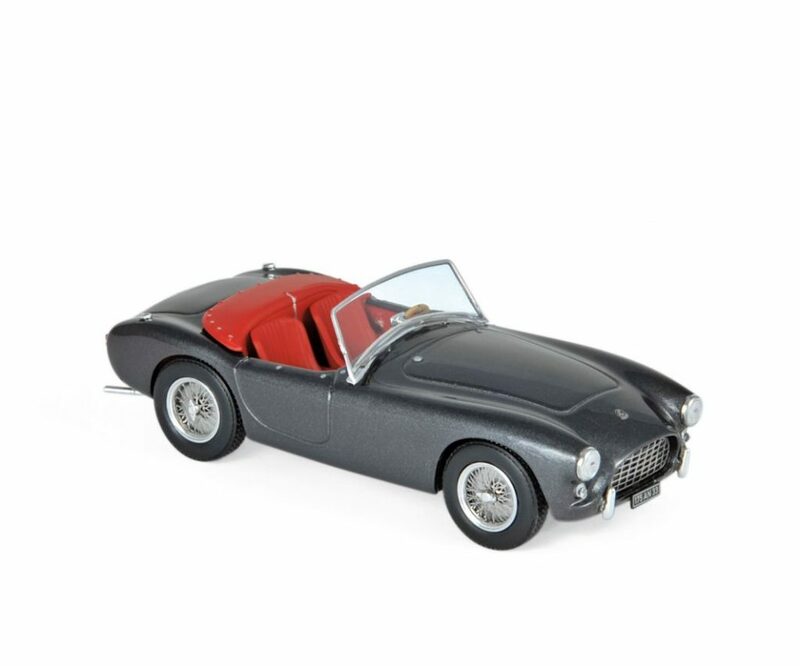 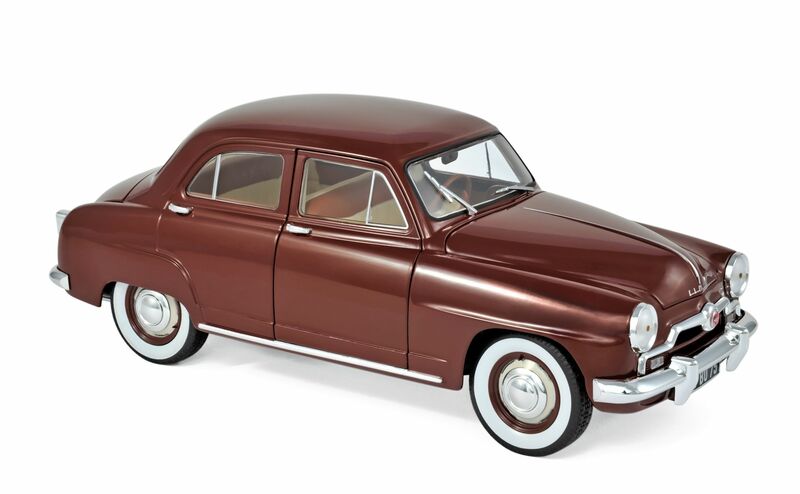 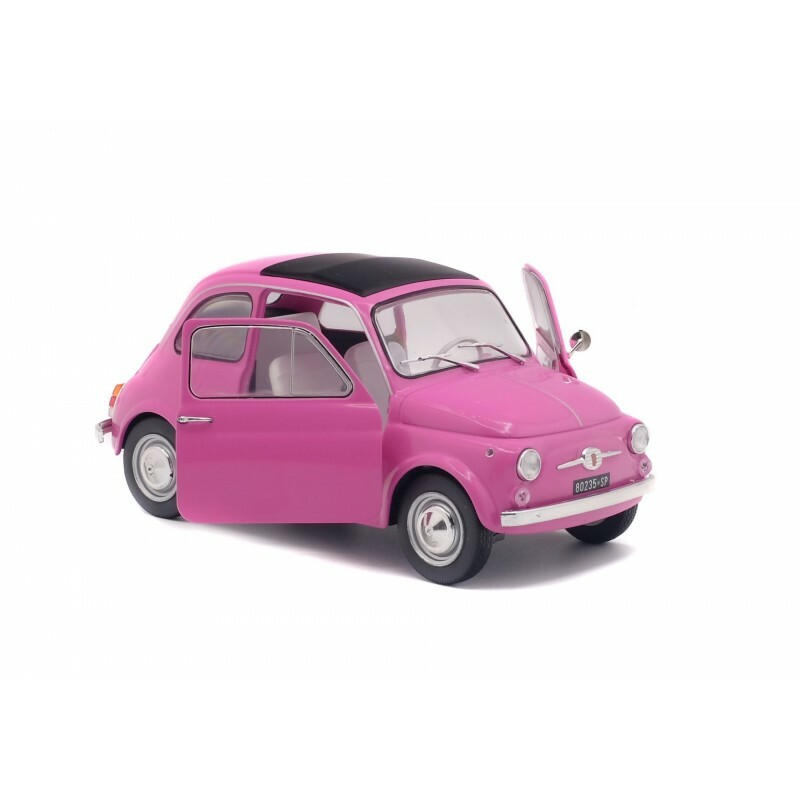 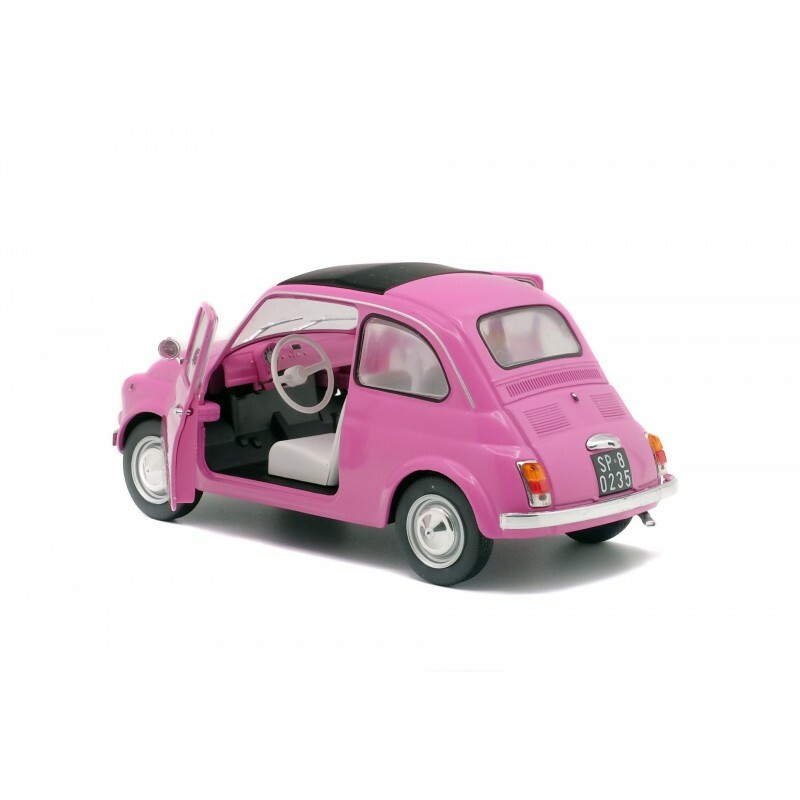 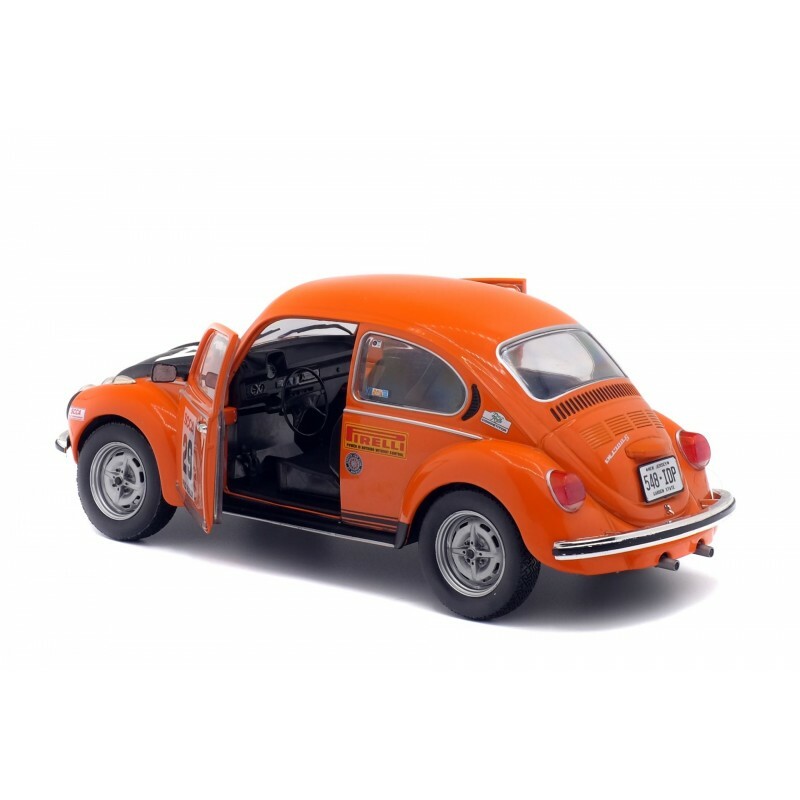 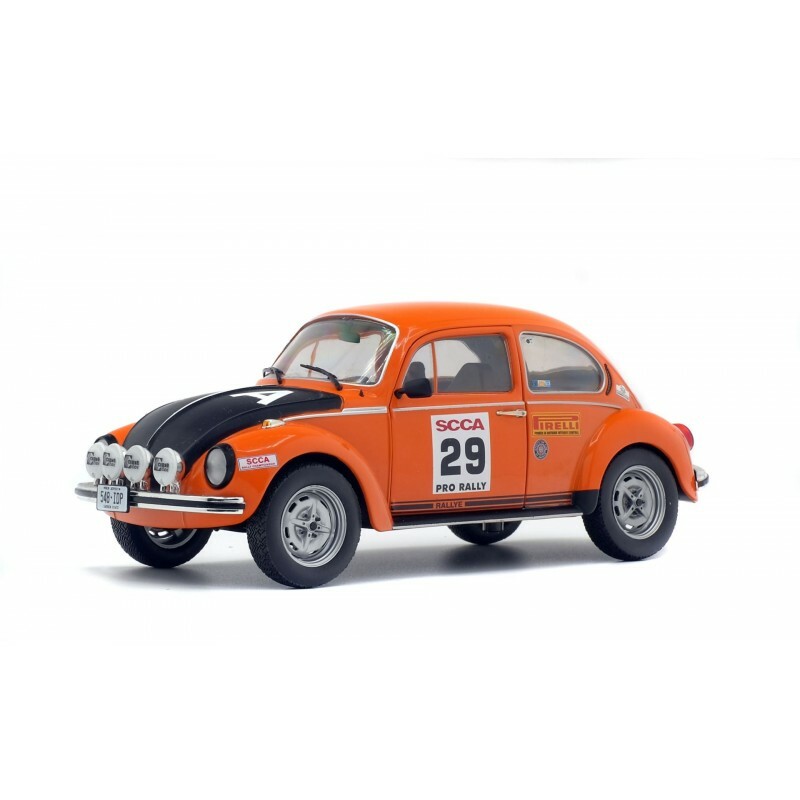 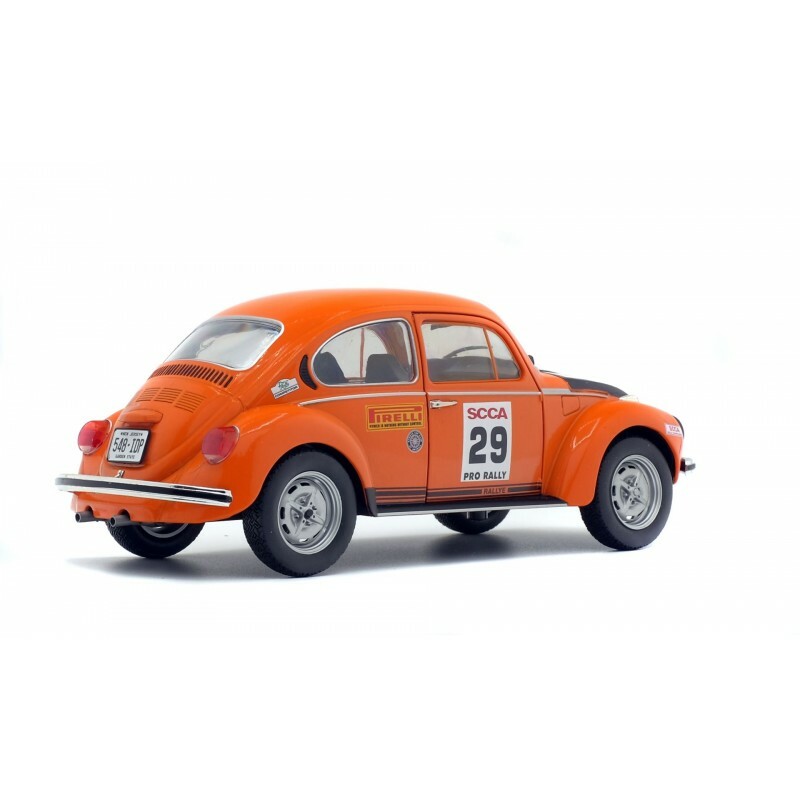 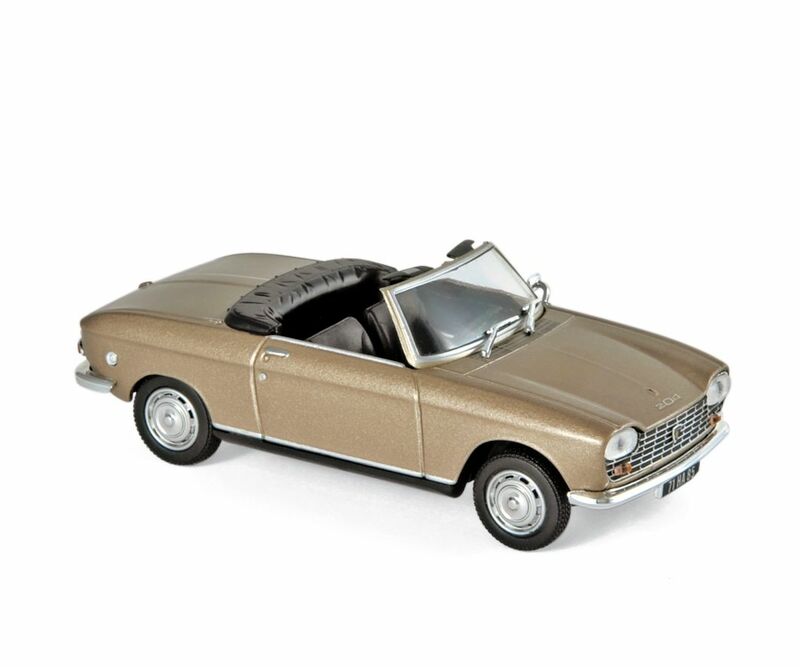 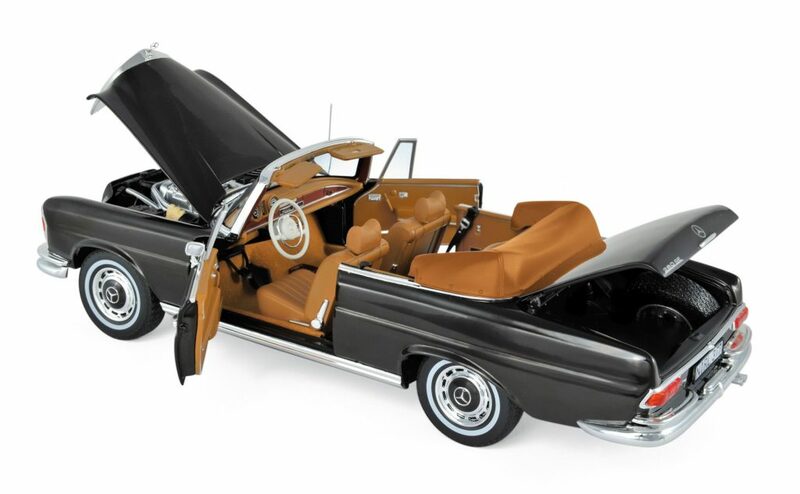 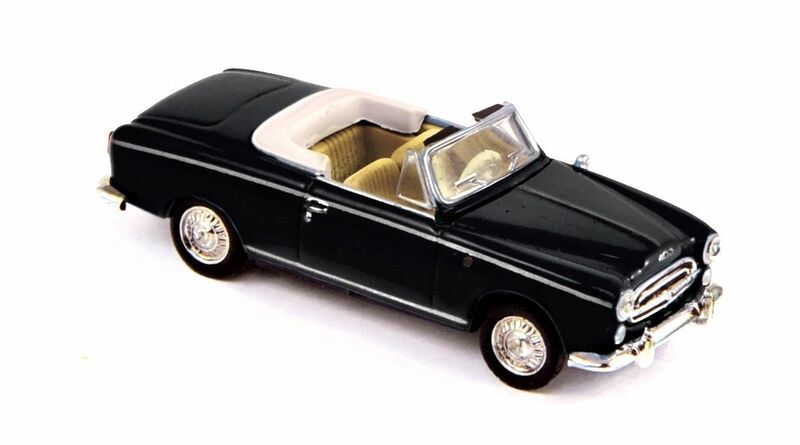 The original Dinky was launched in 1963 the same year that the car was launched with a choice of 1300 and 1500cc engines and was withdrawn in 1969. 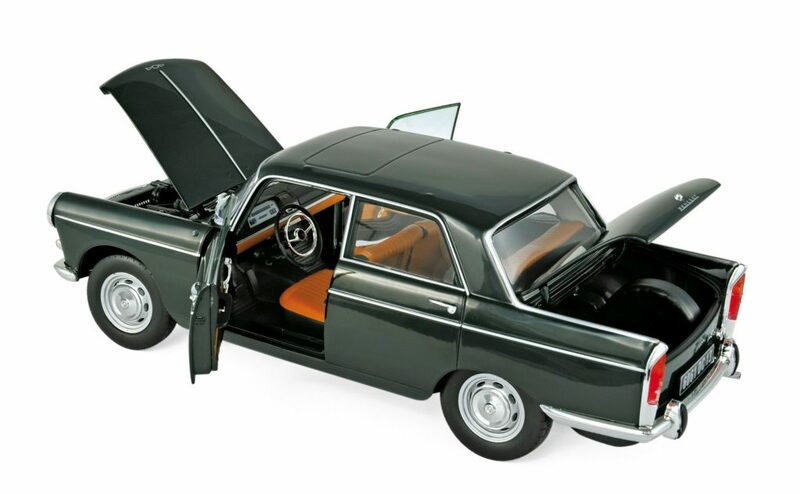 It was later re-numbered as 1523. 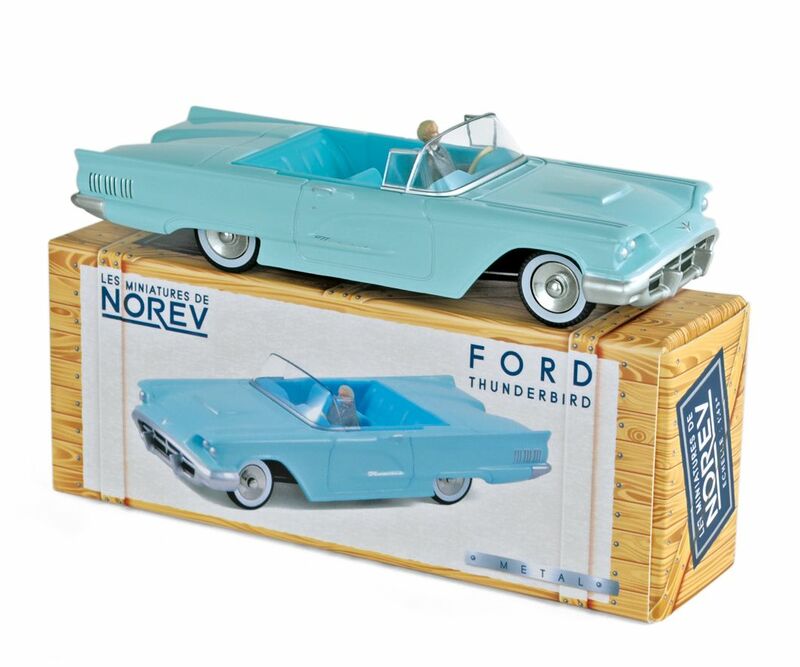 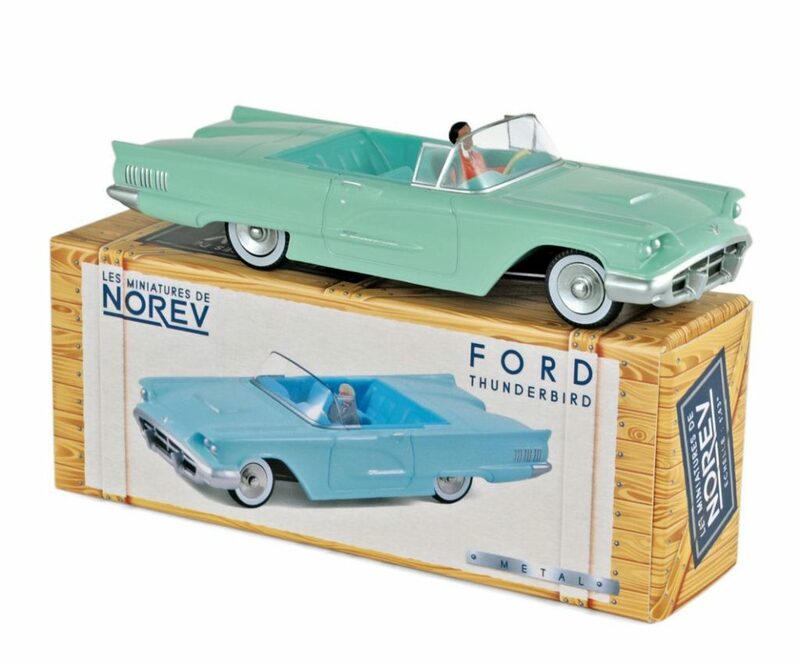 The box with its full period artwork and features list is well reproduced though it struggles to hold the car in its tray and wrapping and mine has come unglued. 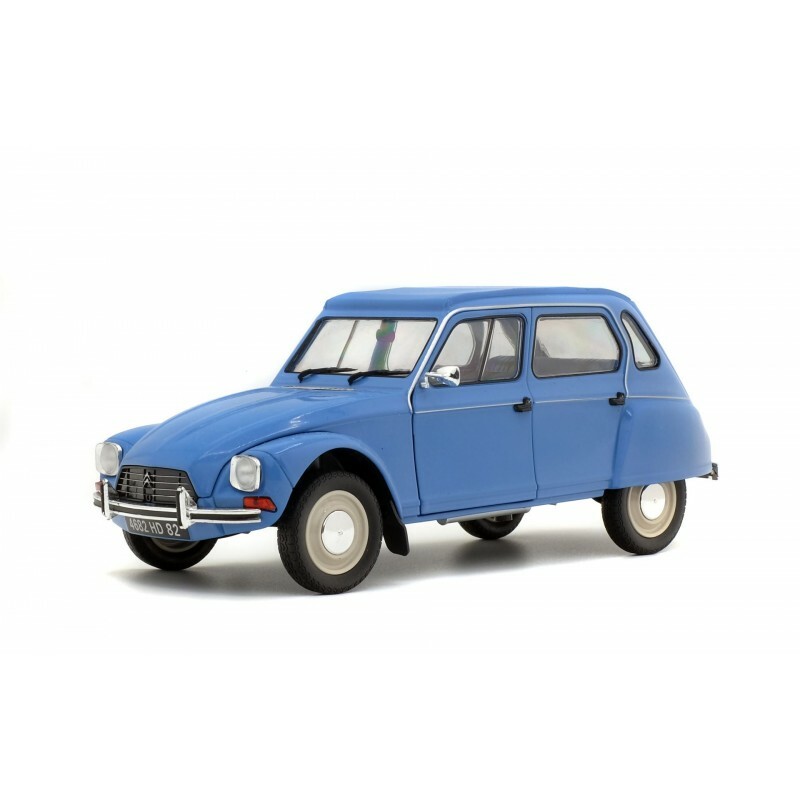 The period artwork is delightful featuring the car and a very empty Parisian roundabout. 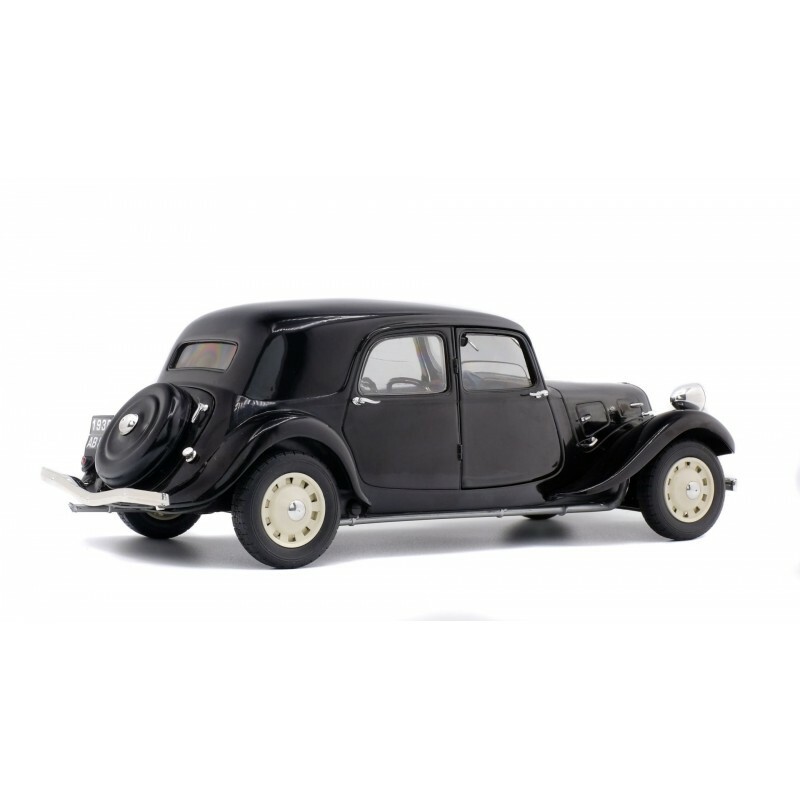 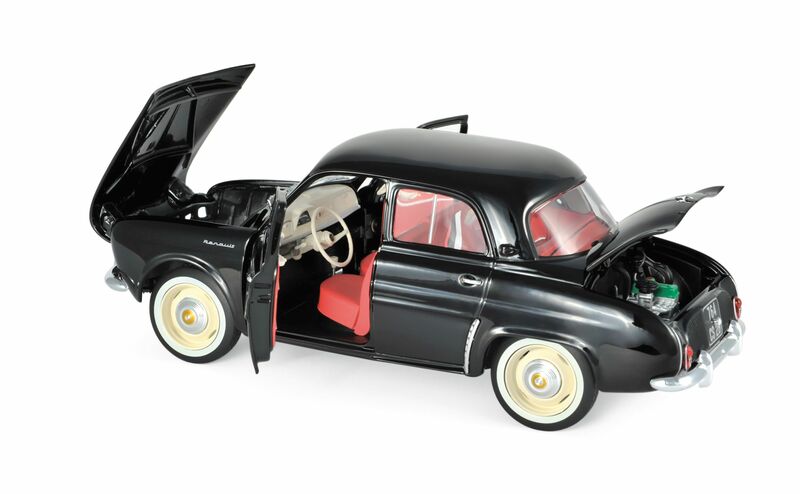 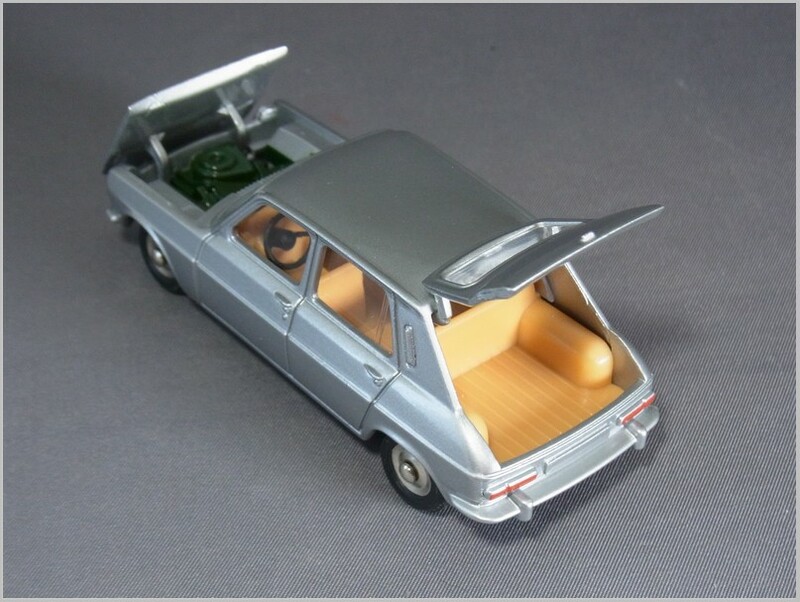 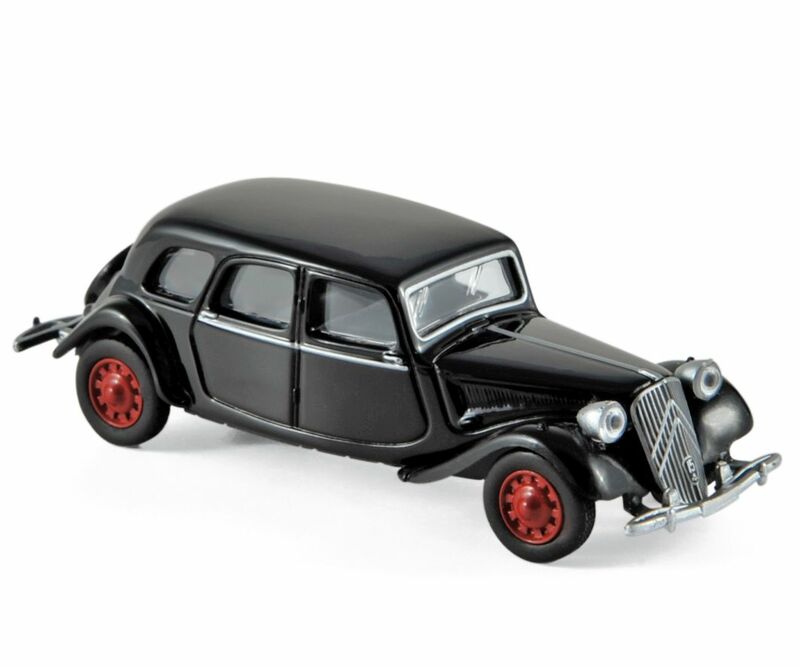 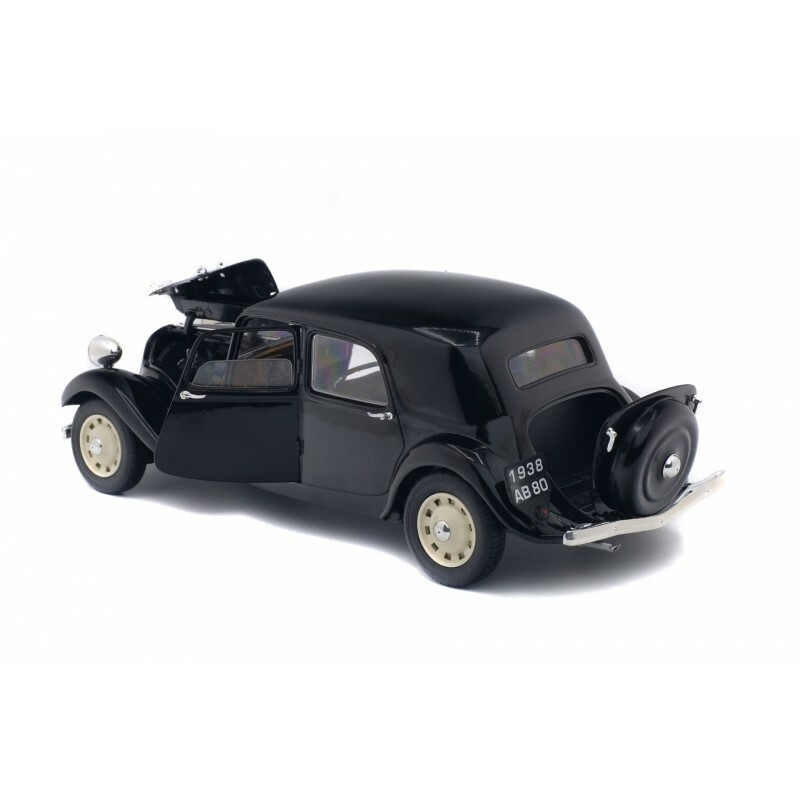 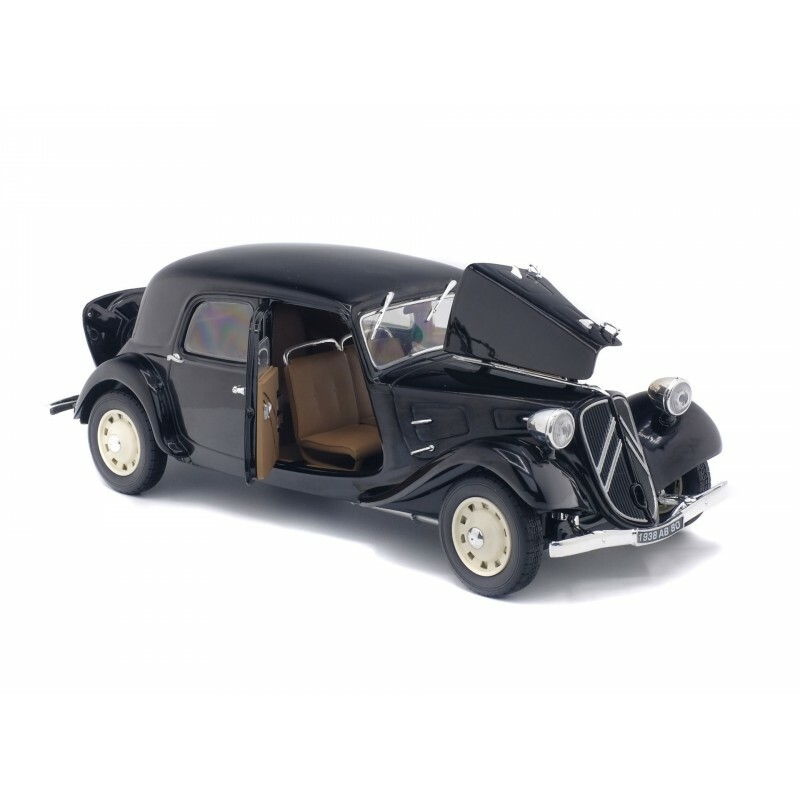 The car features the French Dinky baggage set to put in the boot which is the only opening feature, and which sadly refused to pose in an open position for the photographs! 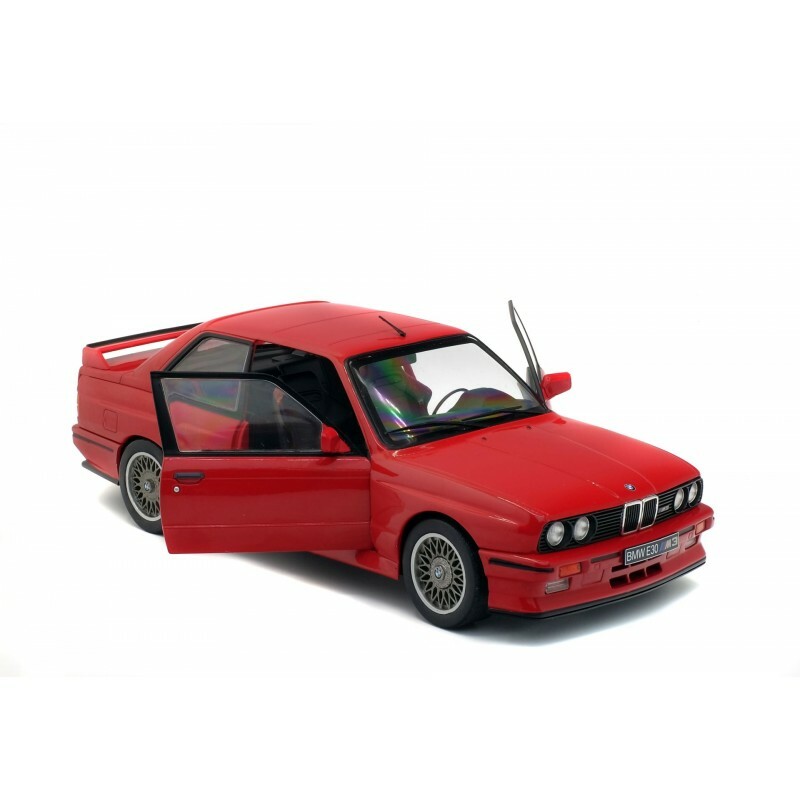 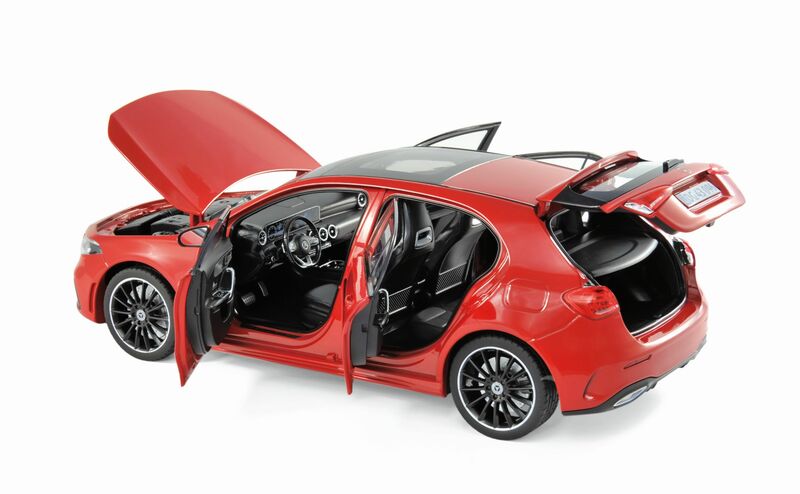 The interior is typical red one part tub with seats moulded in and it includes featureless door cards and a simple moulded dashboard. 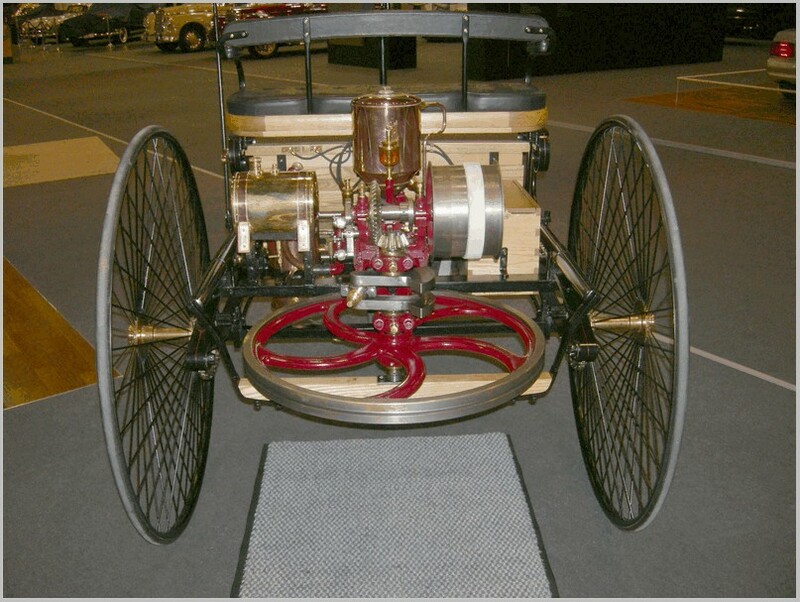 A large steering wheel in white is fitted. 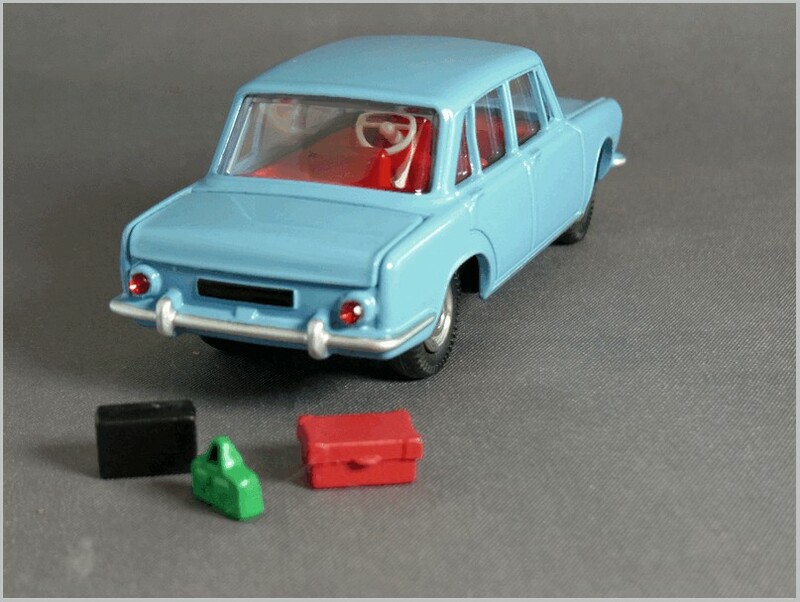 A photograph of the side of the car shows that the overall shape is good and the minimal detail reflects the fact that the original car was devoid of fussy side strips or decorations other than the strip below the doors which has been moulded and painted as it was on the original Dinky. 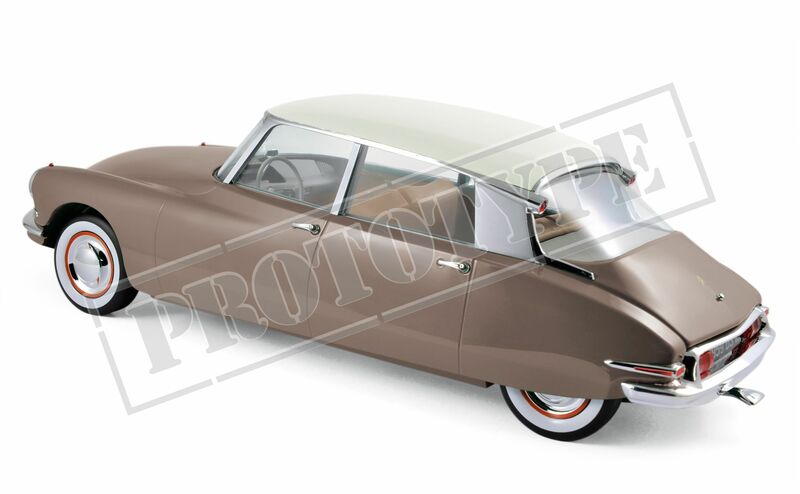 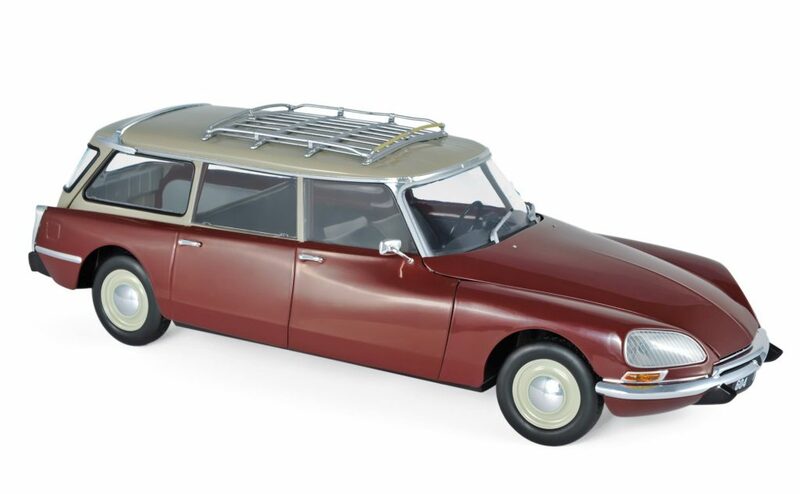 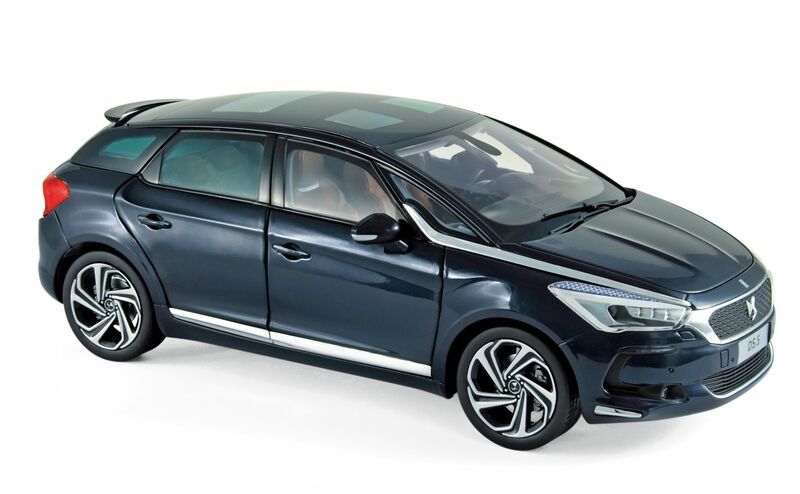 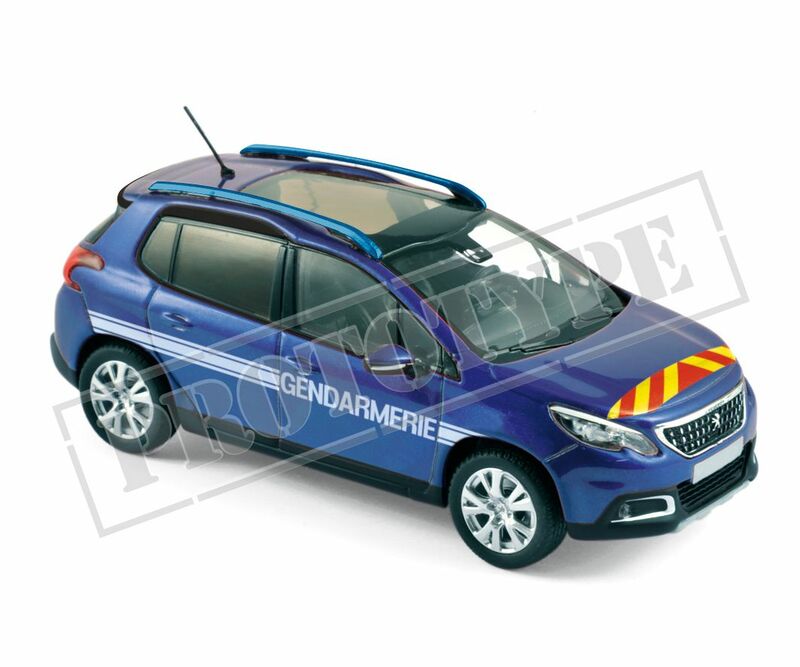 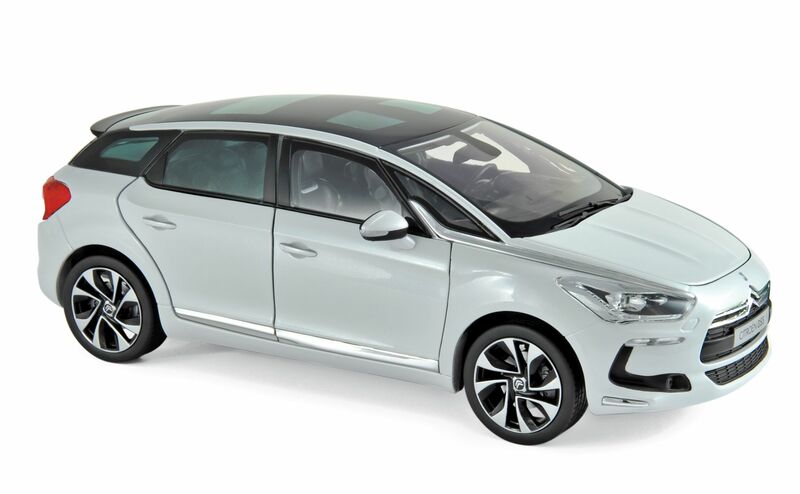 The front is neatly modelled with the headlight jewels at the full expected size unlike the recent Police Citroen DS. 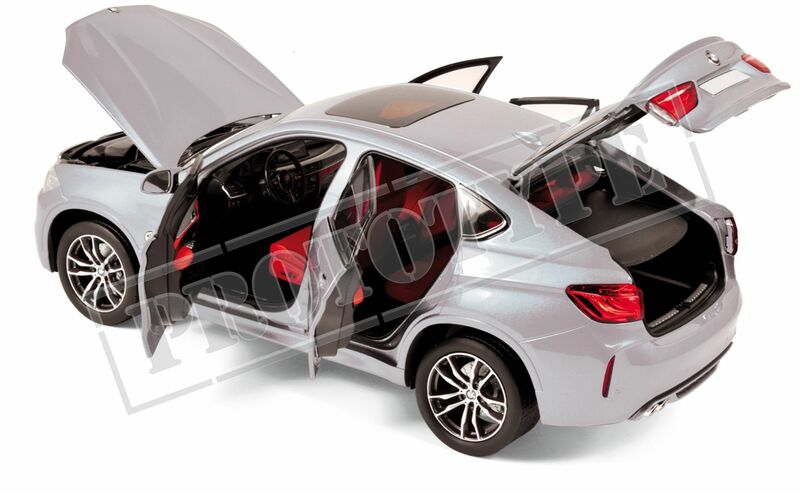 Bumpers are neatly picked out. 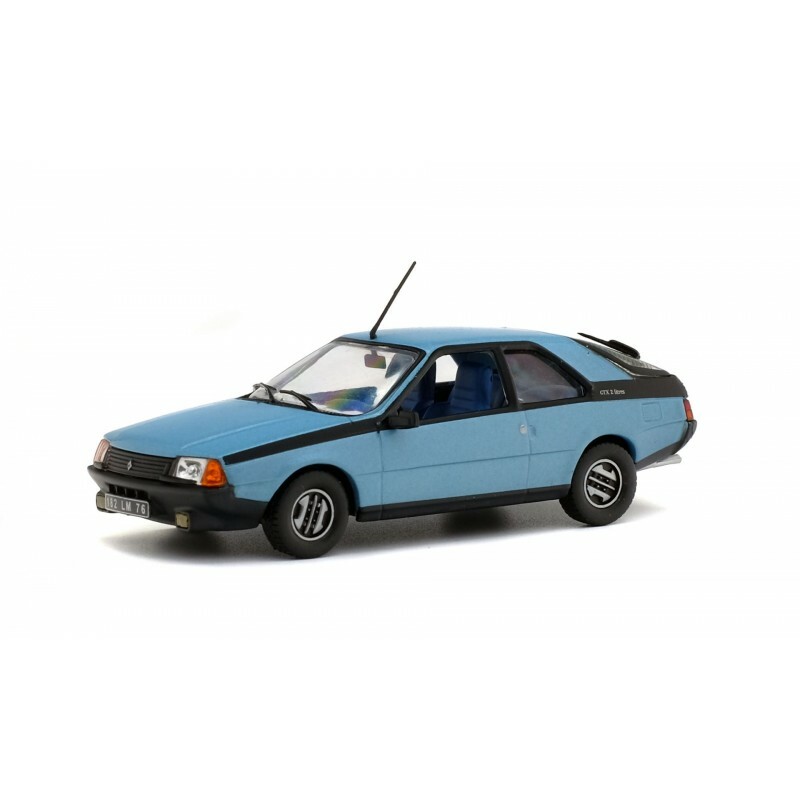 The indicators are moulded in below the headlights but are not painted. 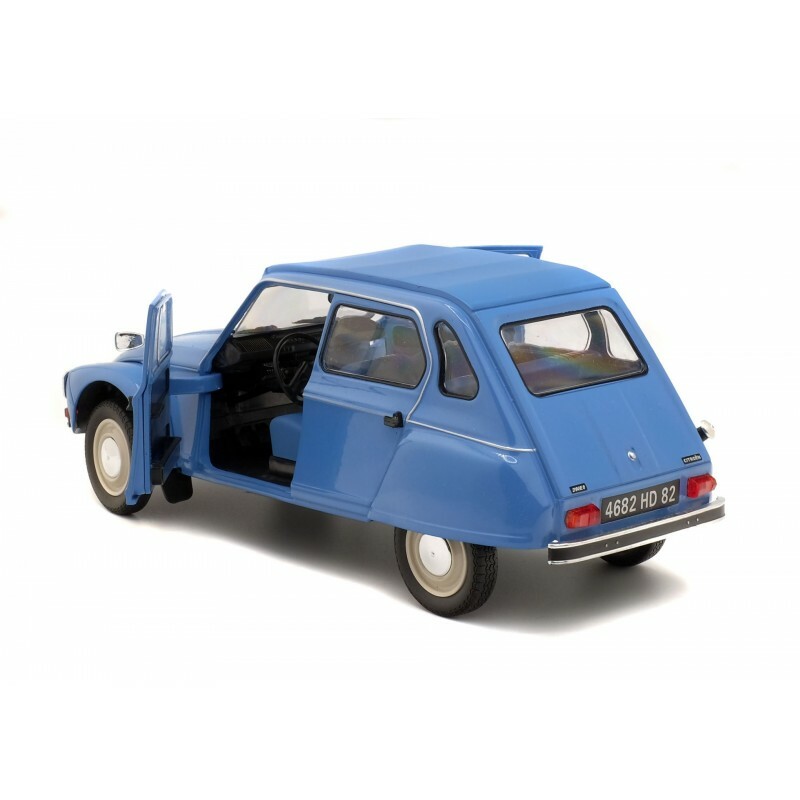 From the rear the original shape rear end which was altered when the model became the 1301 and 1501 later is neatly cast. 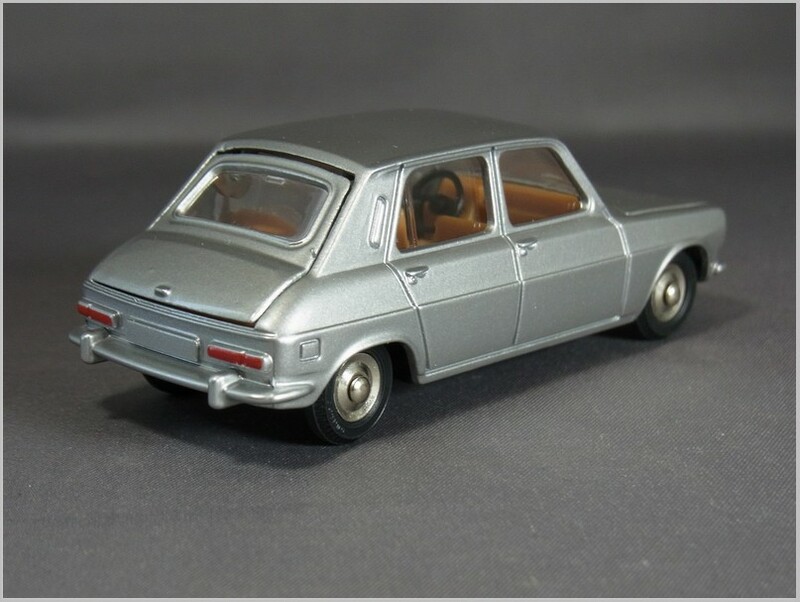 Its round light cluster is well captured and the small red jewel makes a nice rear light. 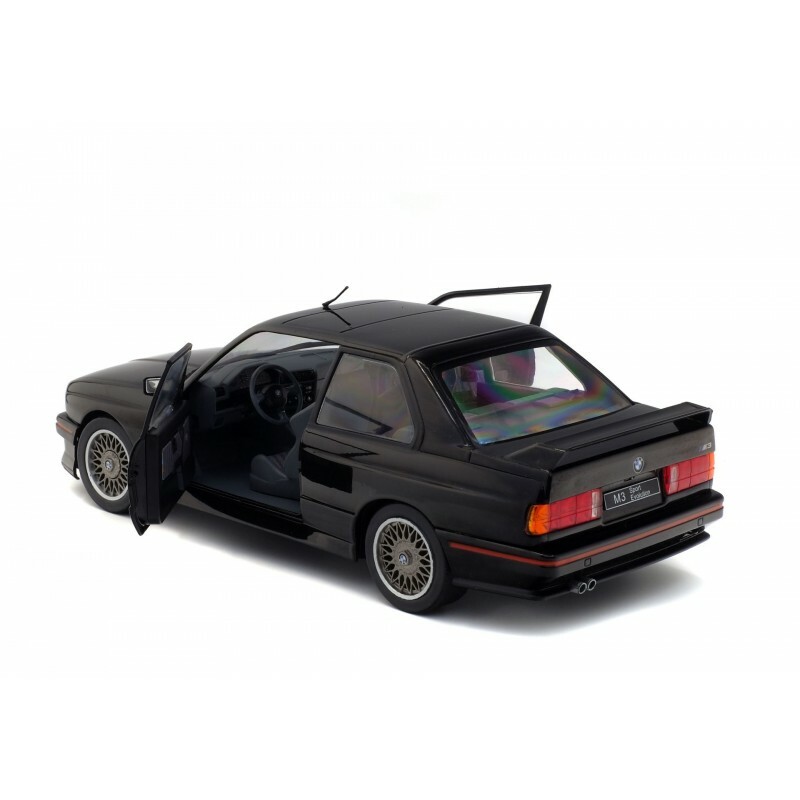 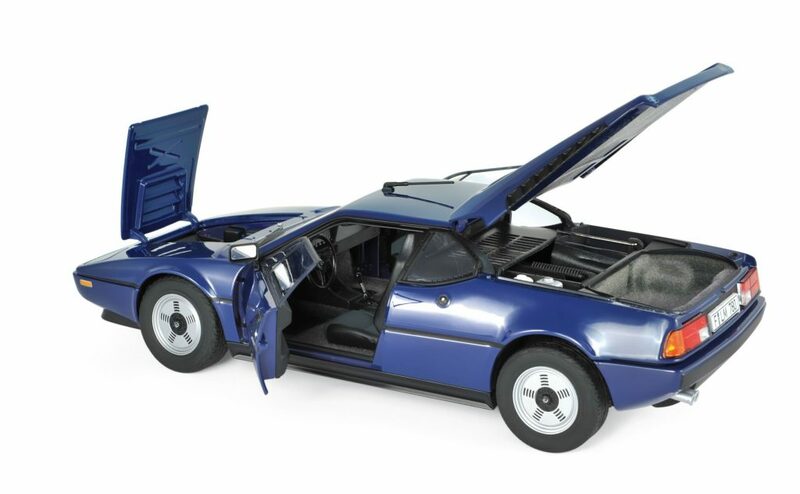 The rear number plate is picked out in black when the front one is left in body colour, again a true replica of the original model. 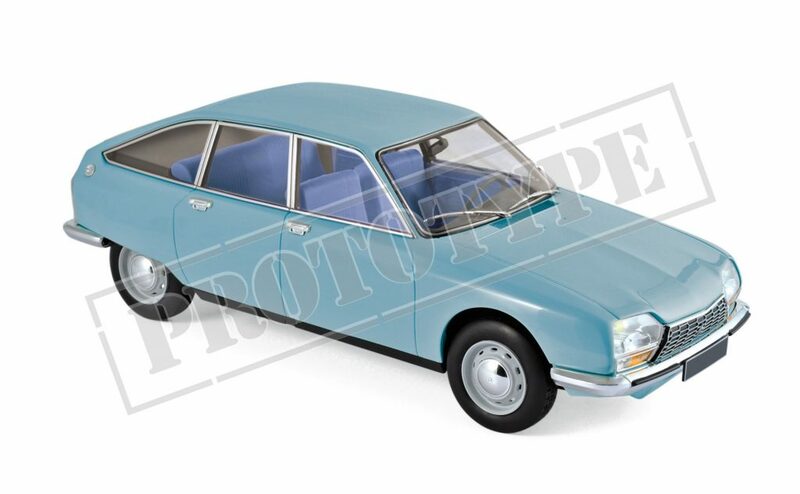 My Atlas accounts shows the next car due as the Opel Rekord II. 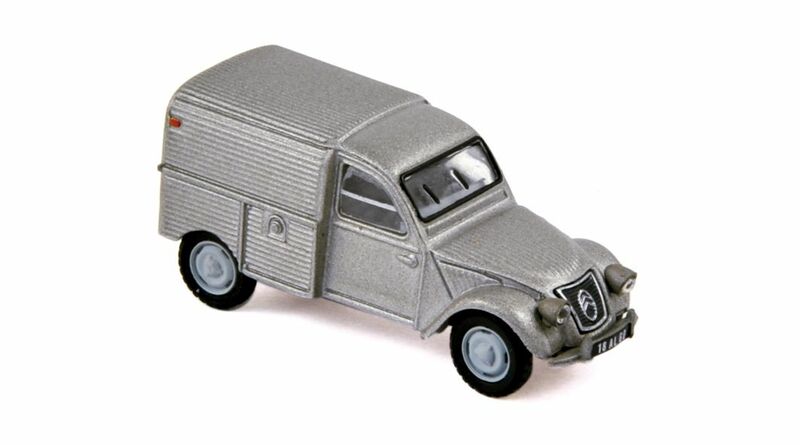 The Atlas Deluxe Dinky Collection continues here in the UK despite the liquidation of Atlas UK. 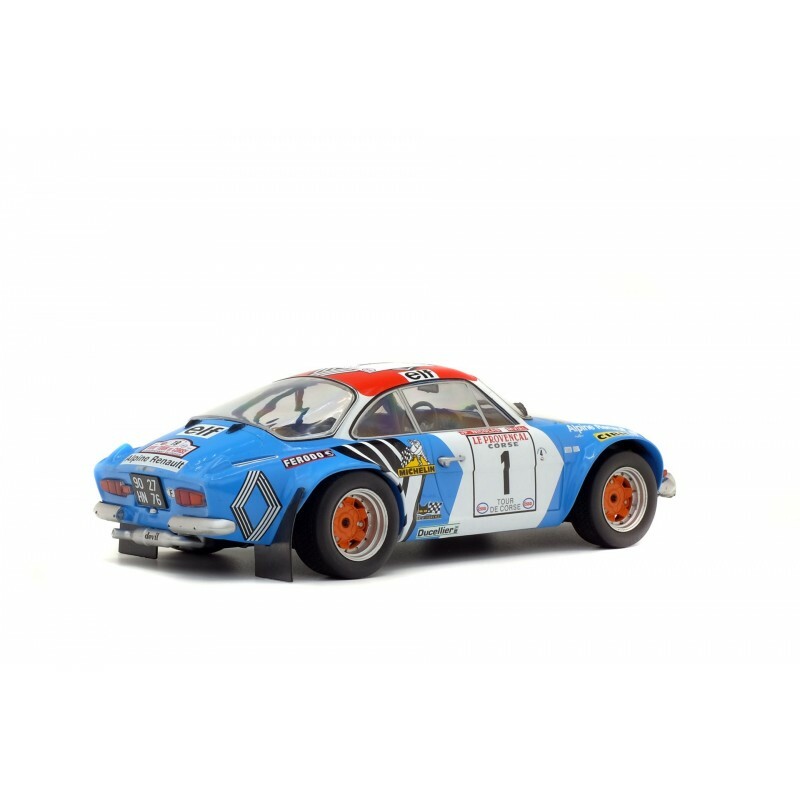 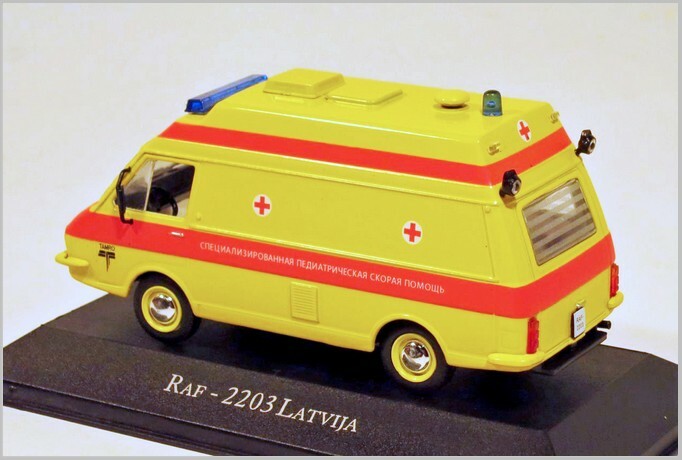 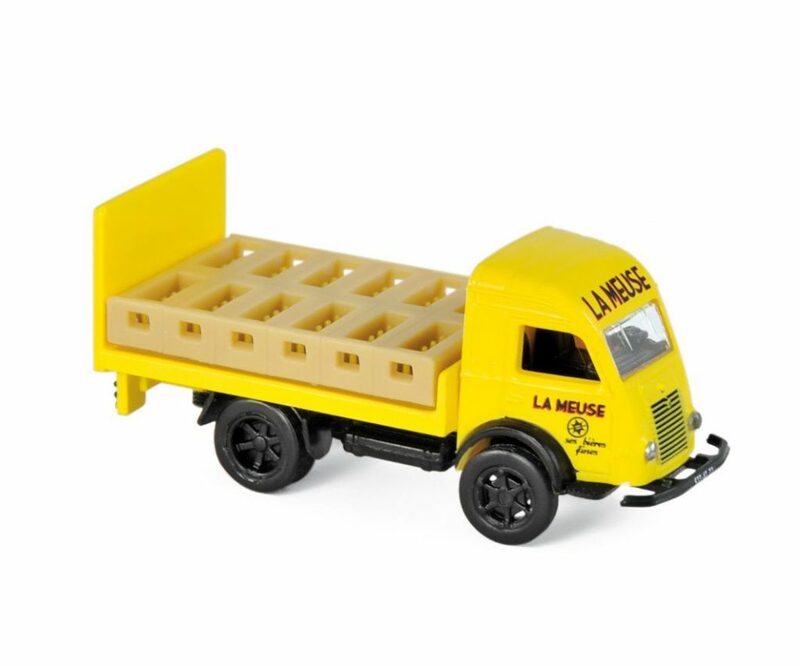 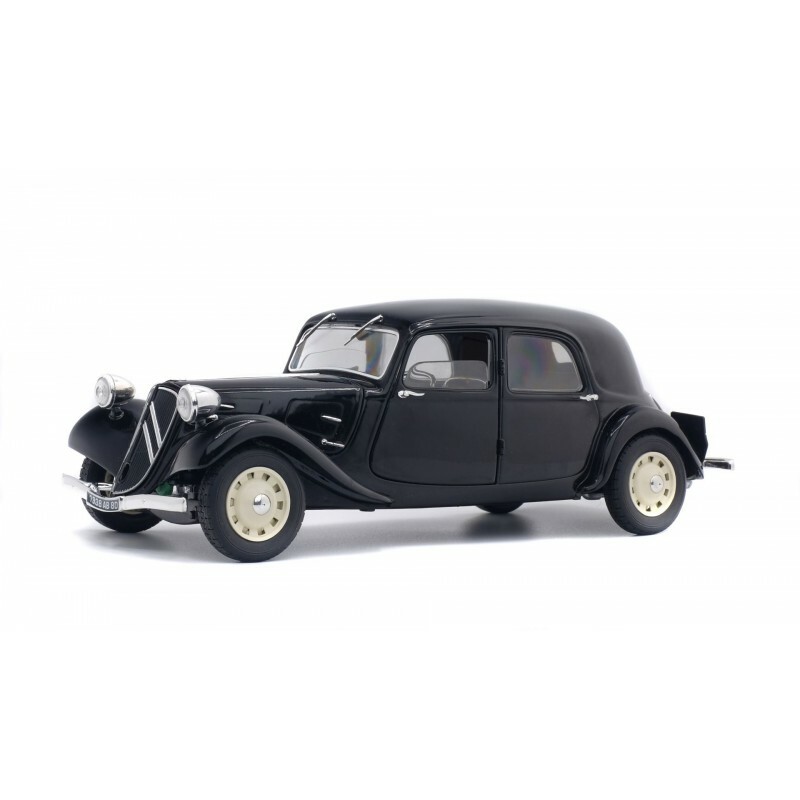 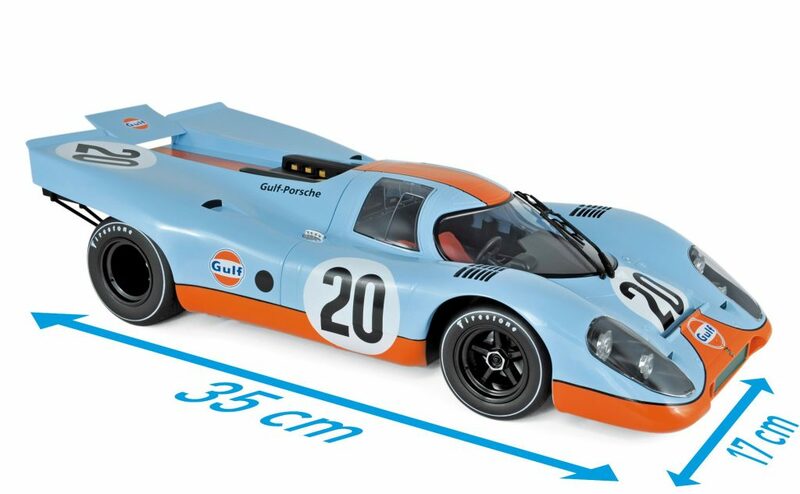 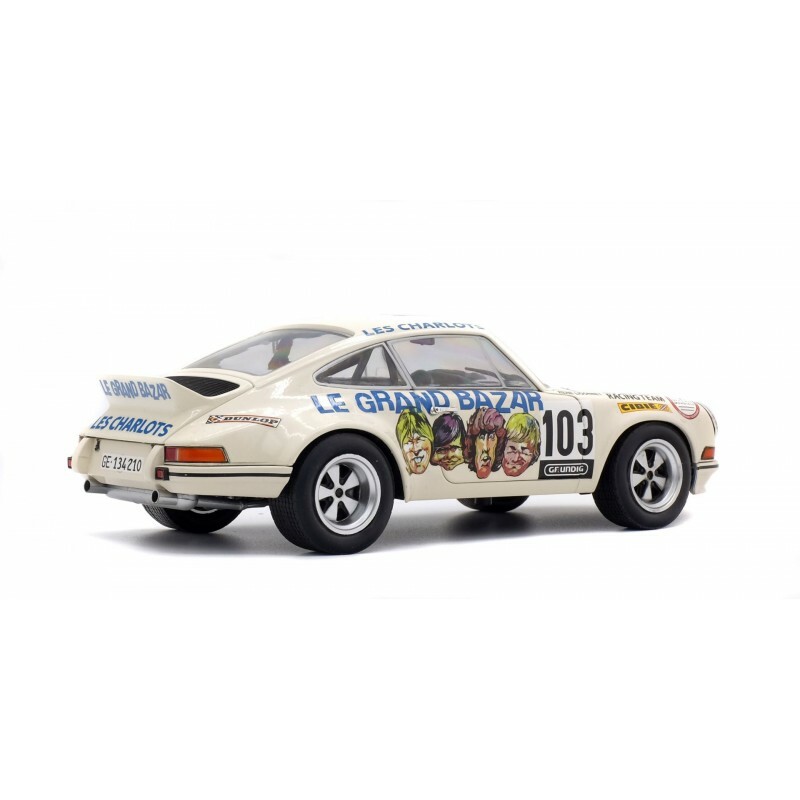 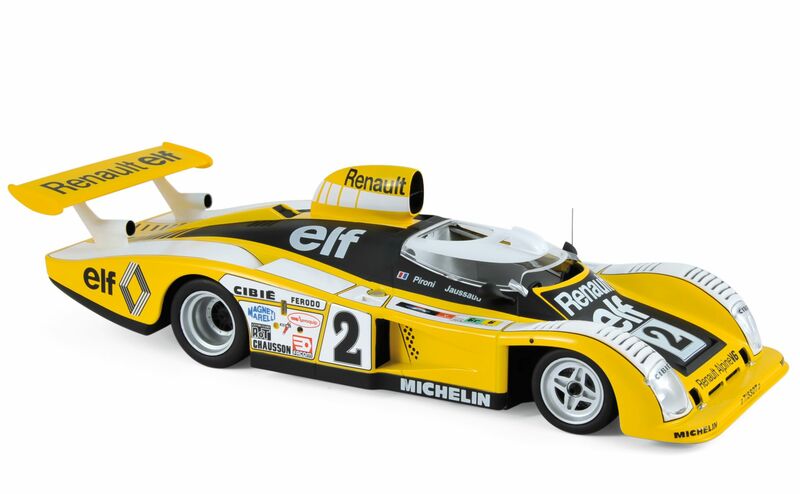 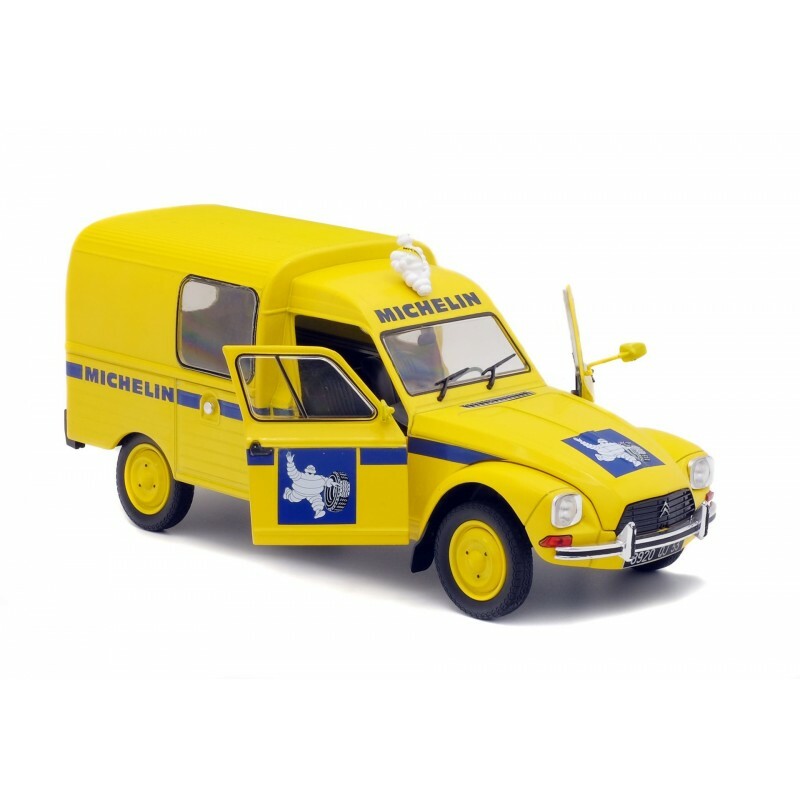 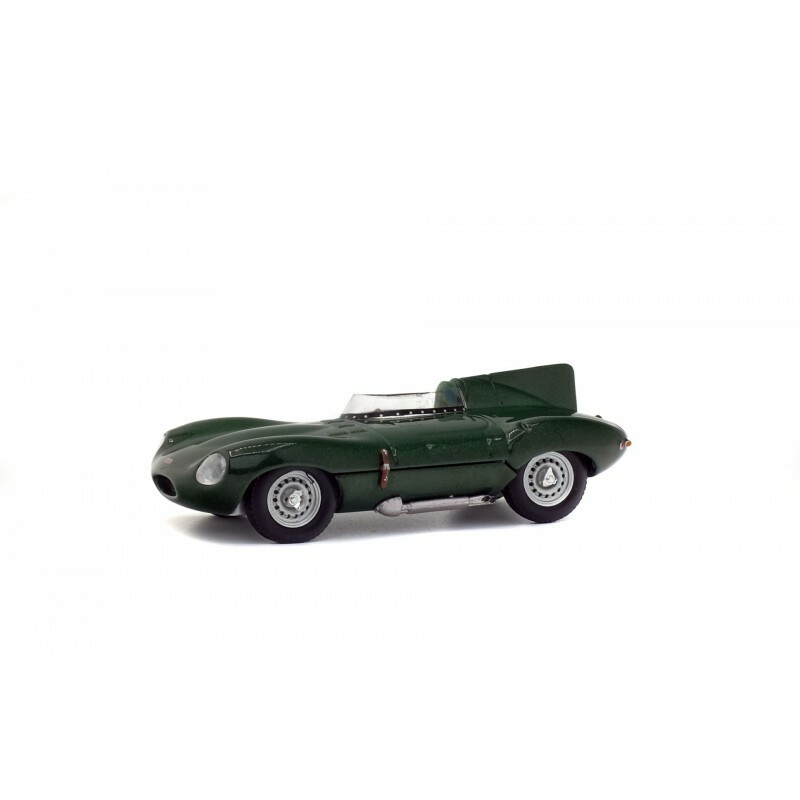 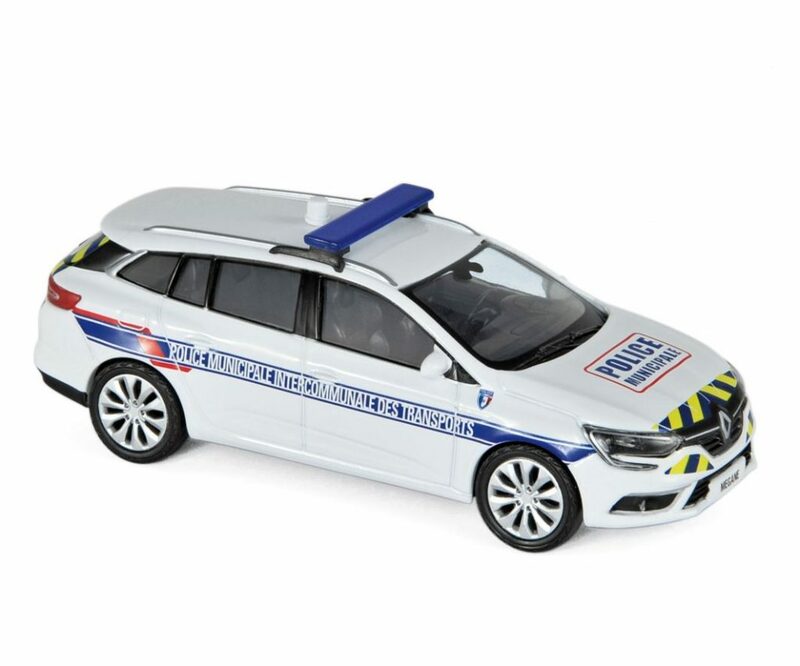 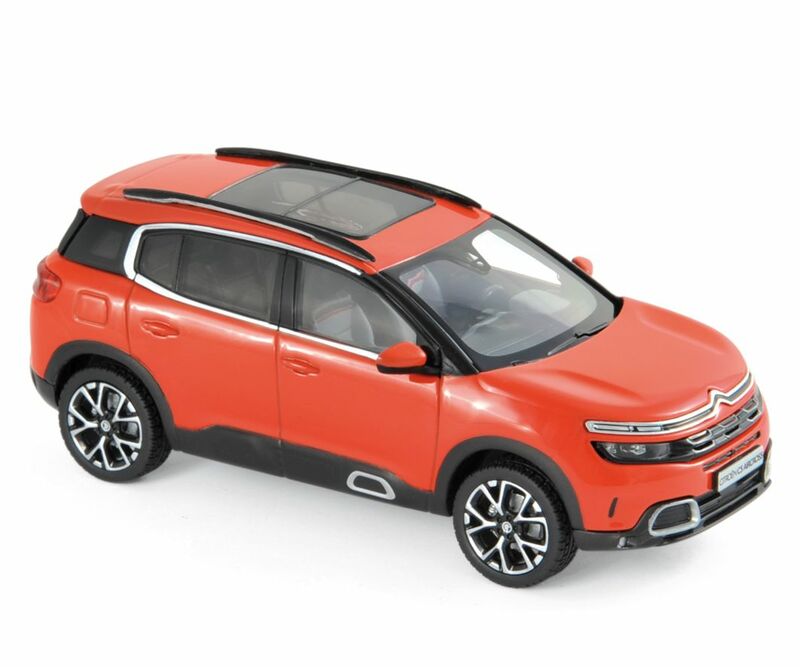 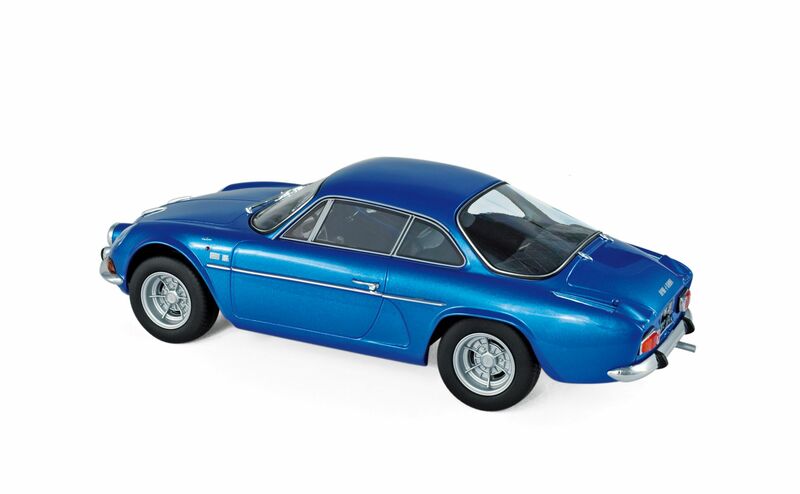 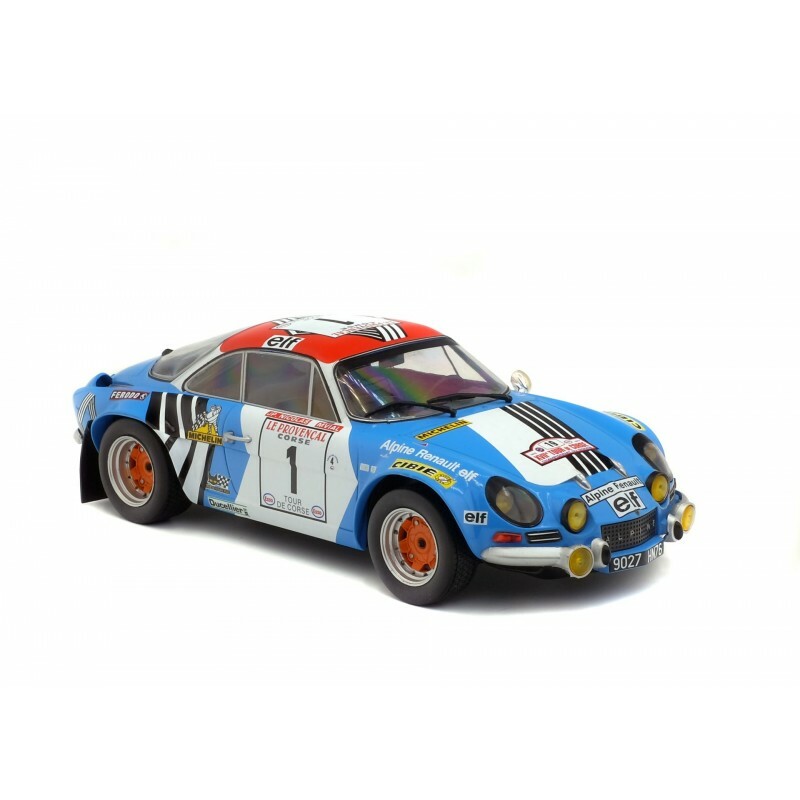 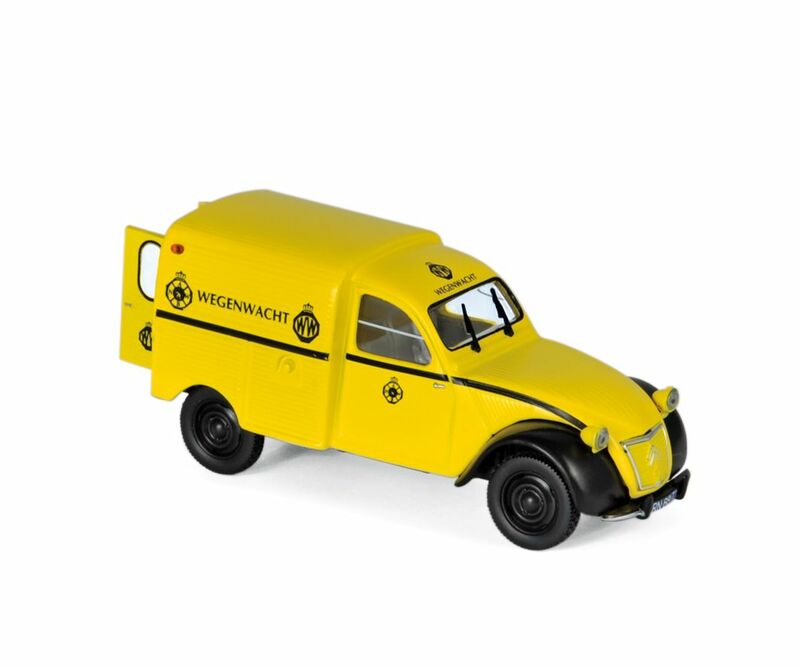 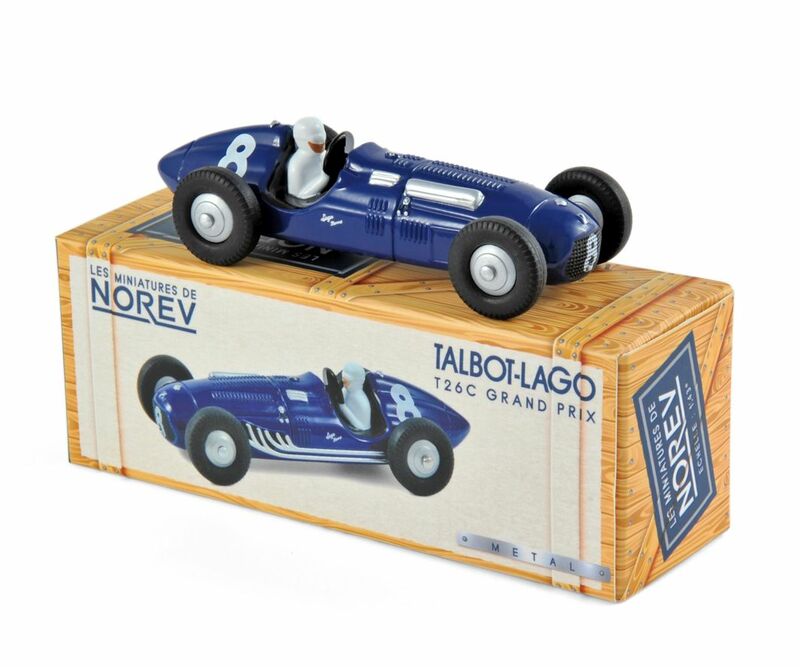 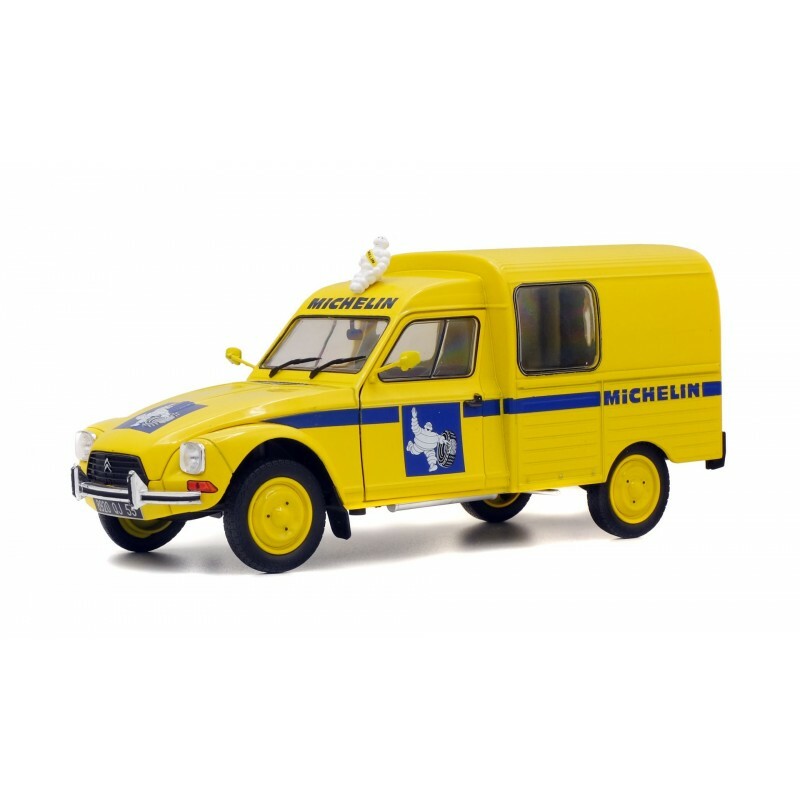 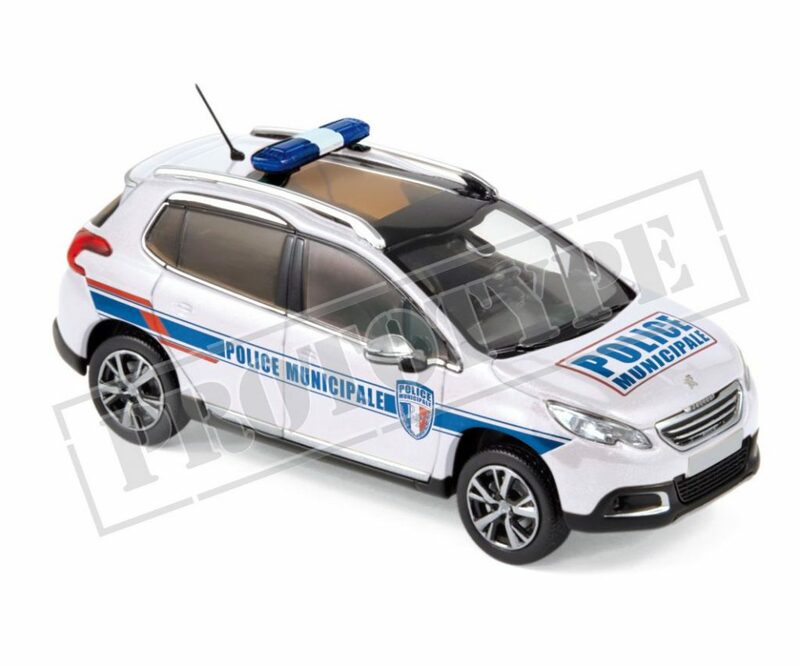 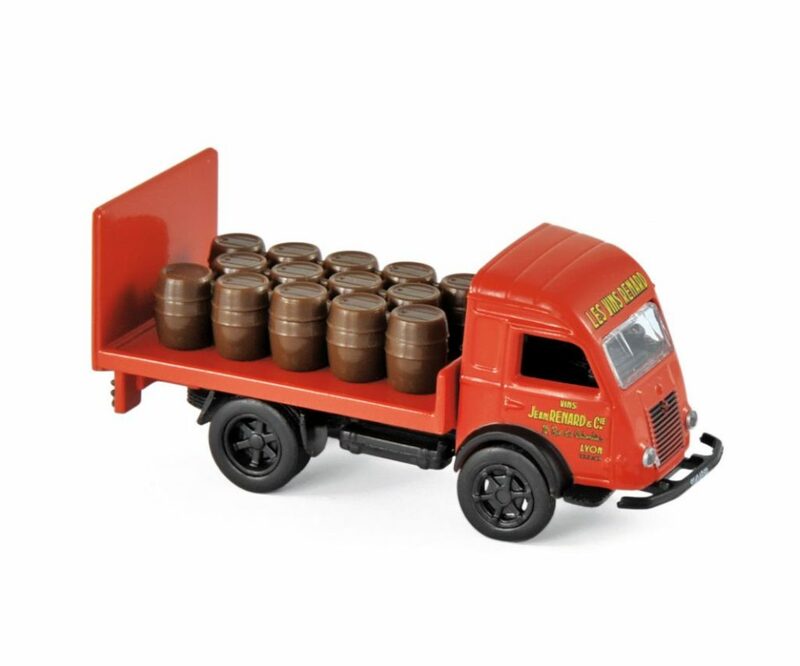 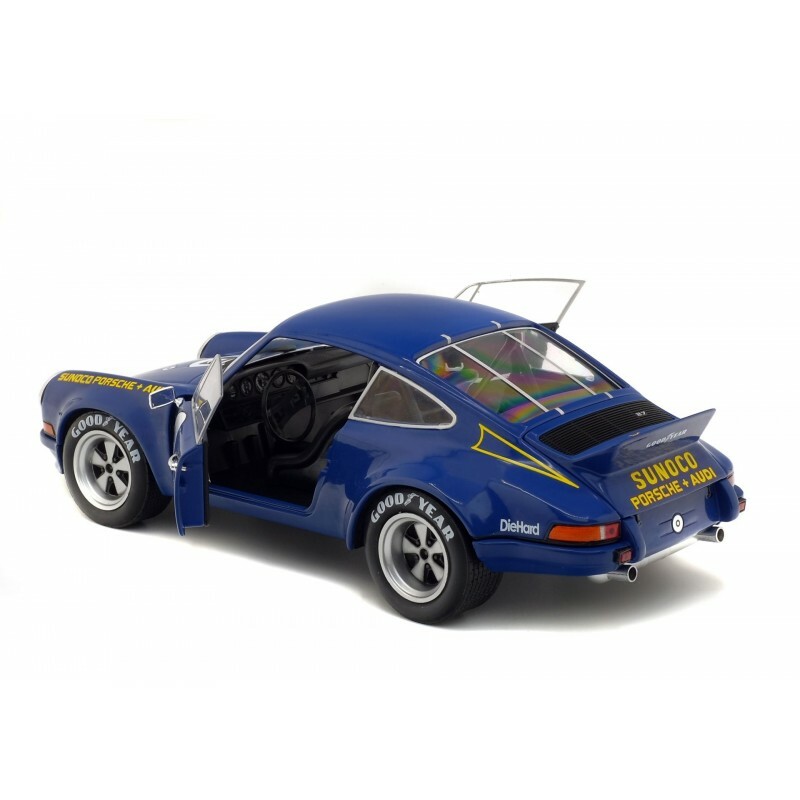 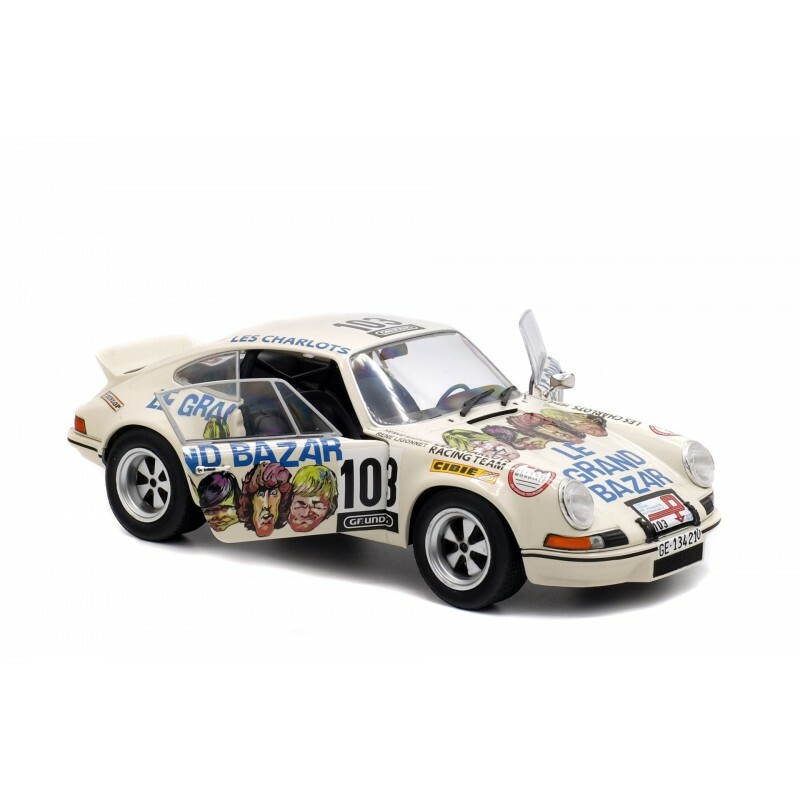 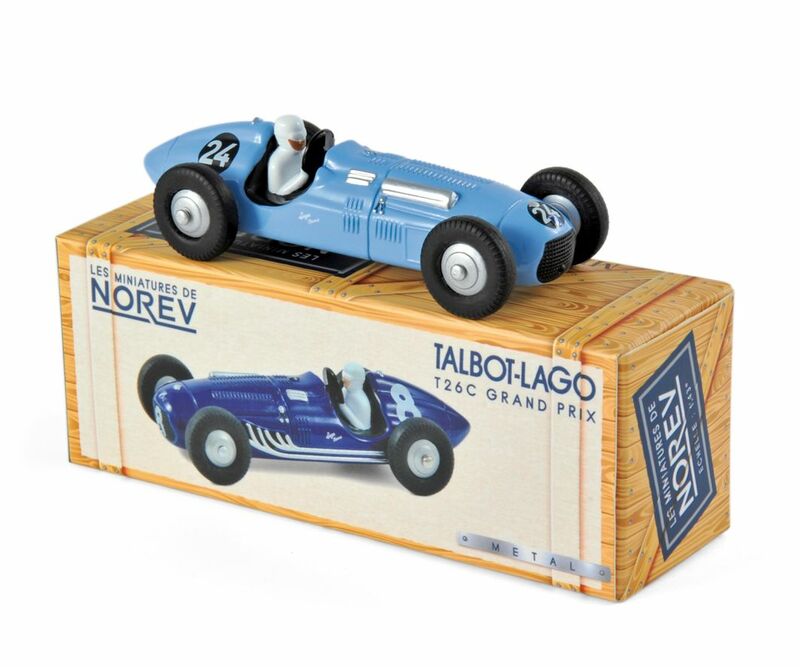 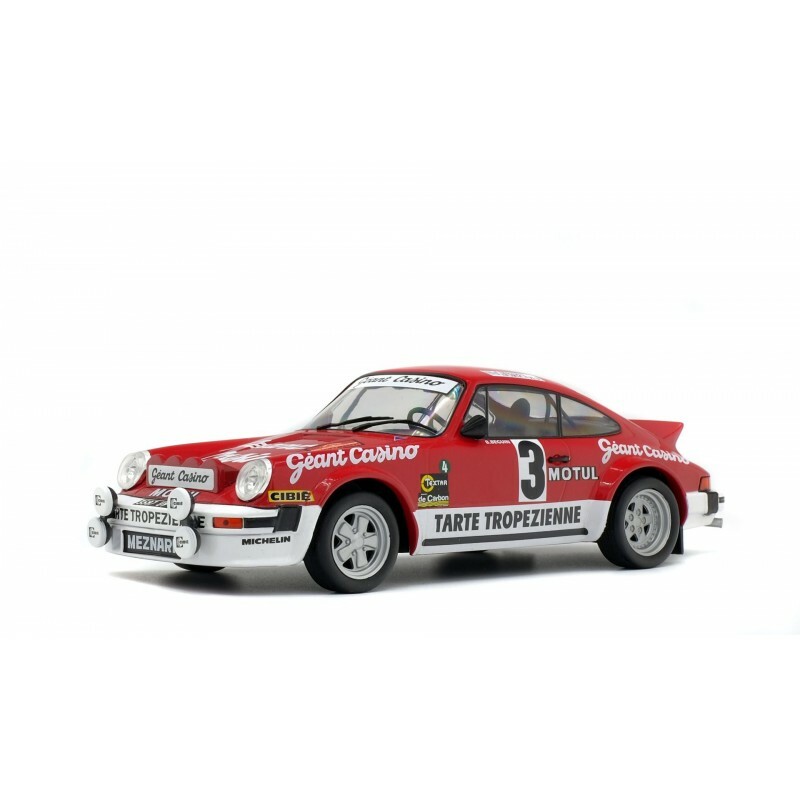 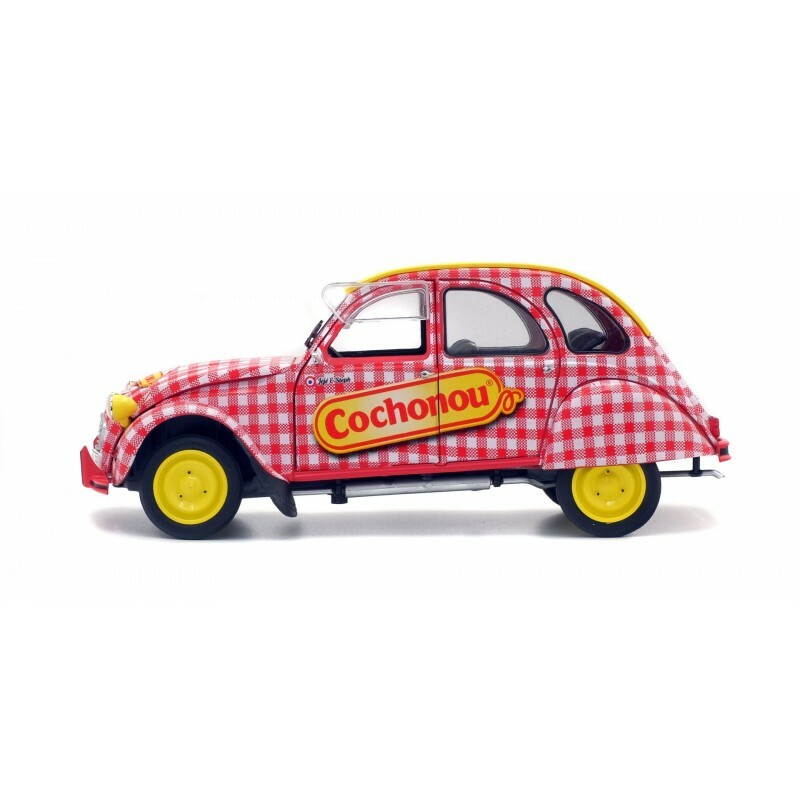 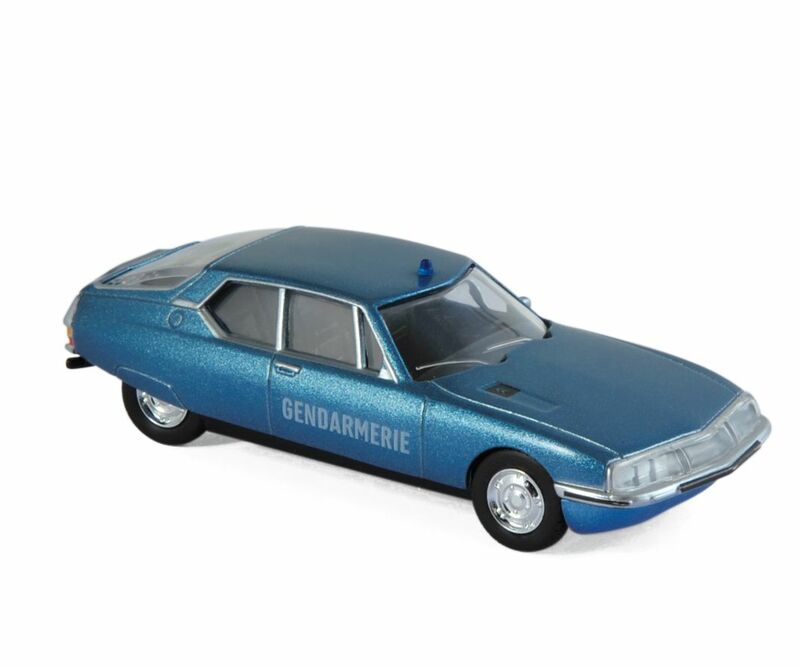 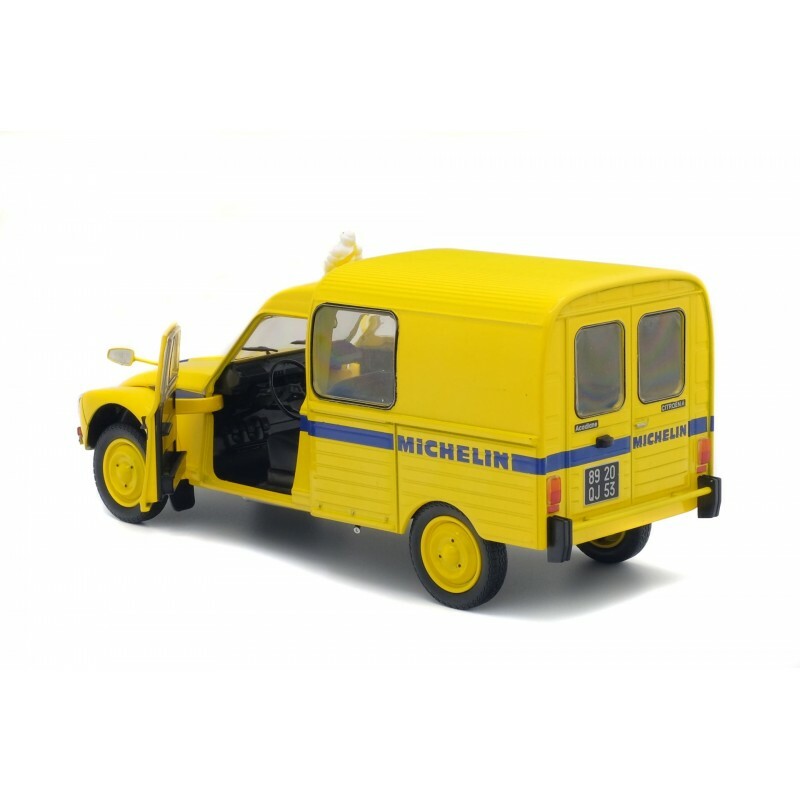 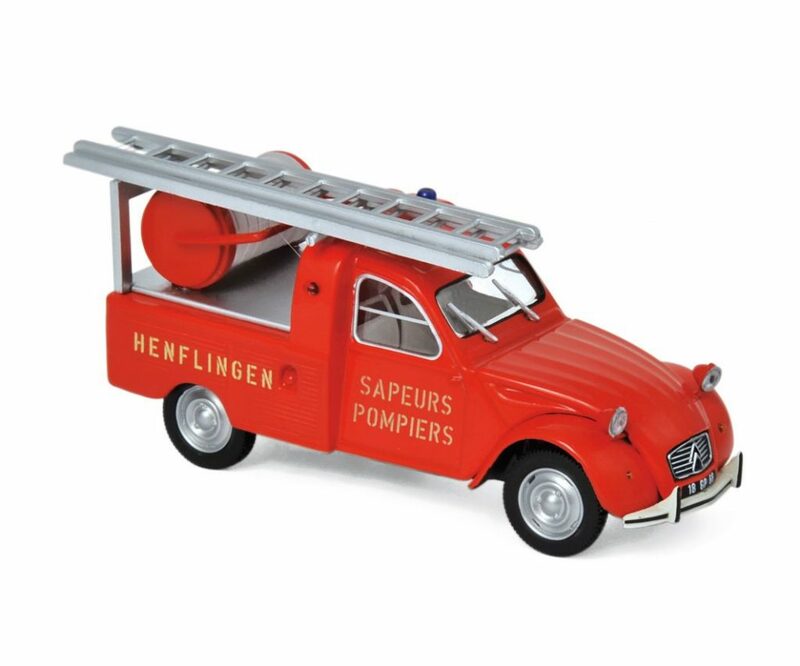 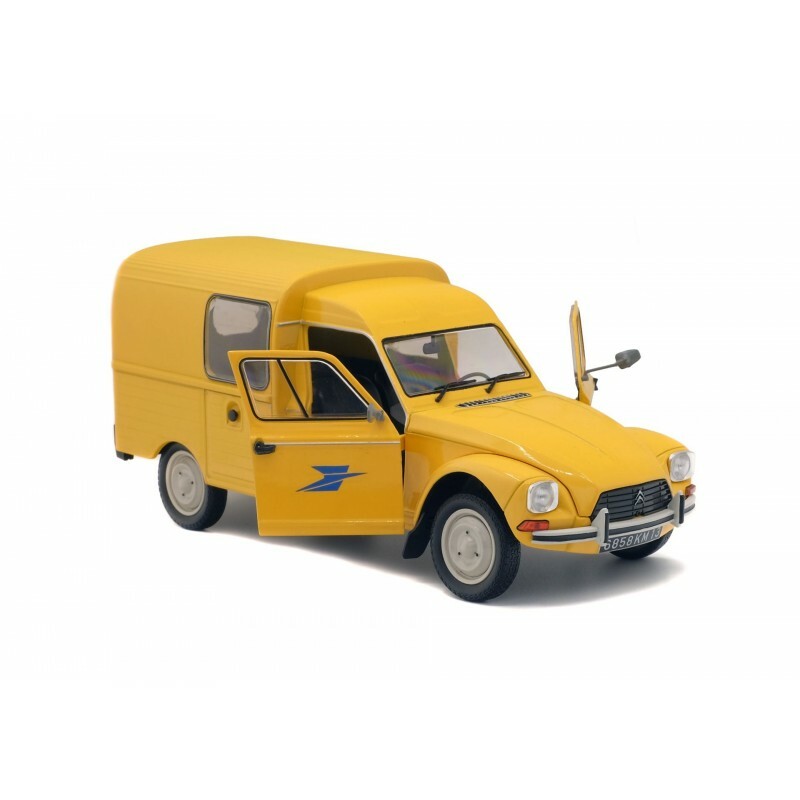 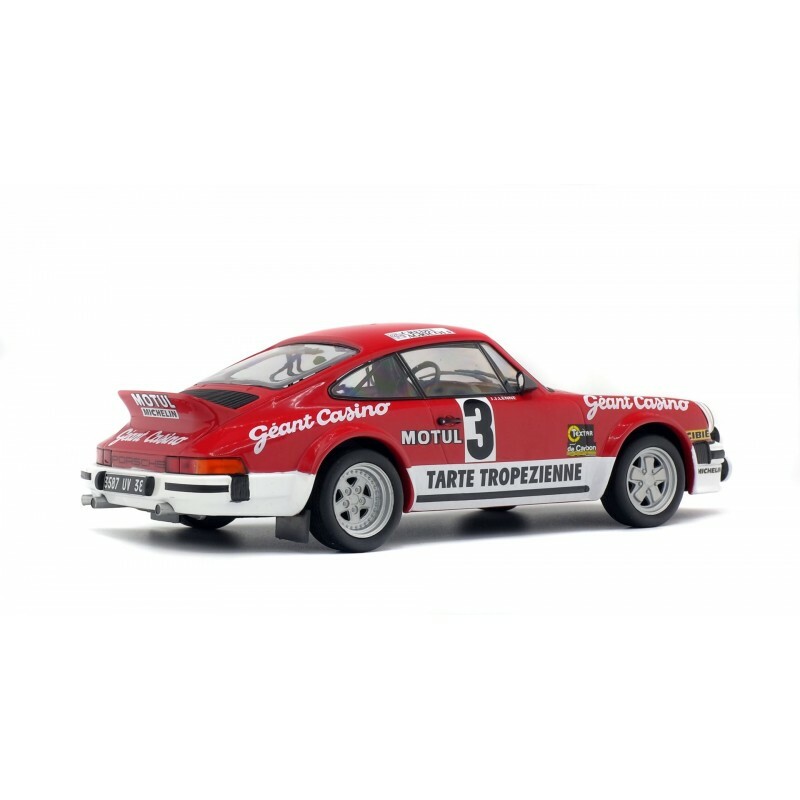 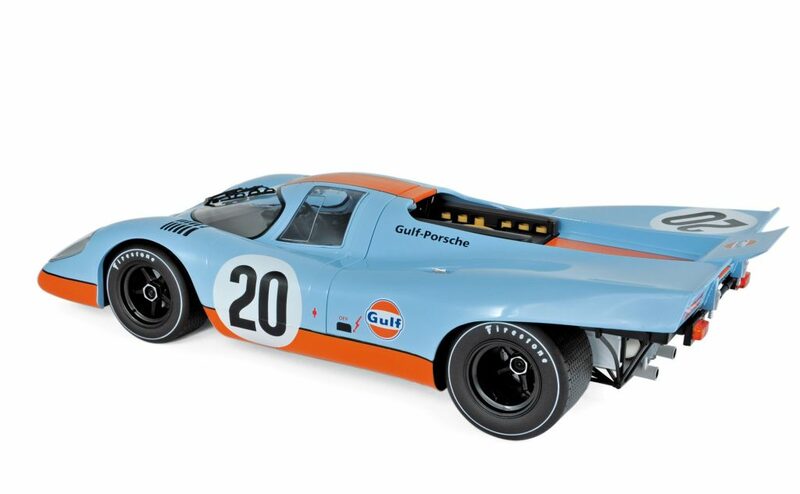 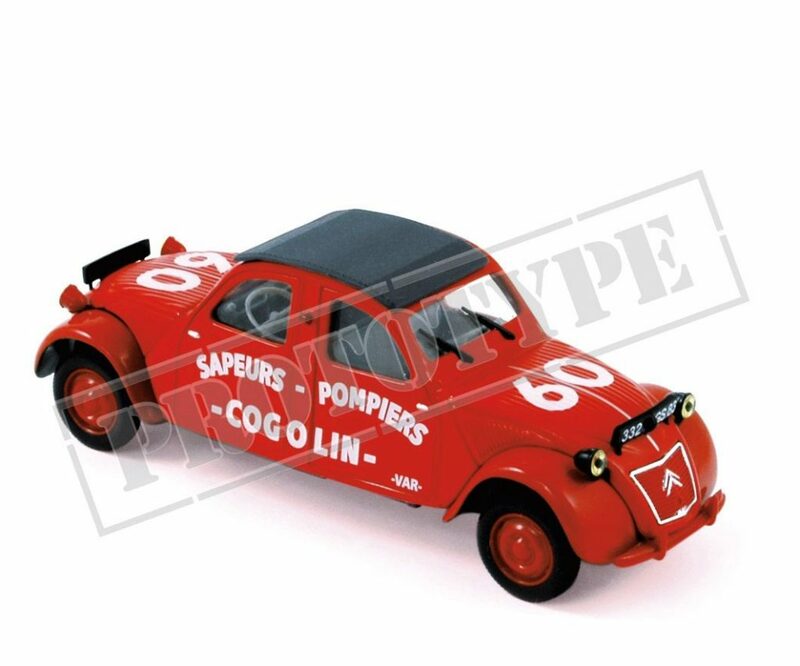 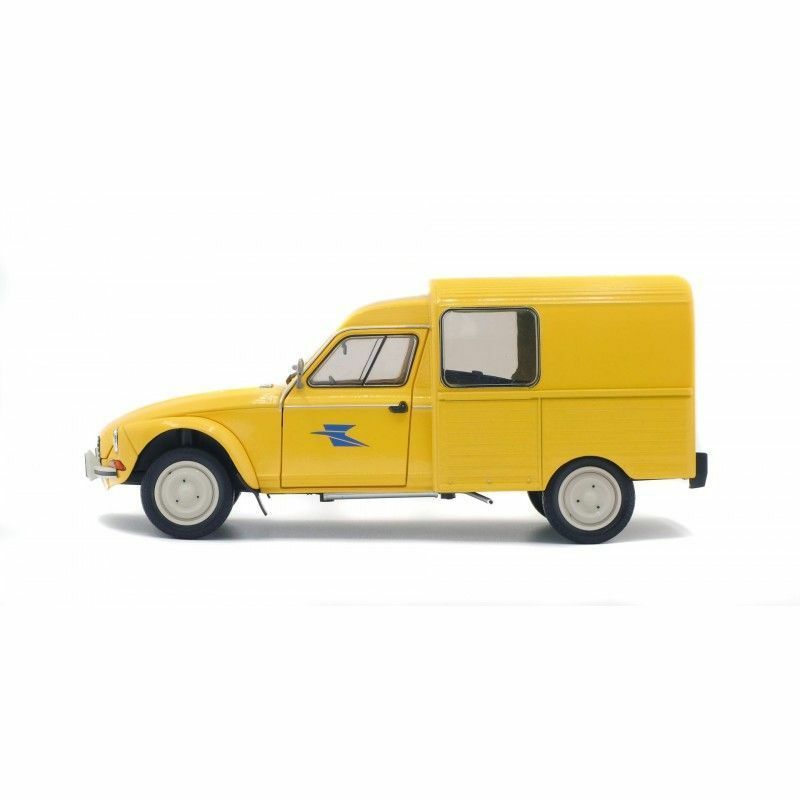 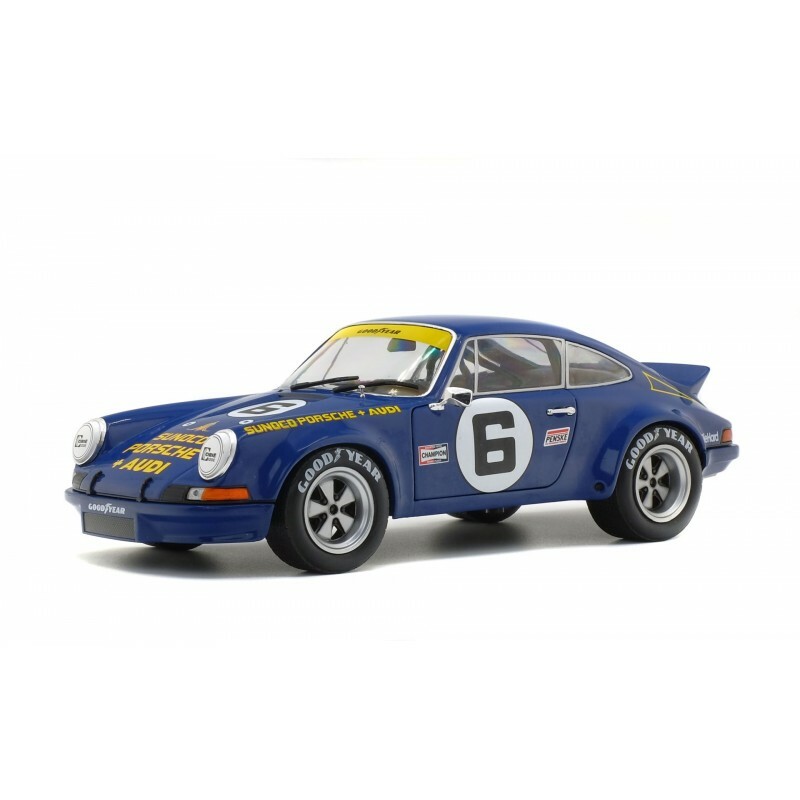 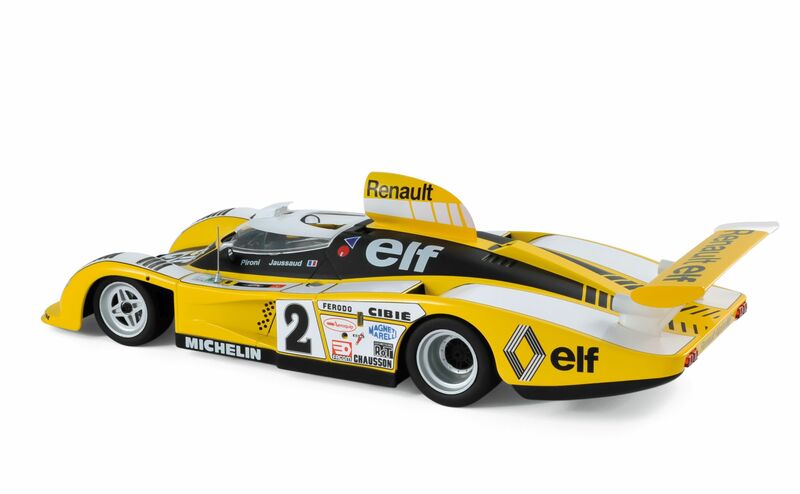 As it has been almost exclusively based upon the French Dinkies from the continental “ones with openings” series I expect that it will continue whilst there are sufficient subscribers and stock left over from the French collection. 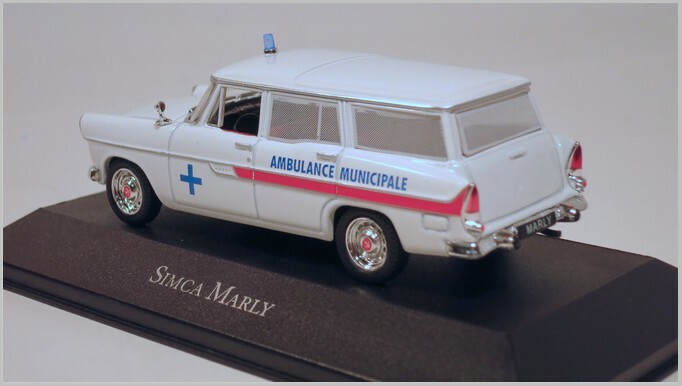 The latest model delivered to me is Dinky 1407 Simca 1100. 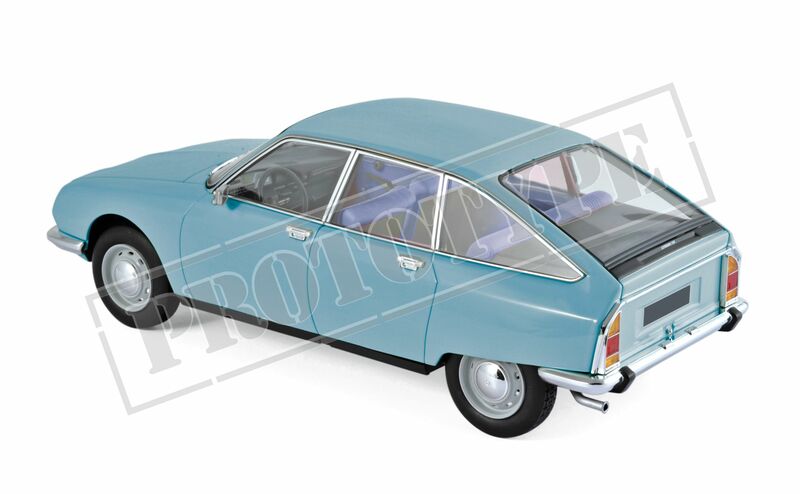 First shown at the Sardinia and Paris Car Shows in 1967 the Simca 1100 brought SImca up to date with a front wheel drive power train and a five door hatchback body , as well as folding rear seats, disk brakes, rack and pinion steering, and independent suspension. 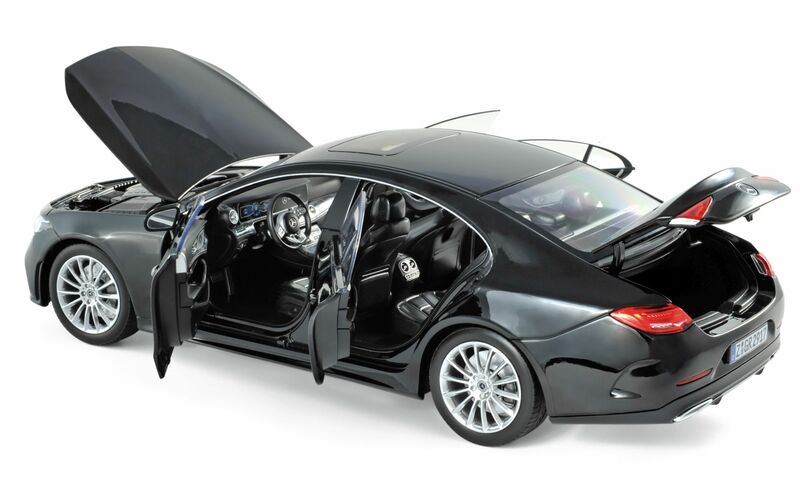 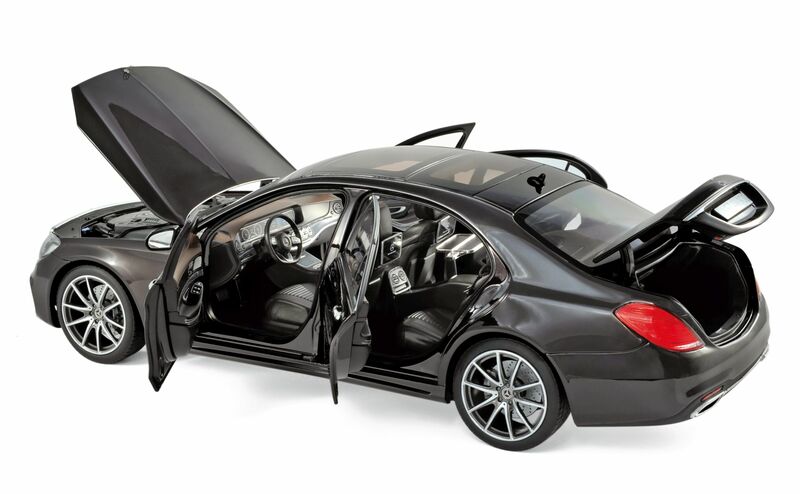 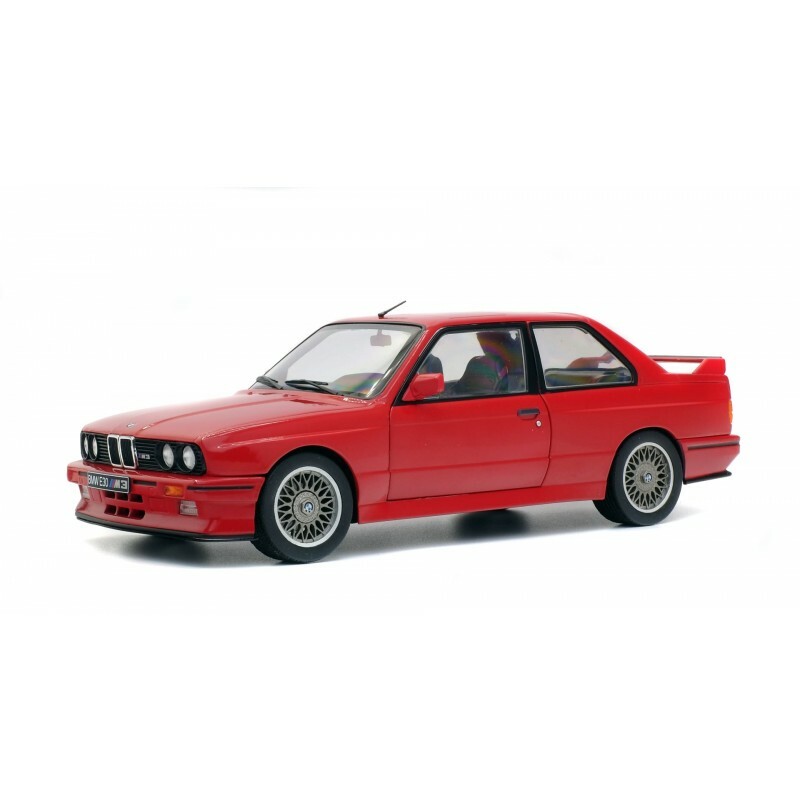 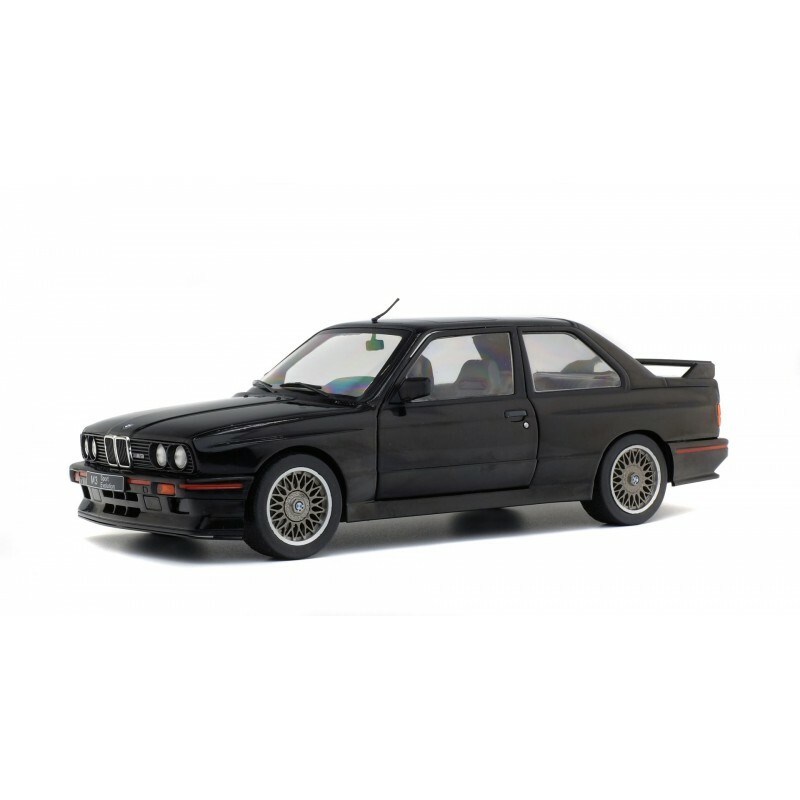 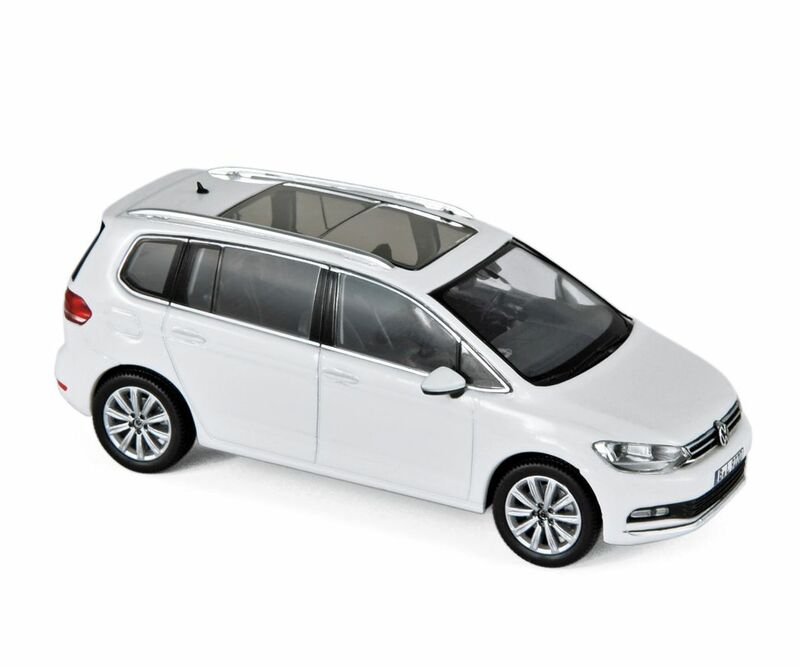 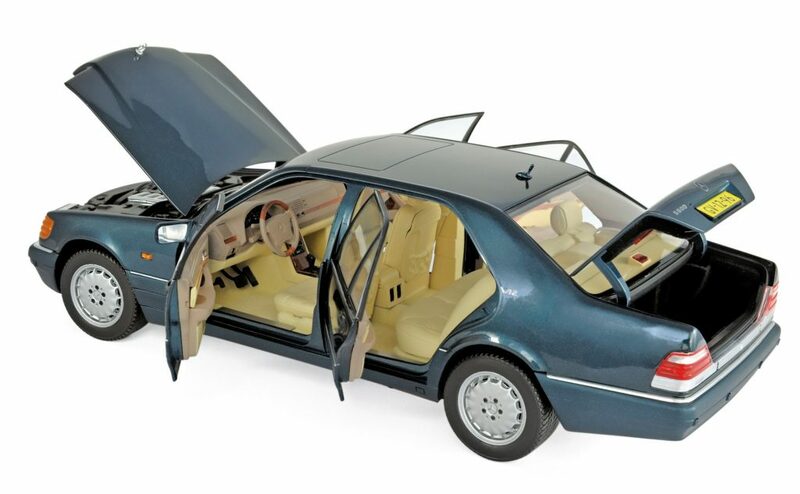 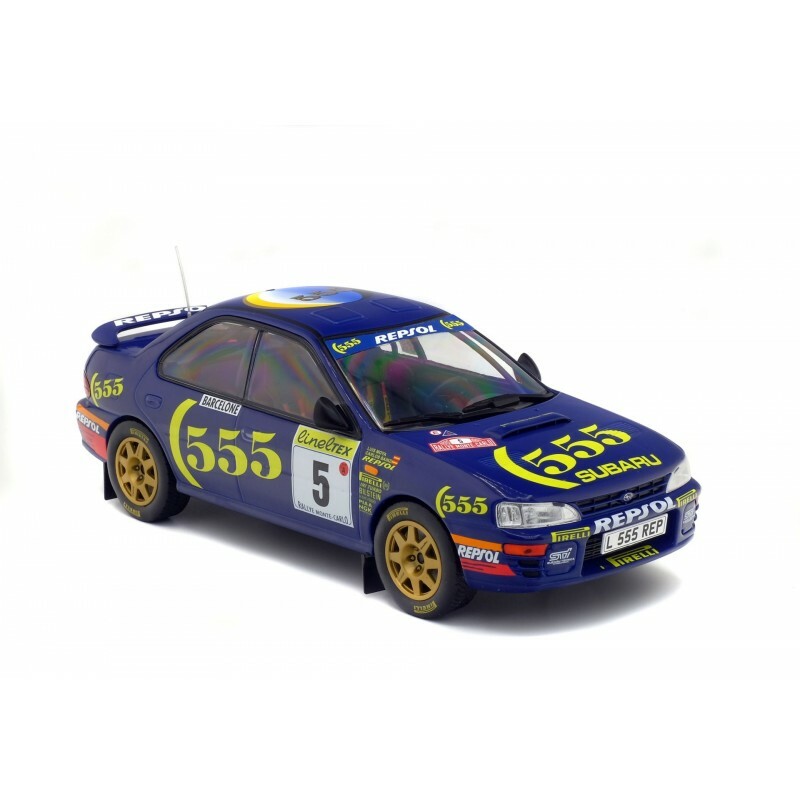 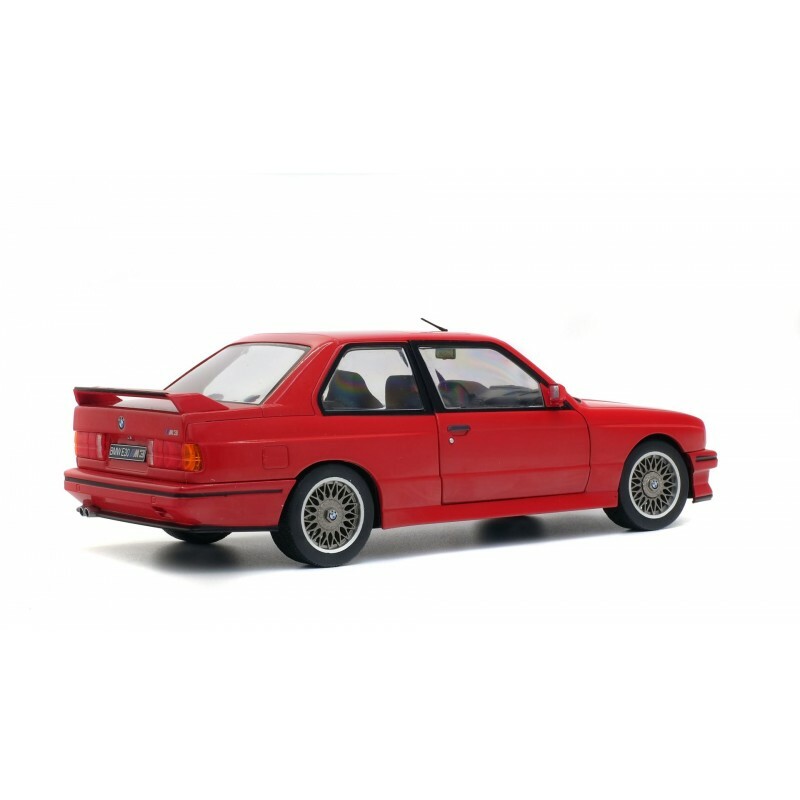 This was a strong package and the car sold over two million units in all its variations, Hatchback, Estate Car, and Van. 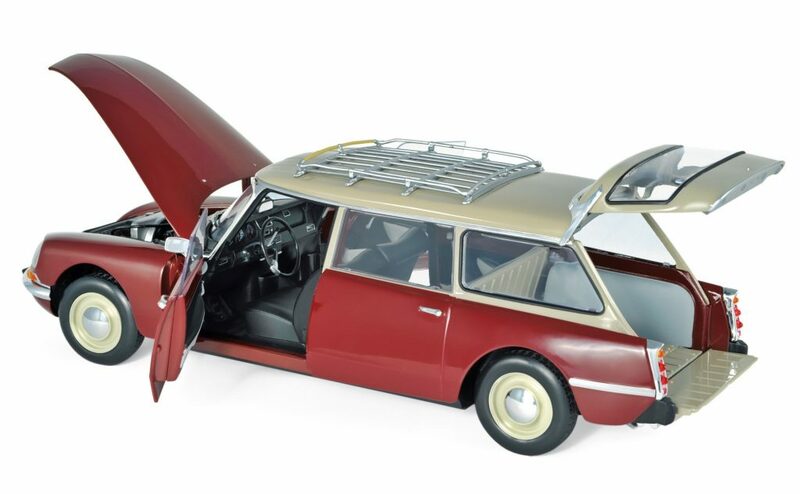 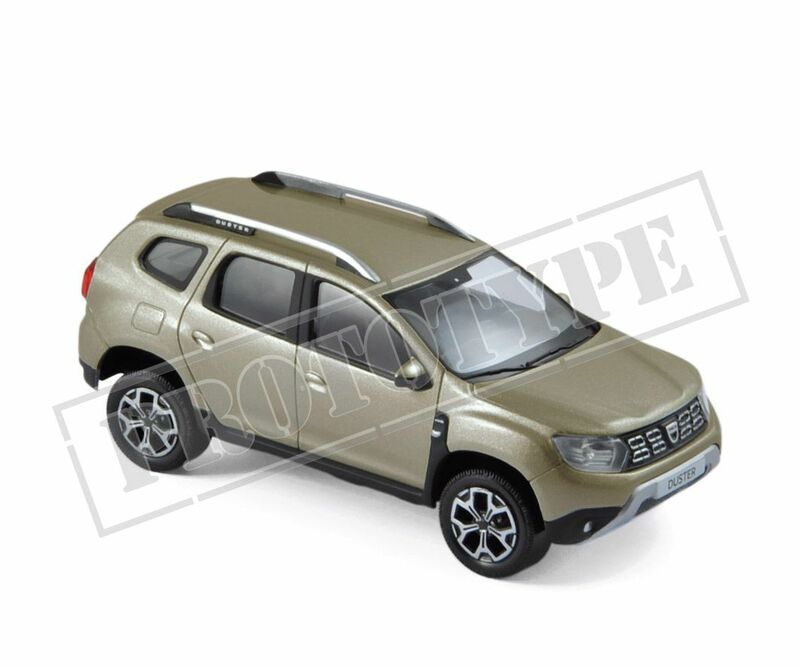 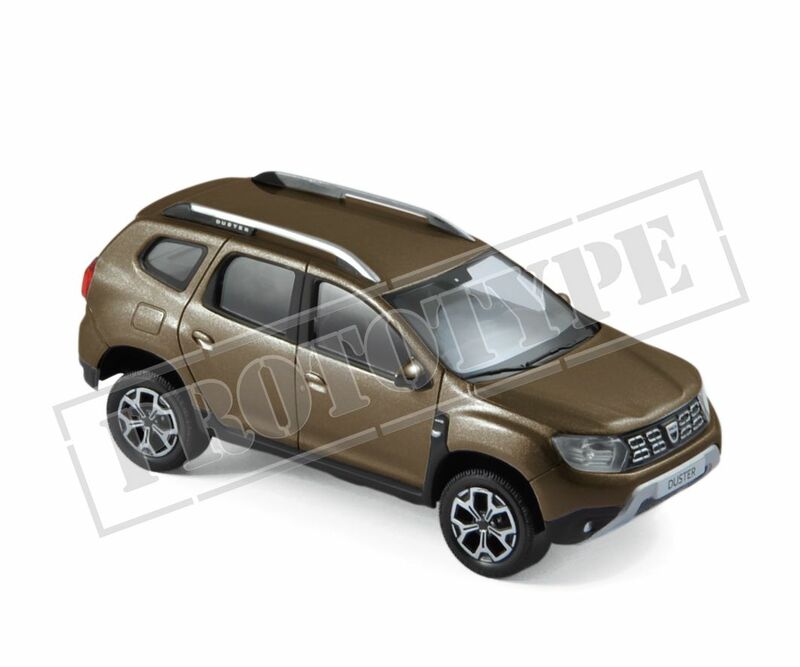 It even formed the underpinnings of the Matra Rancho crossover in later years. 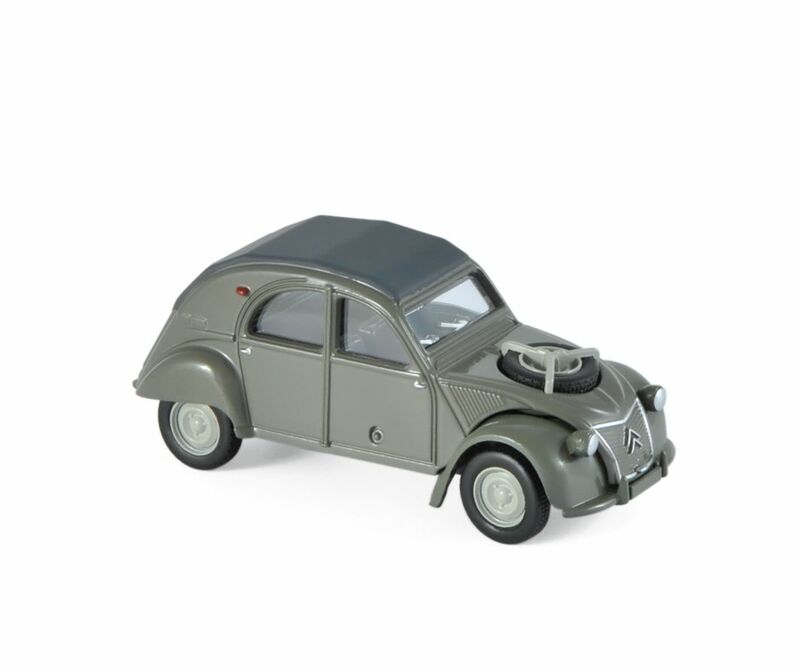 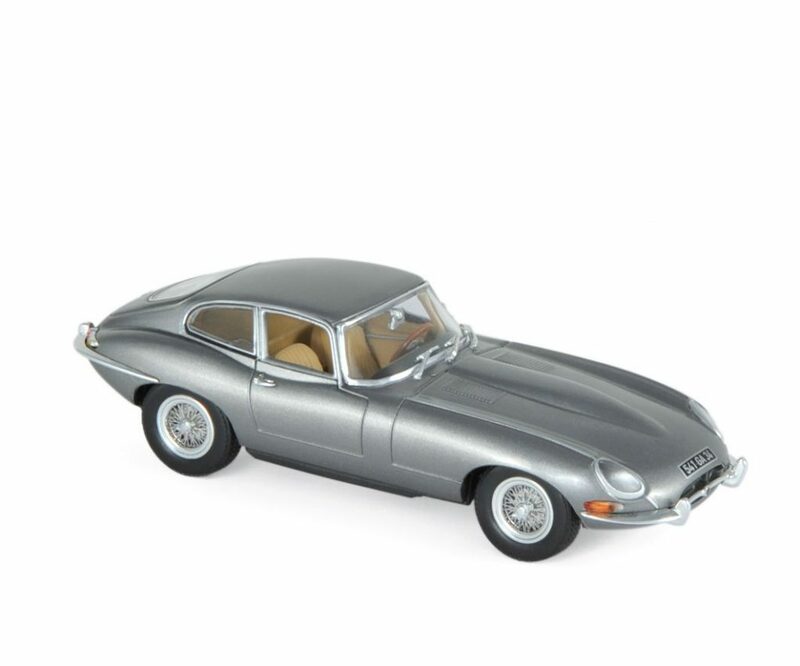 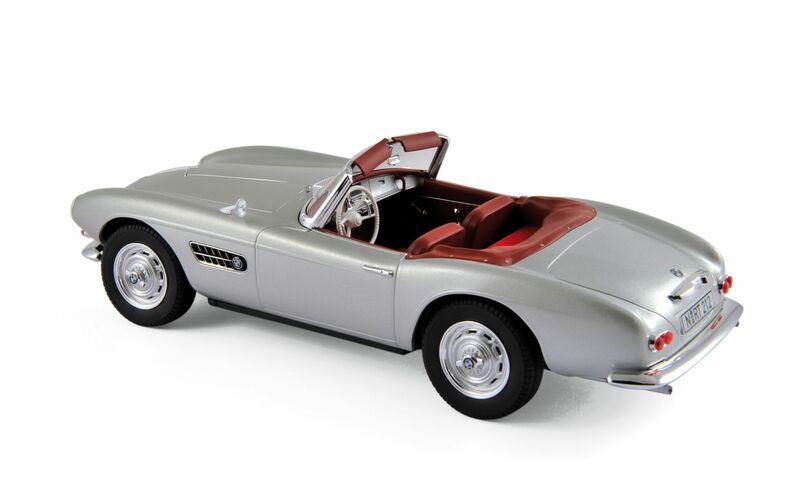 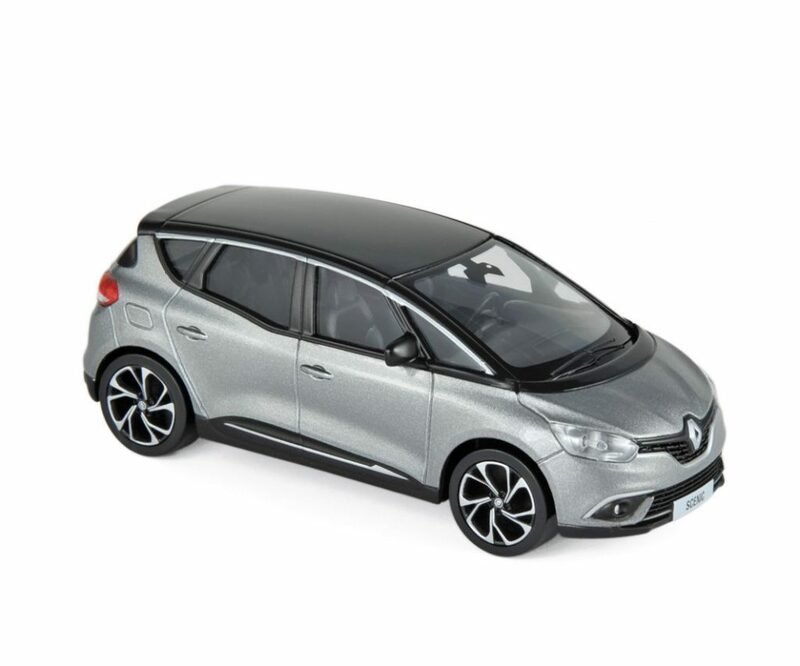 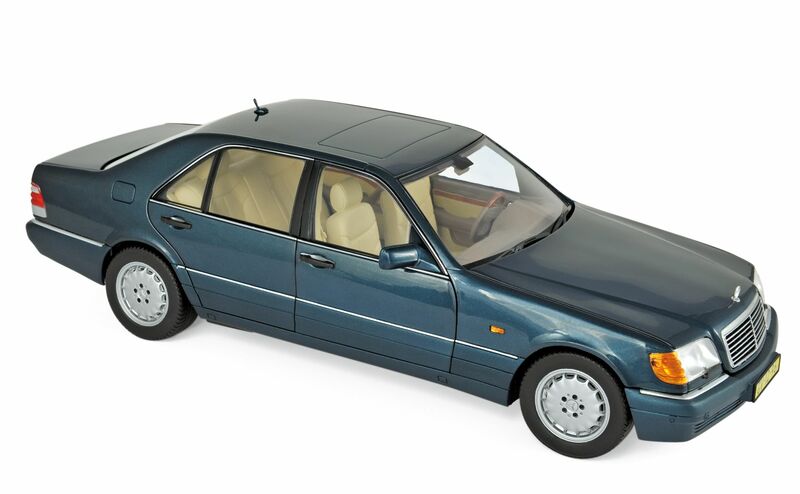 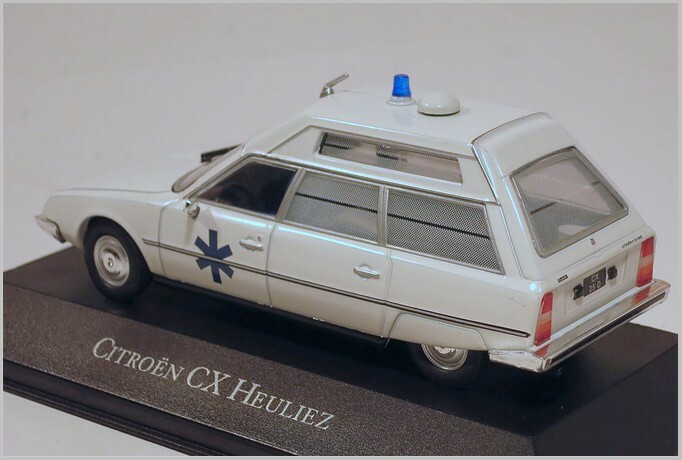 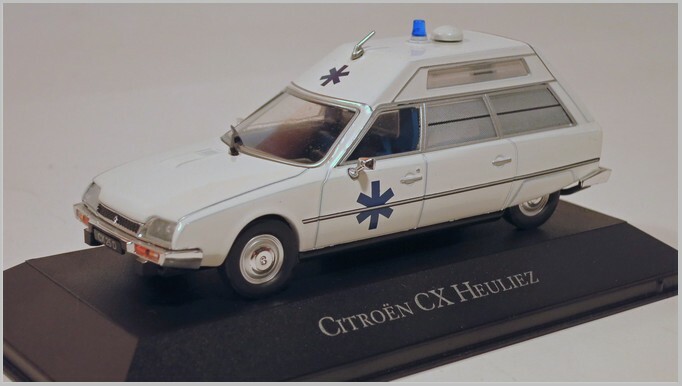 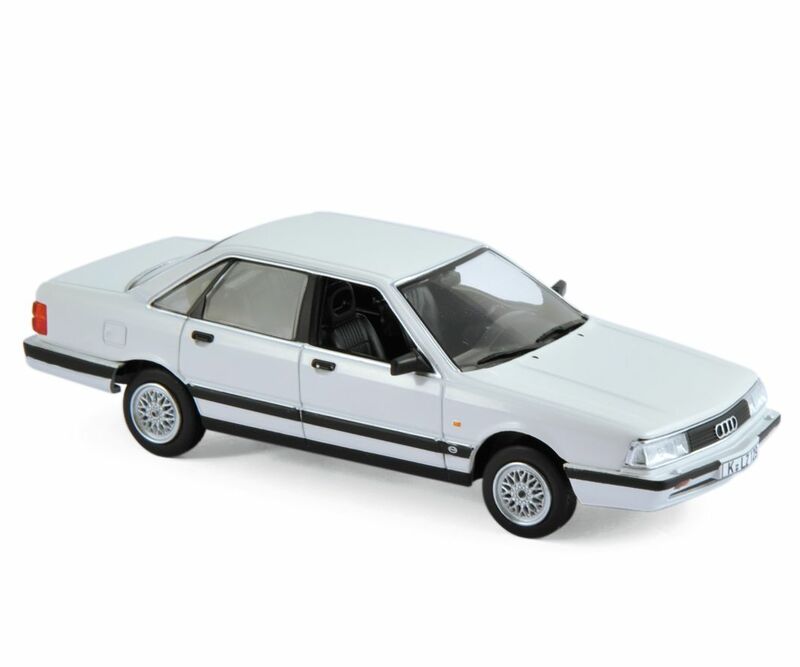 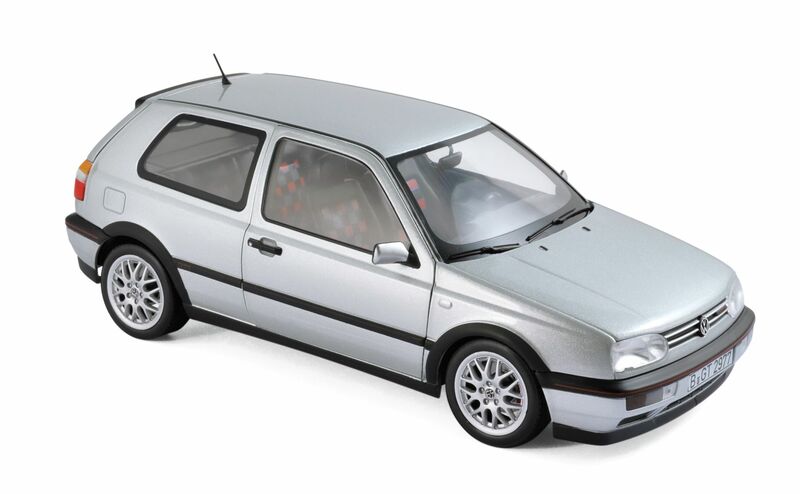 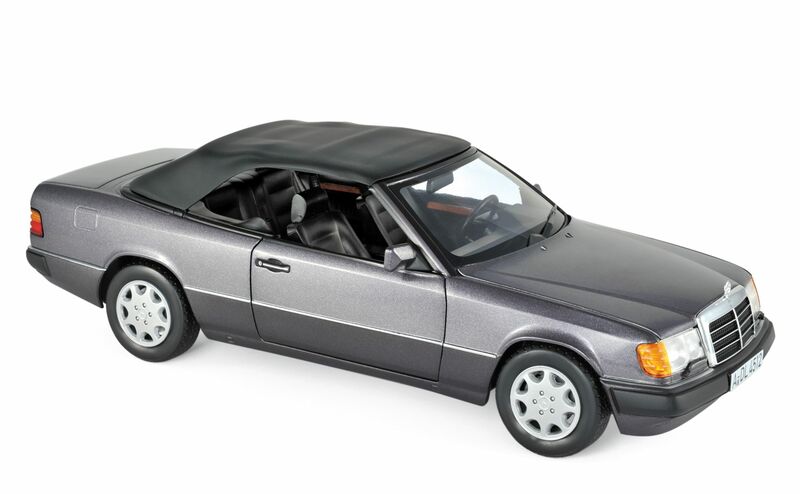 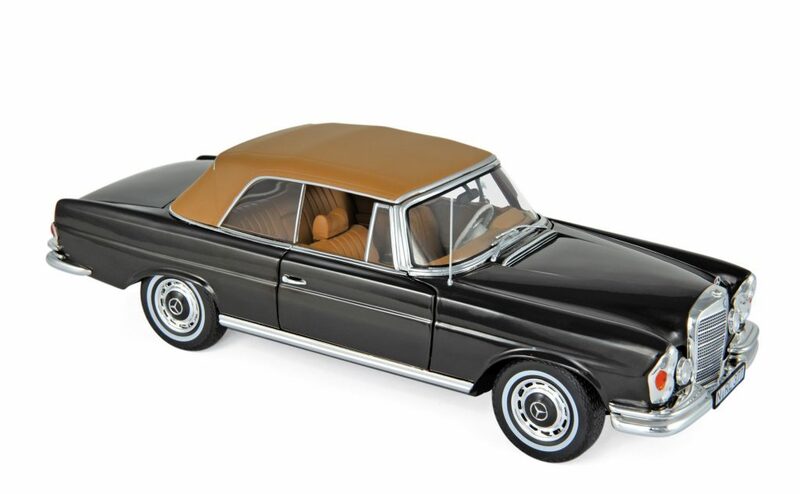 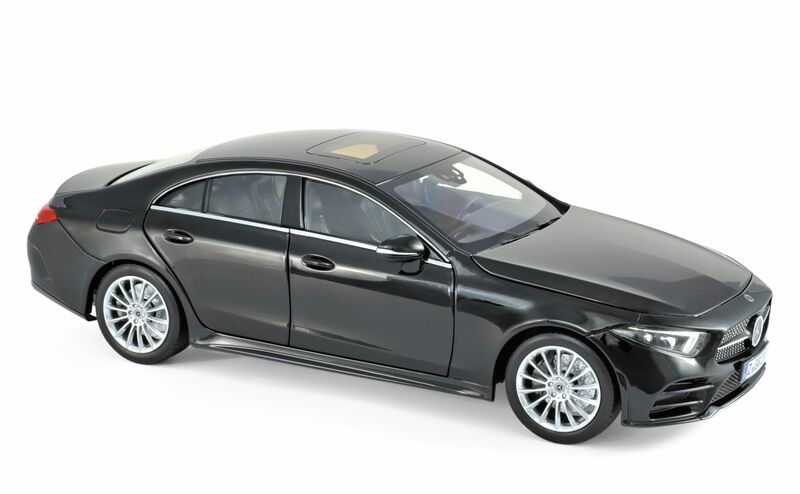 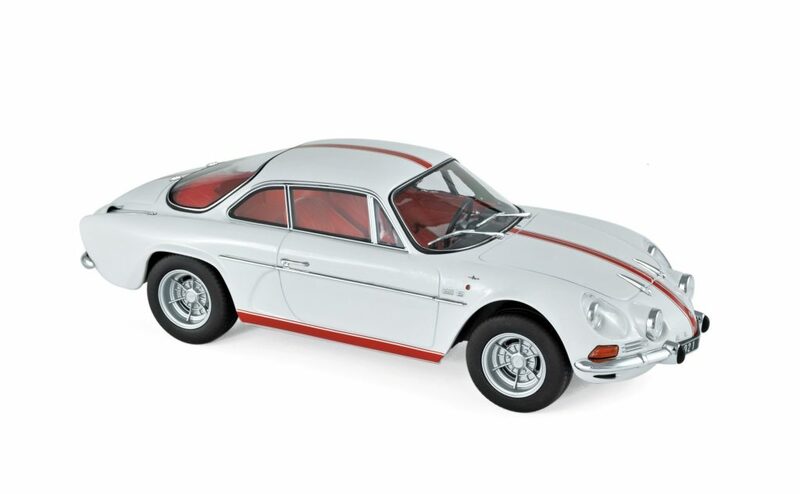 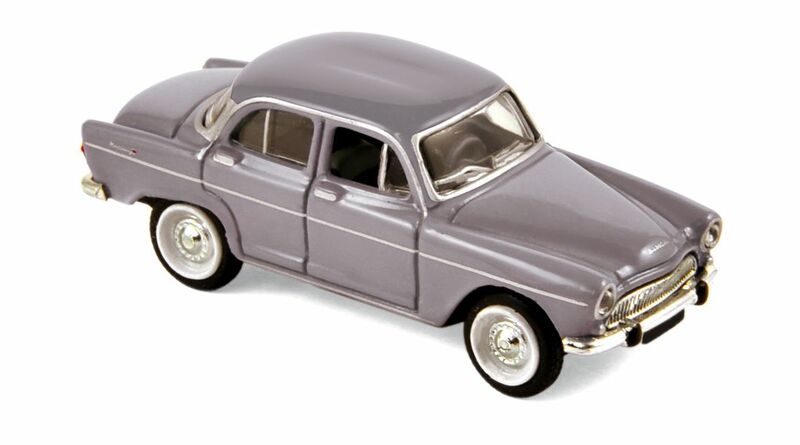 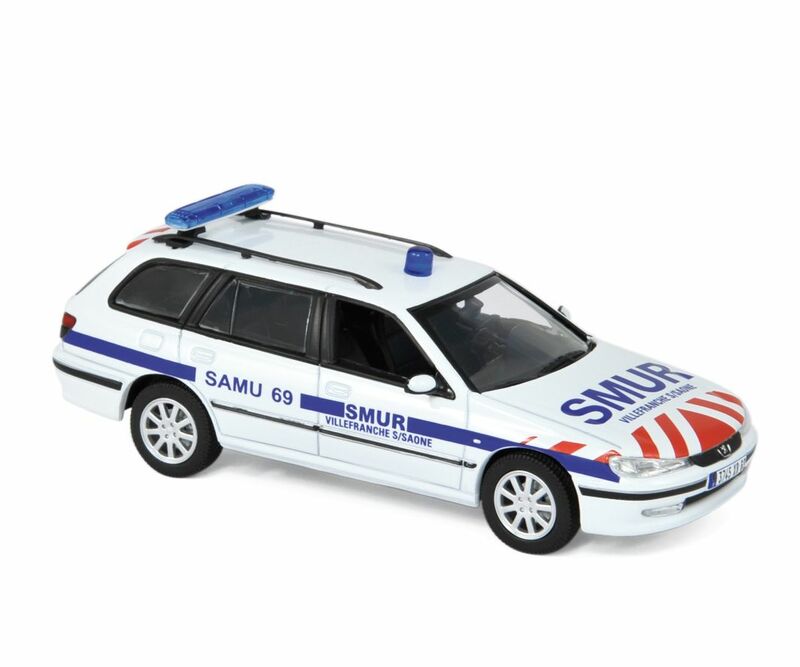 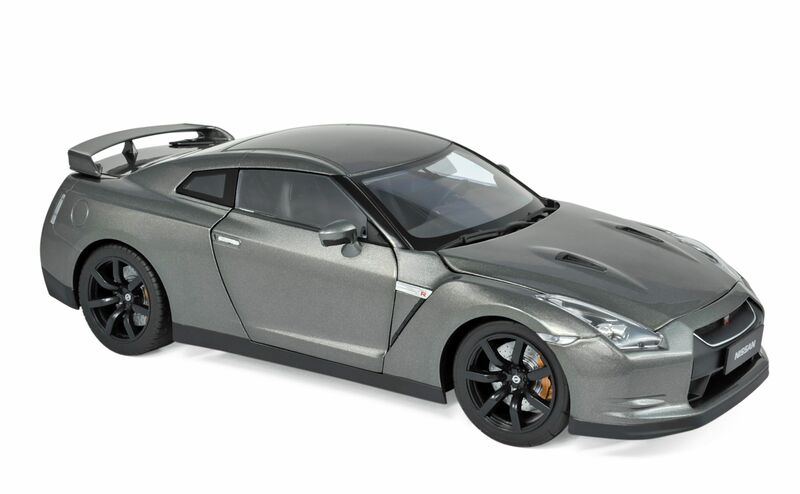 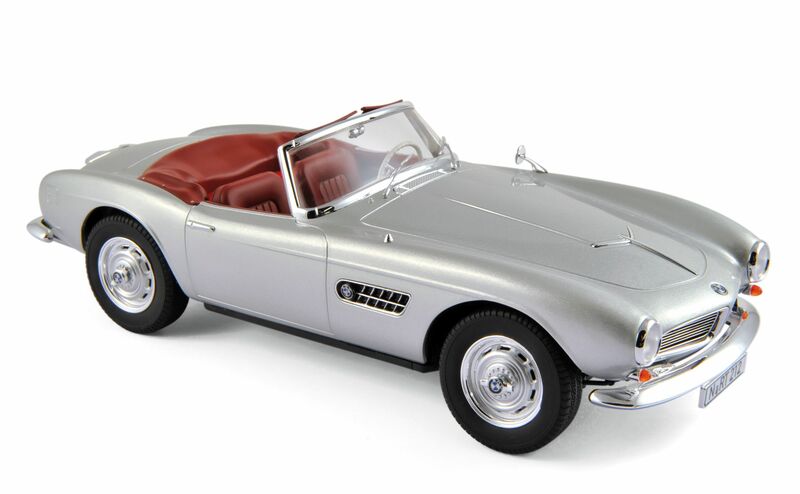 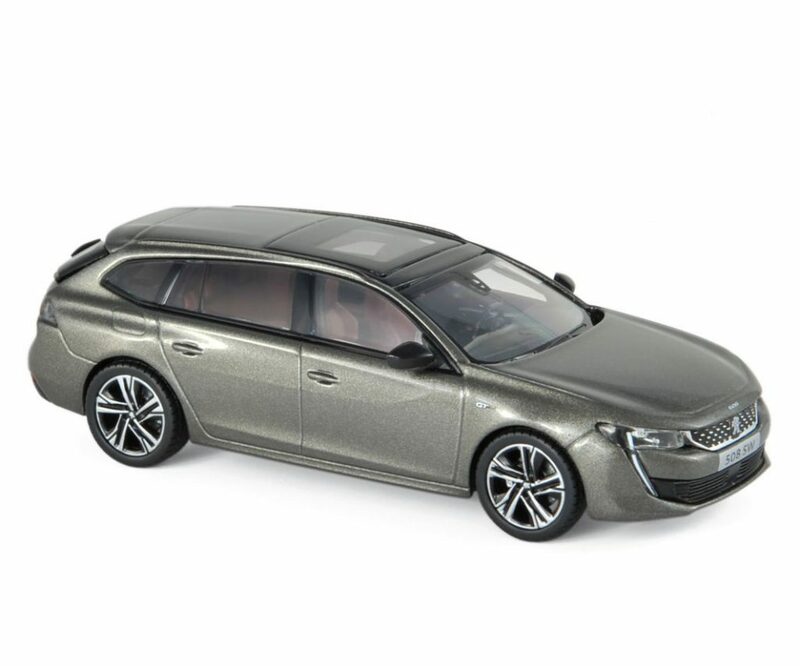 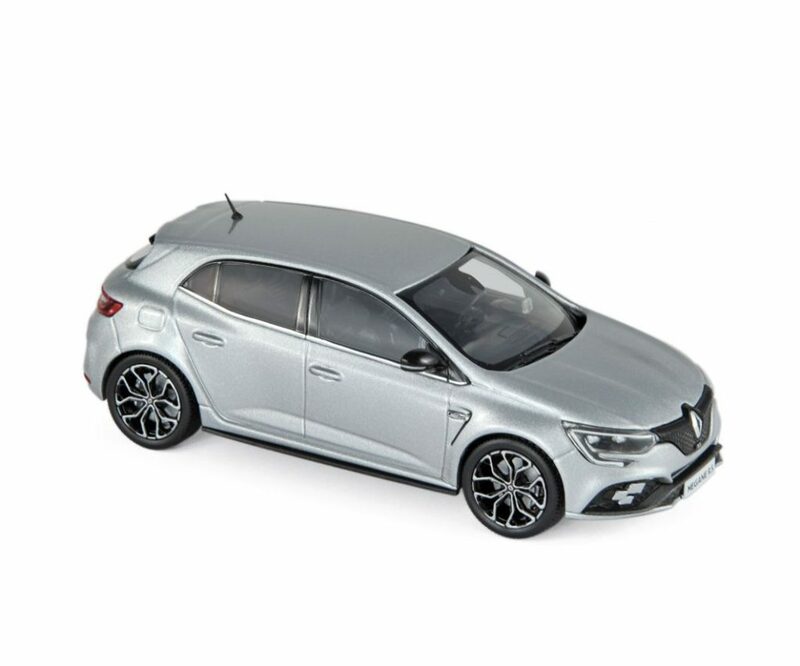 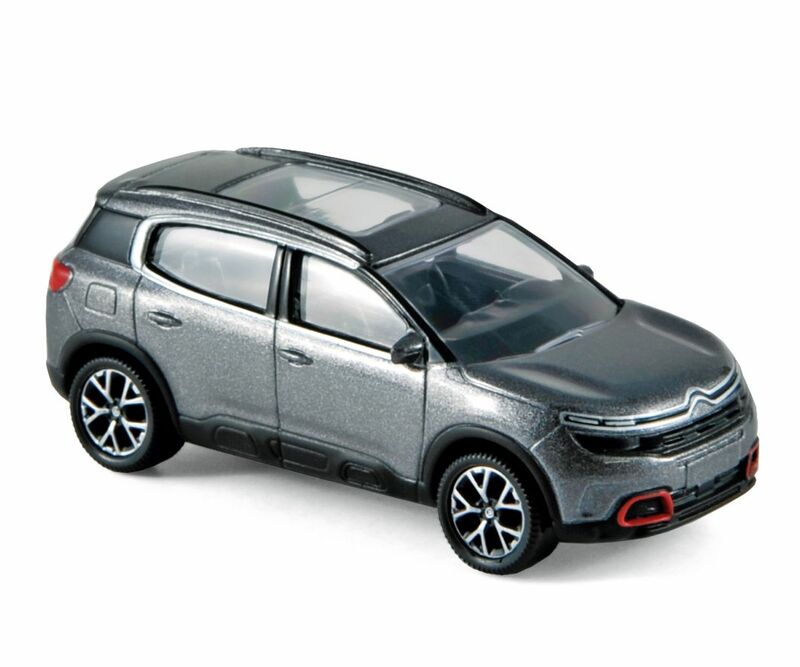 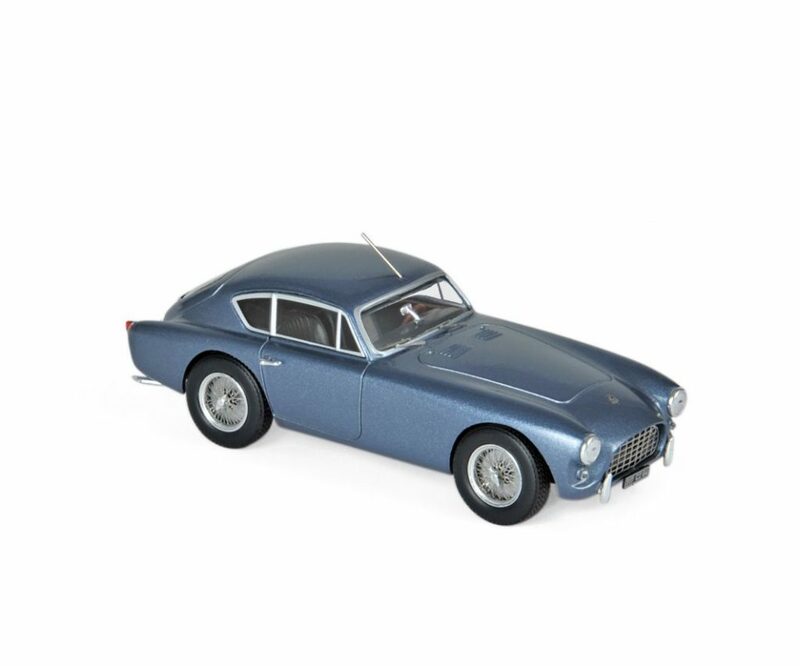 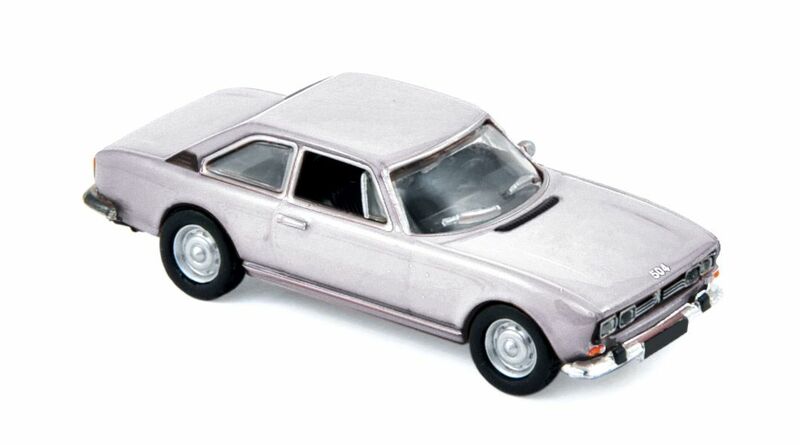 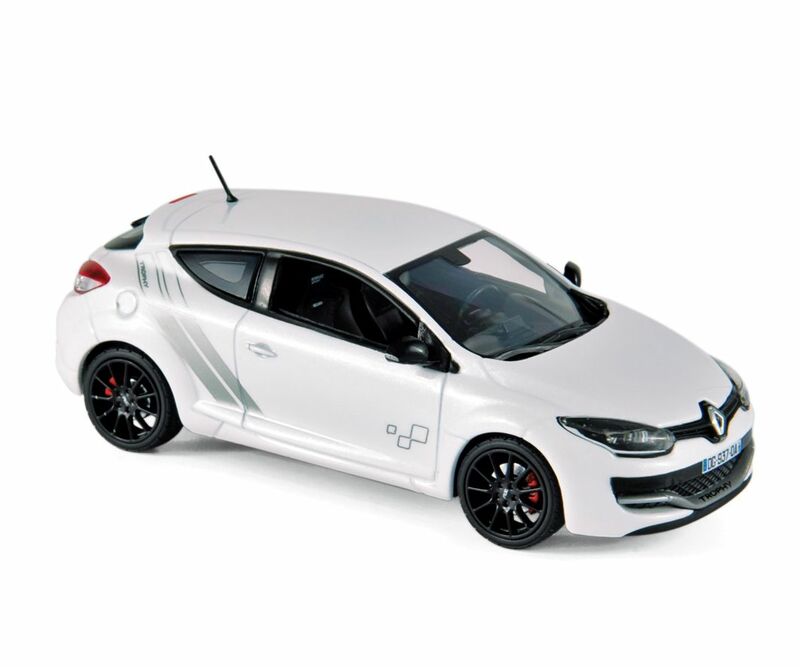 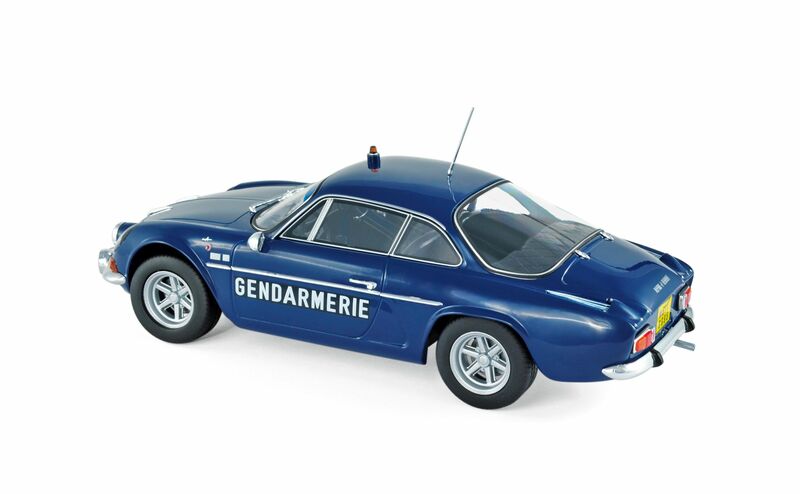 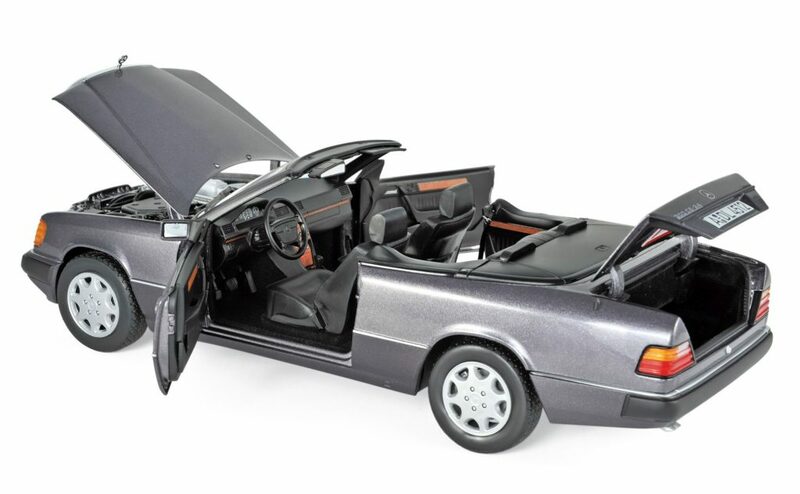 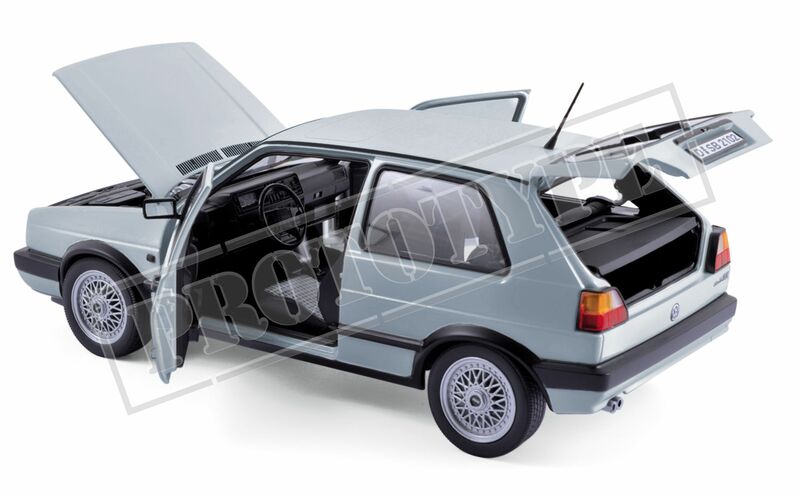 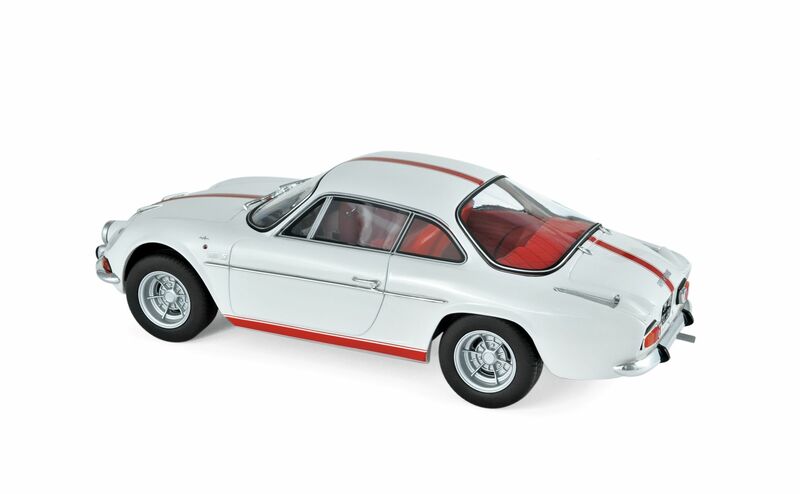 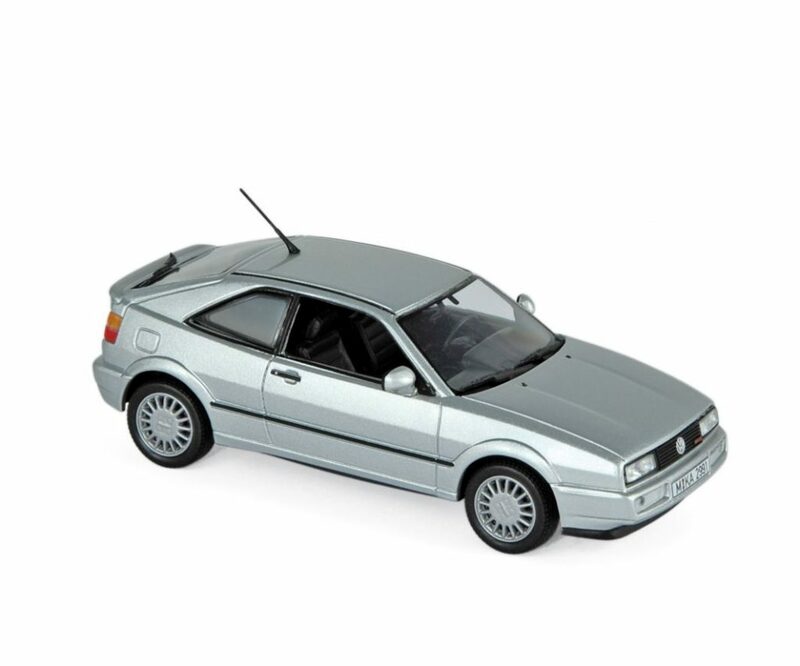 The model is painted in grey/silver metallic paint as it was issued in France. 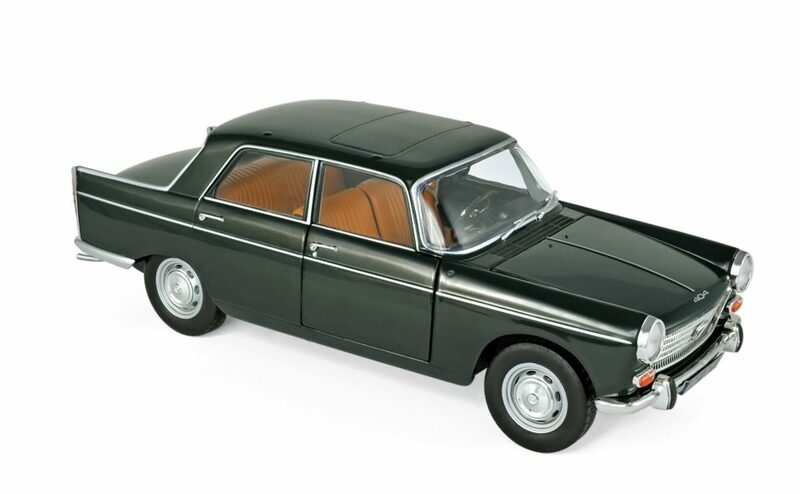 When production went to Spain it was painted in metallic green. 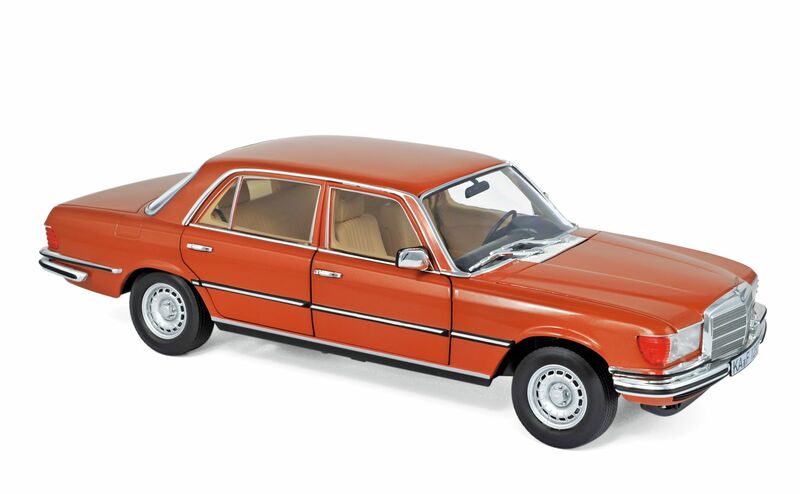 Like much Dinky box art of the time the artist painted it in a colour, red, that was never used. 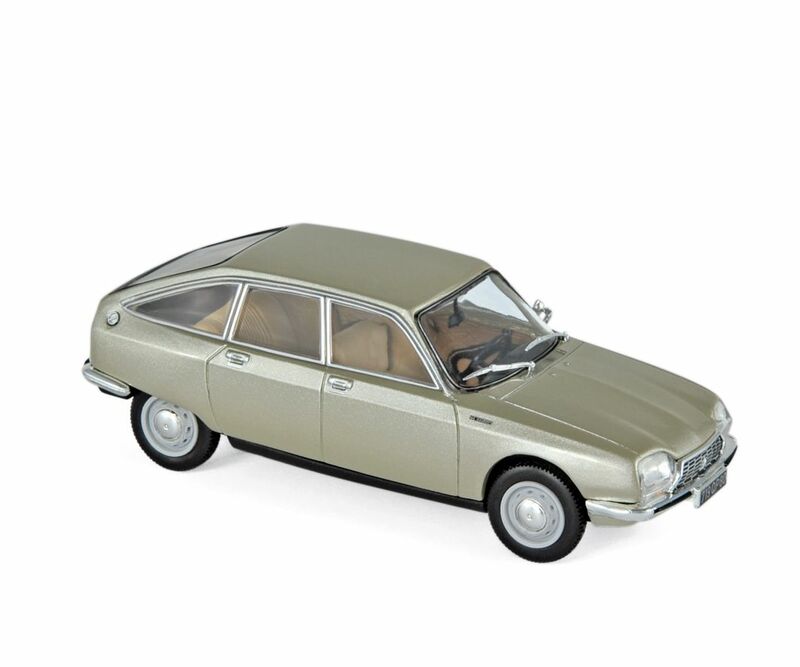 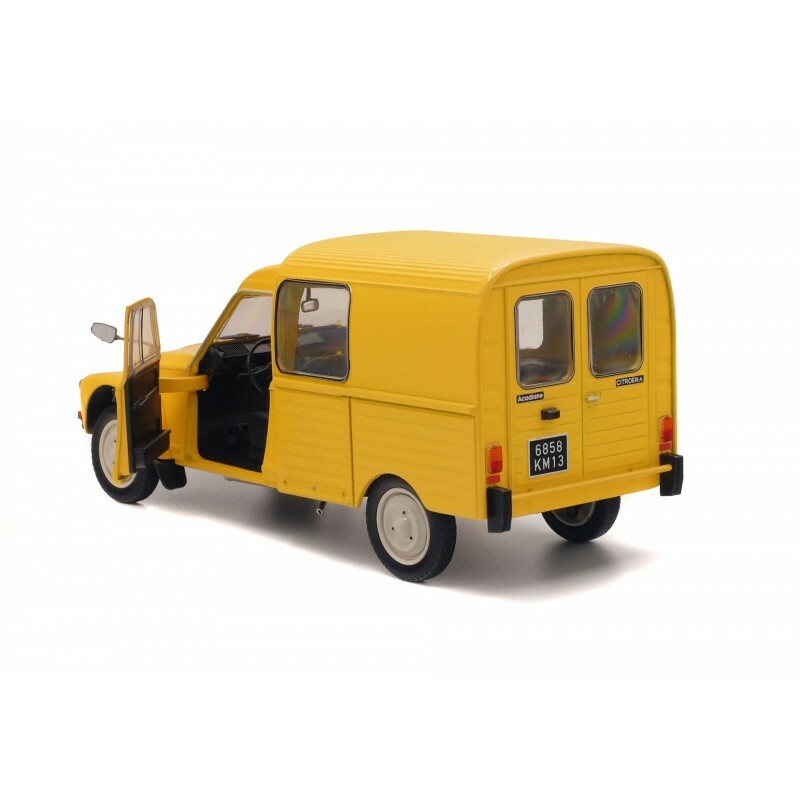 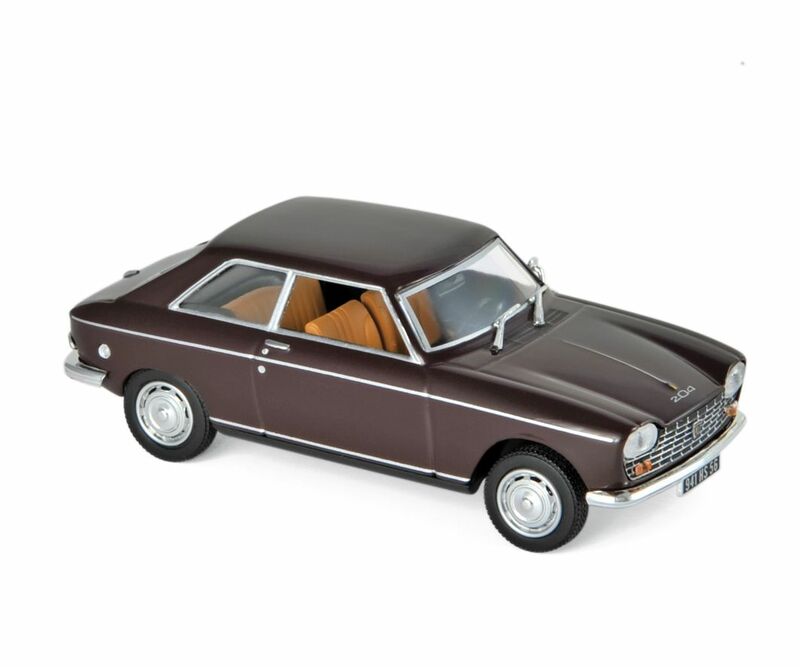 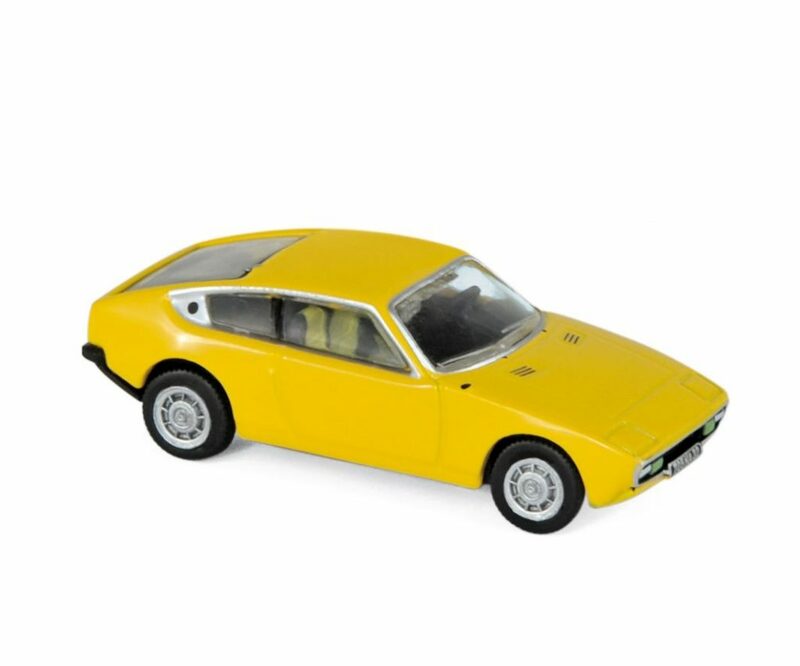 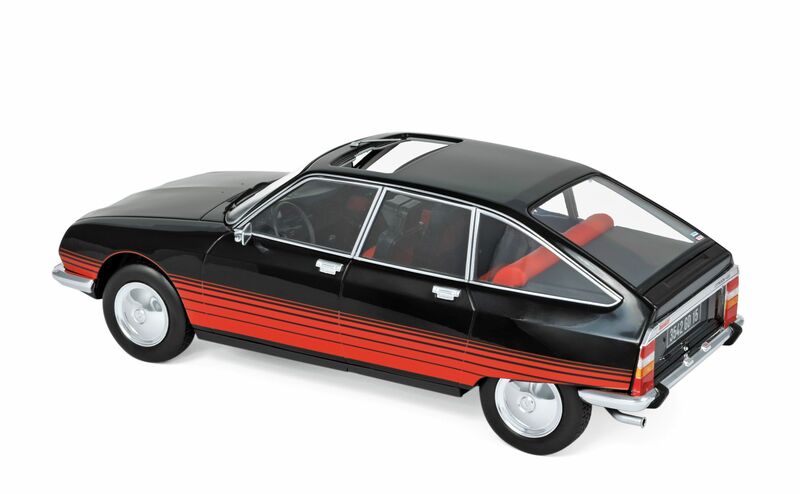 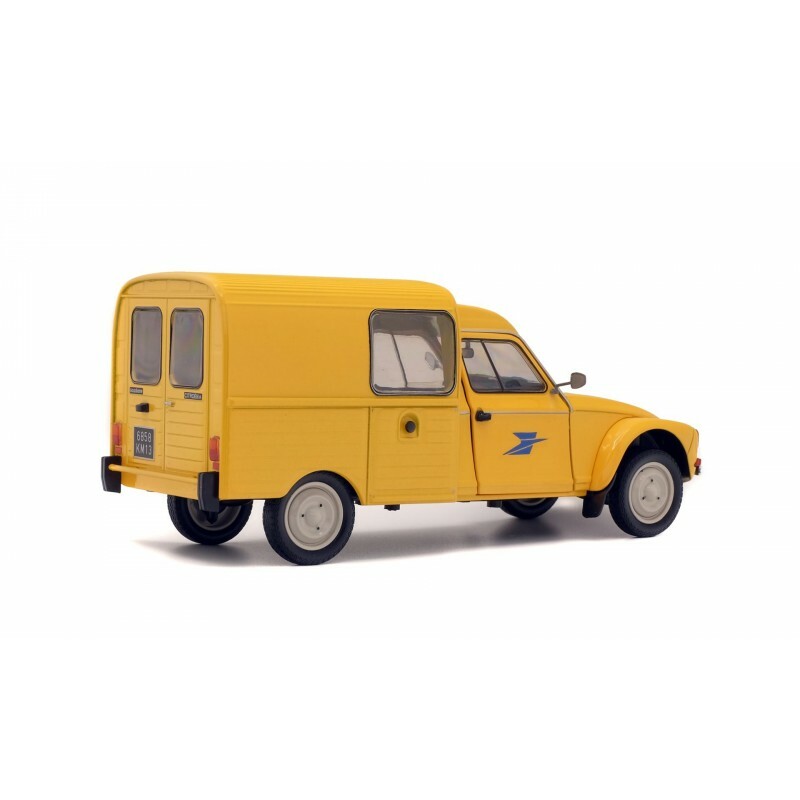 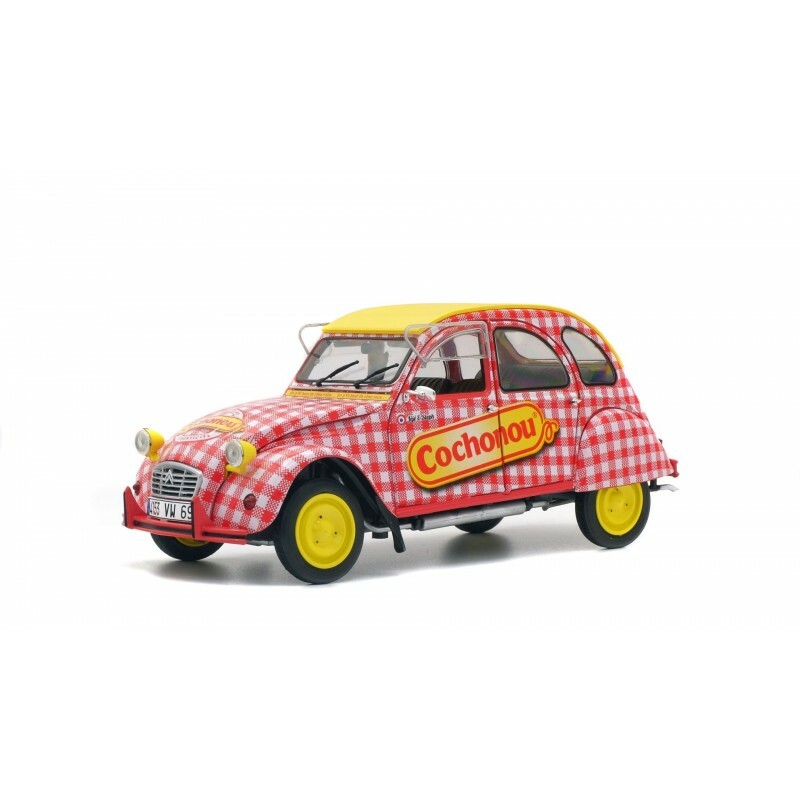 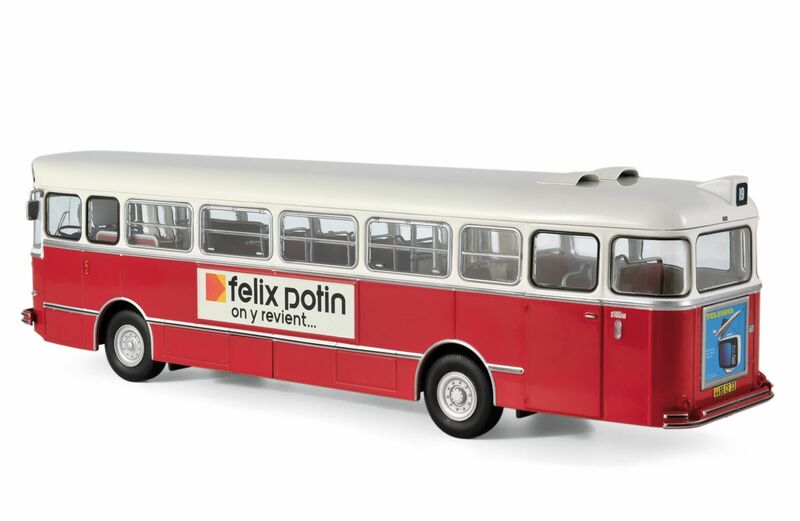 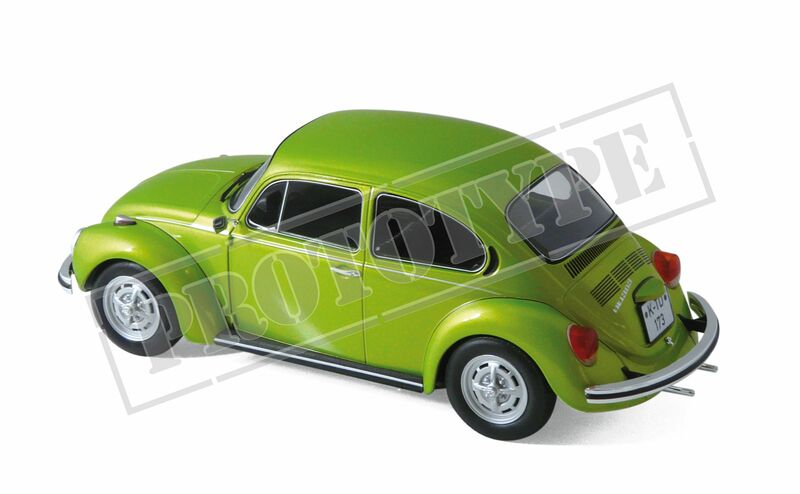 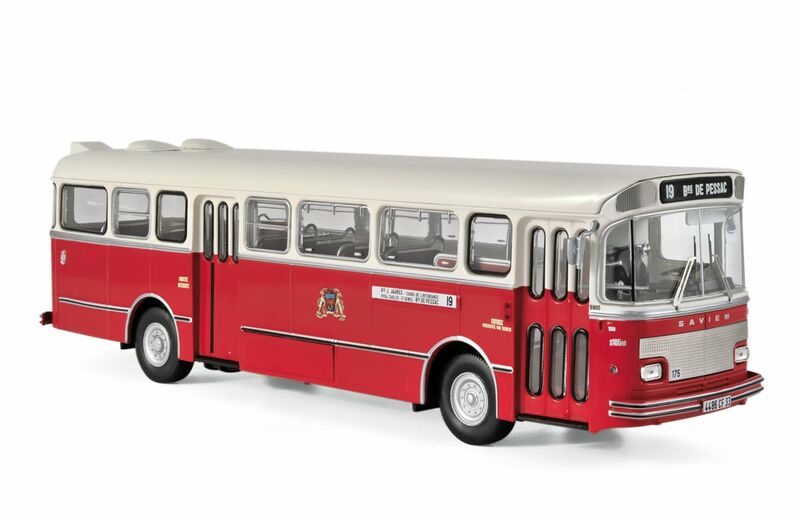 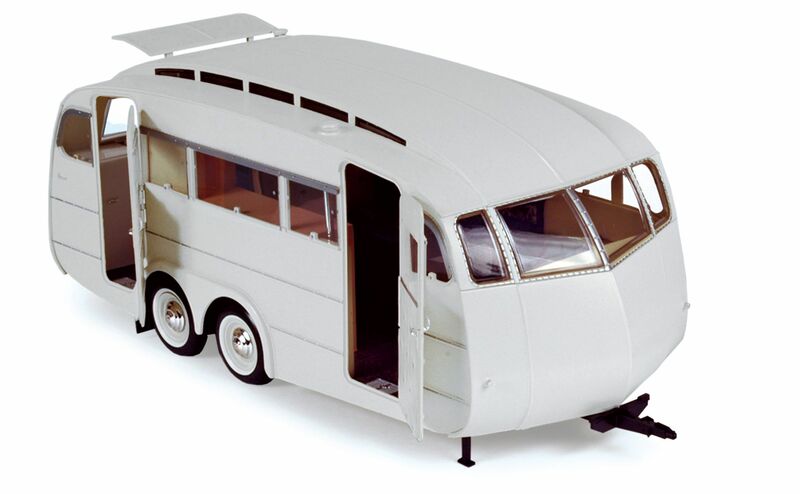 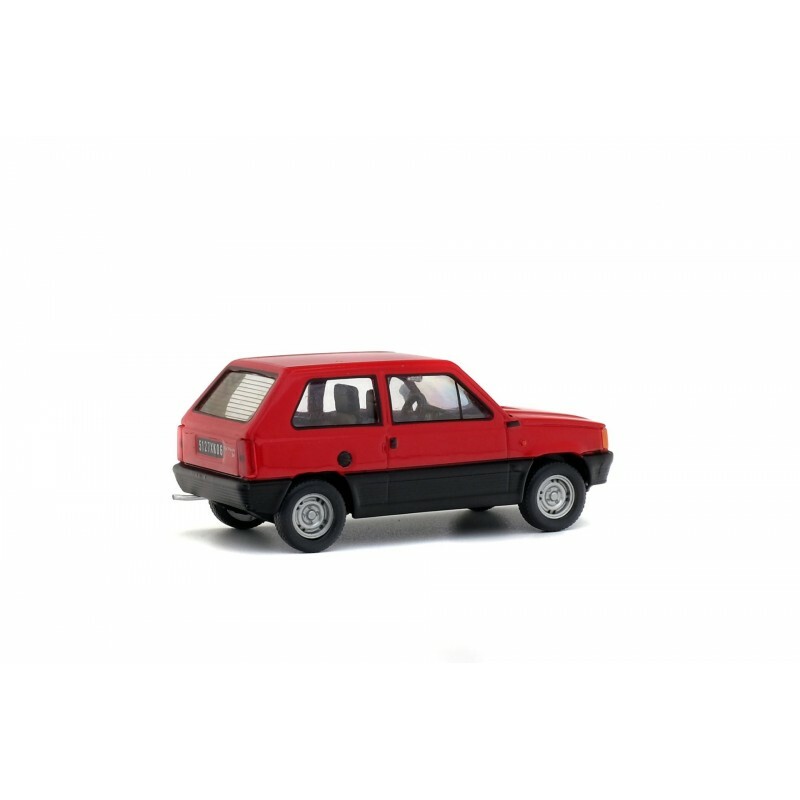 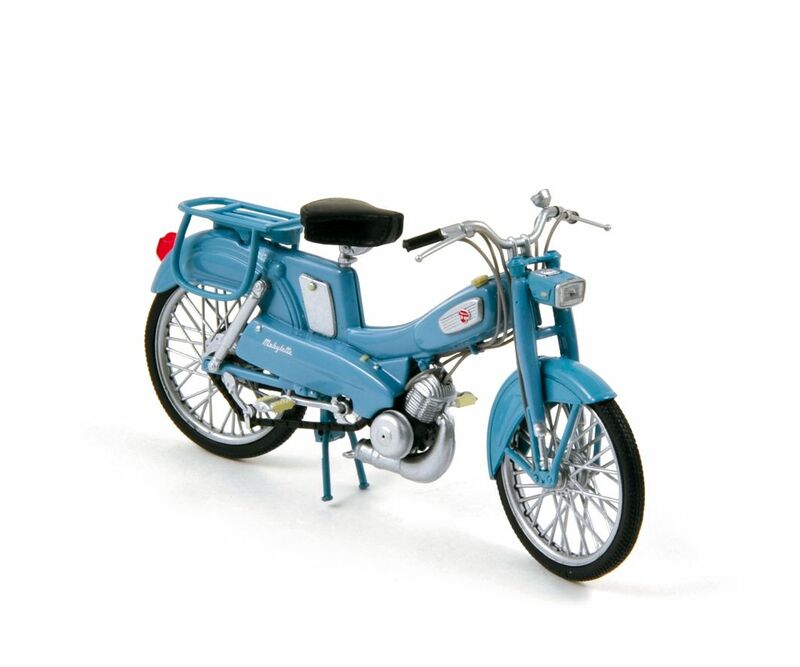 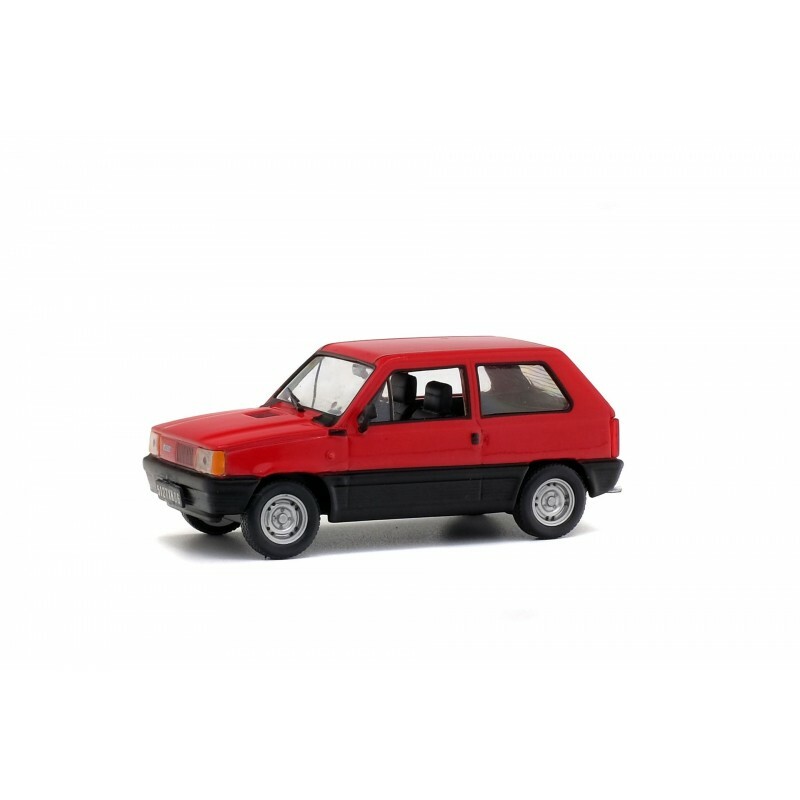 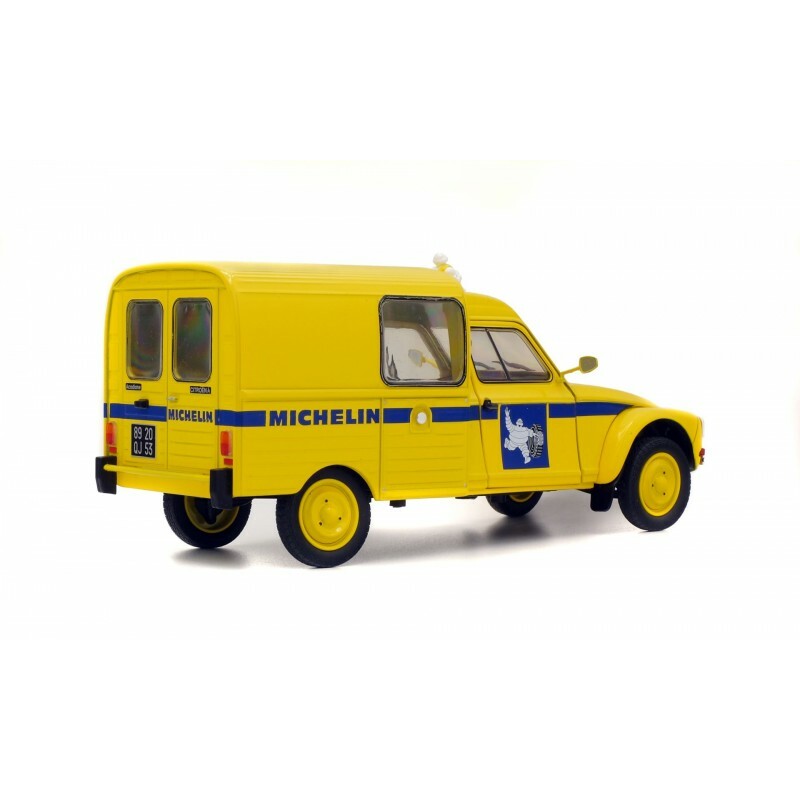 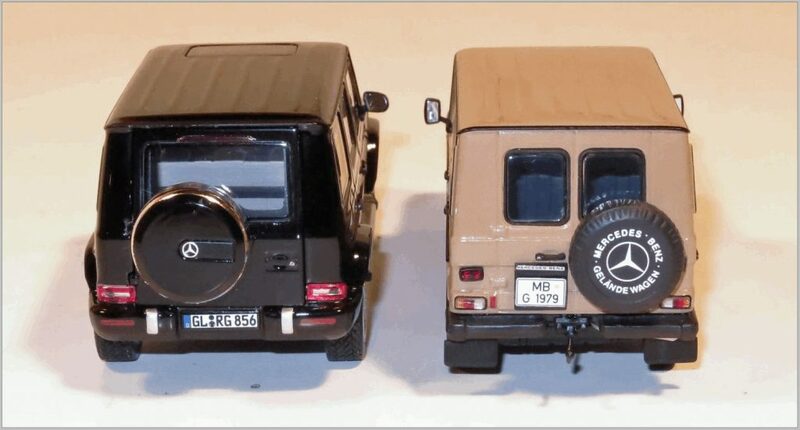 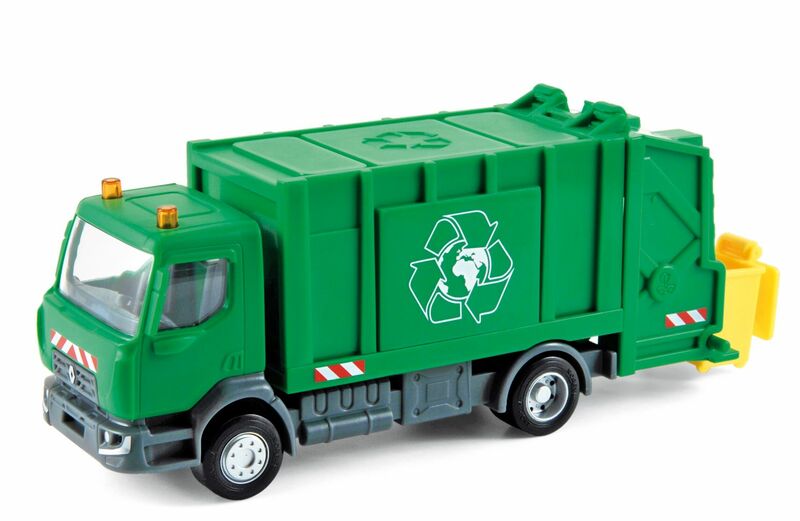 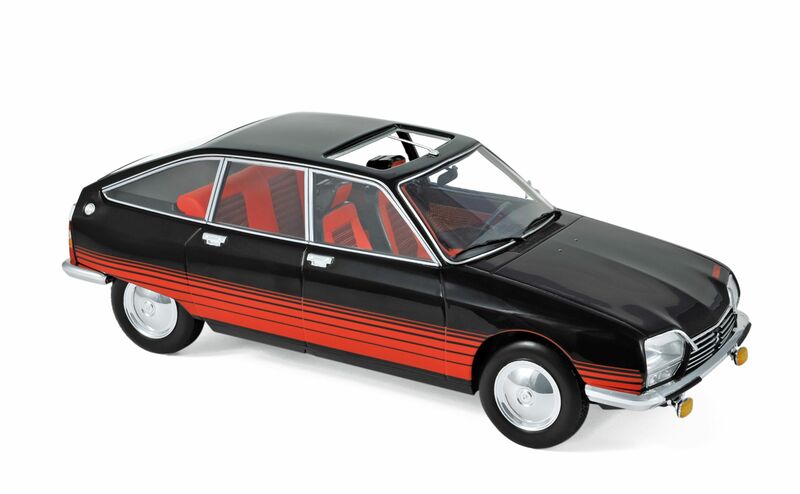 The Dinky model was in production from 1968 until 1971 in France then from 1974 to 1978 in Spain. 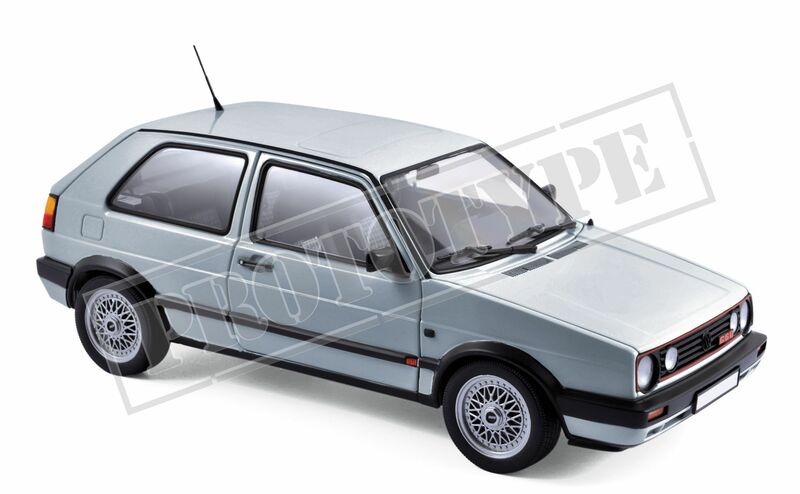 A police car version appeared in 1977 as #1450 and was made under licence by Pilen in Spain with a black and white livery with light bar and Police decals. 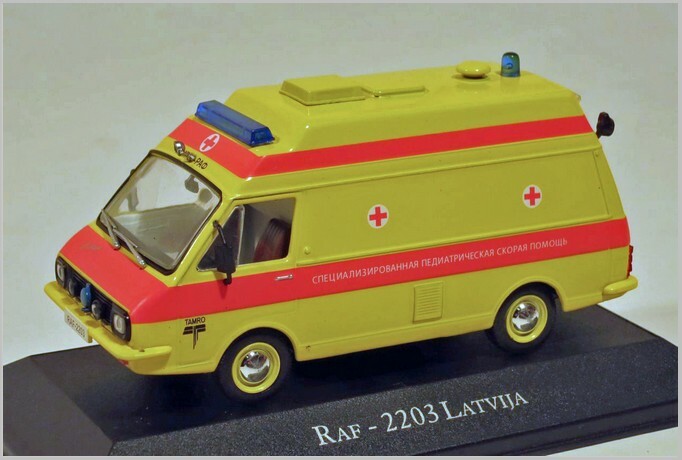 The reproduction from Norev for Atlas is a good one. 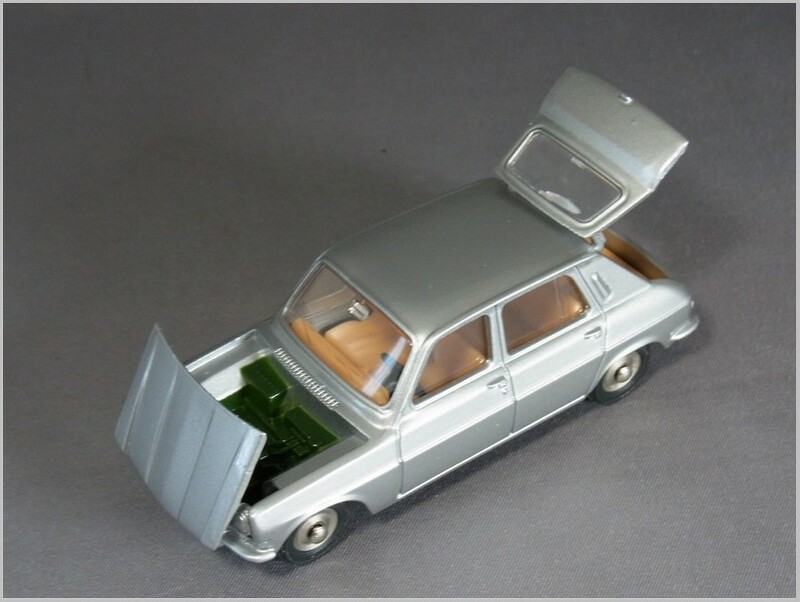 A nice silver grey paint has been used and given a lacquer finish. 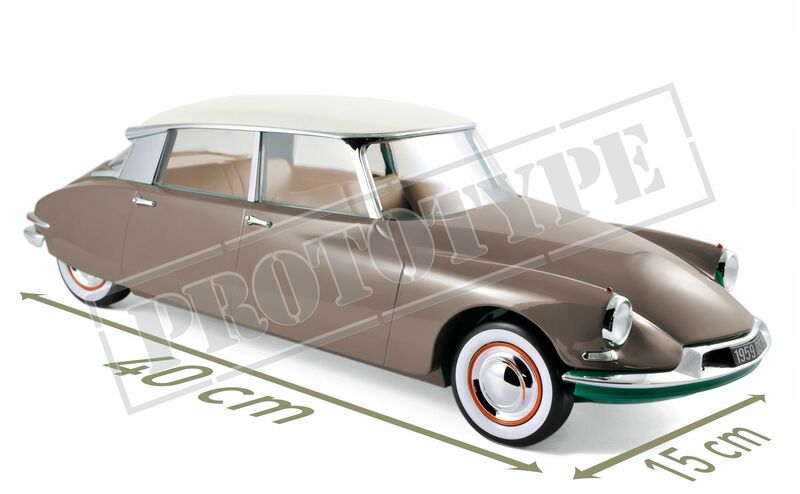 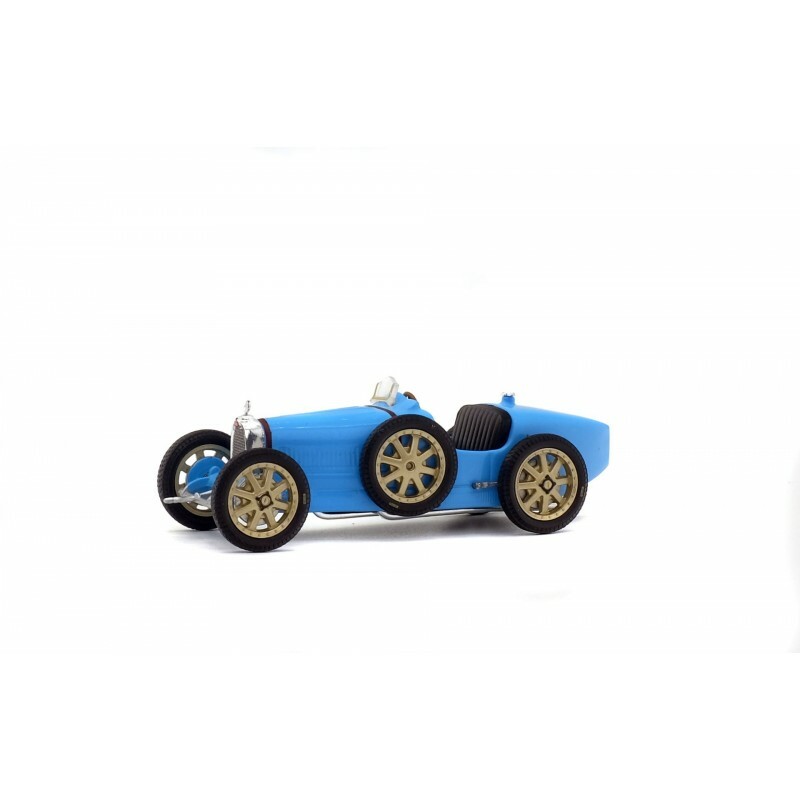 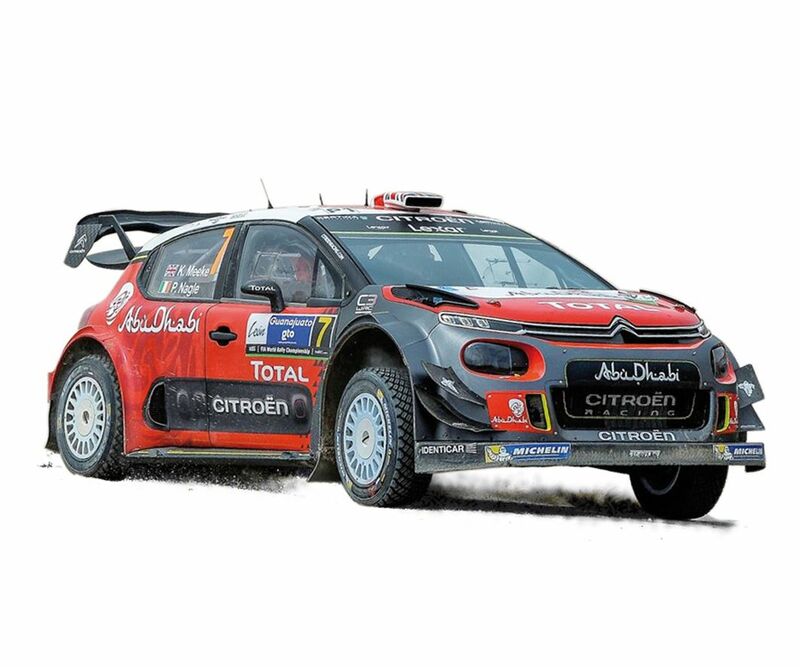 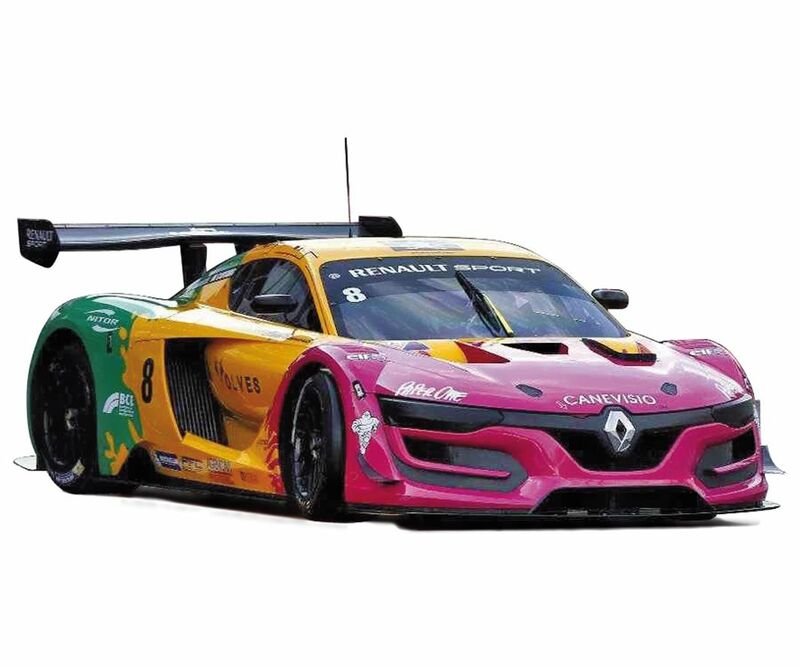 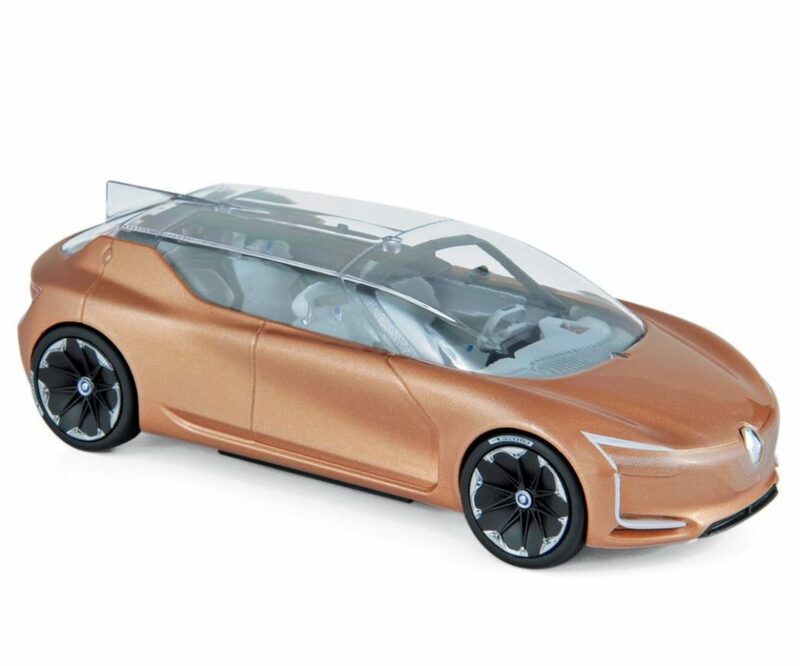 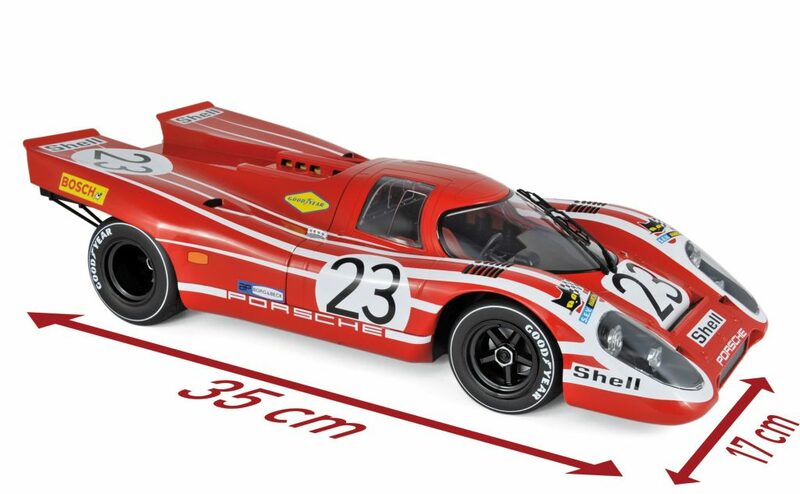 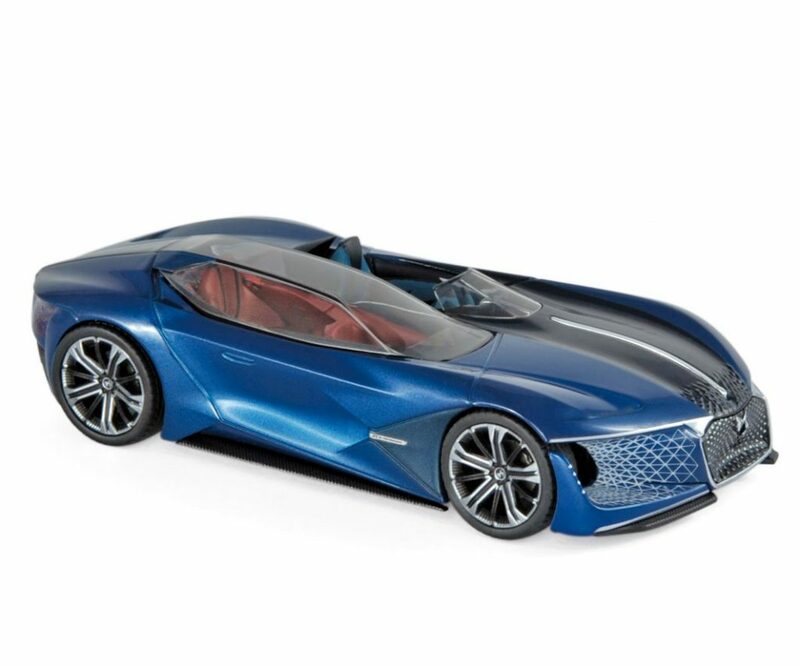 The shape of the car and its “perched” stance has been well captured. 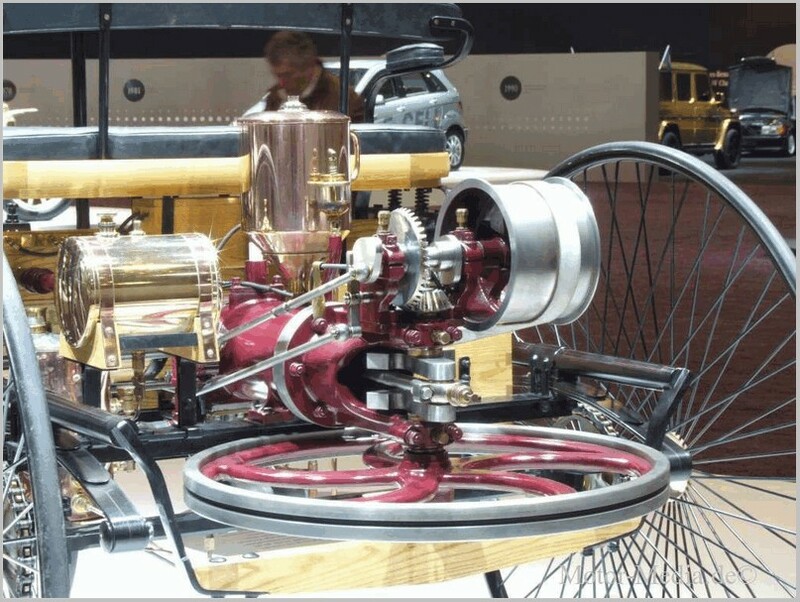 Lights are given a cursory silver paint at the front and red at the rear. 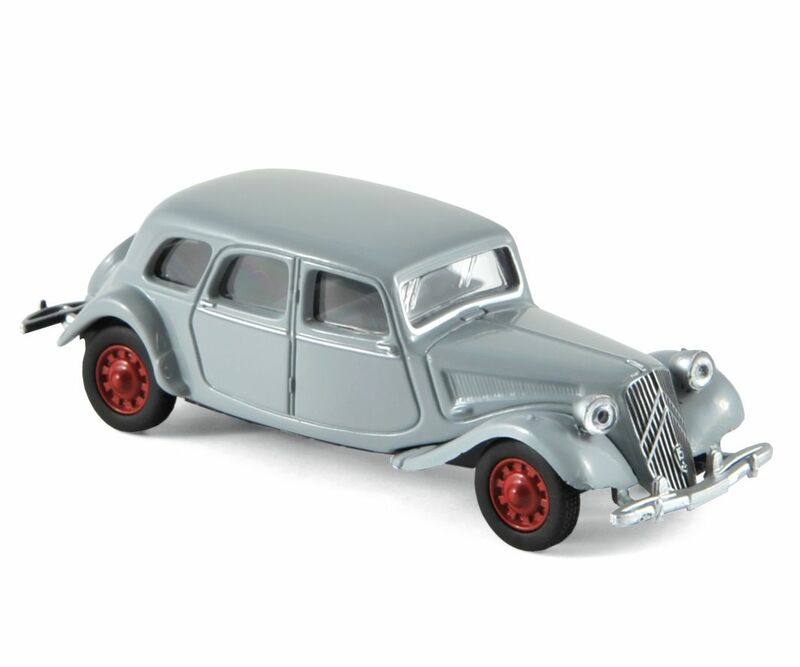 the bumpers are nicely formed and the car is marked ‘1/43’. 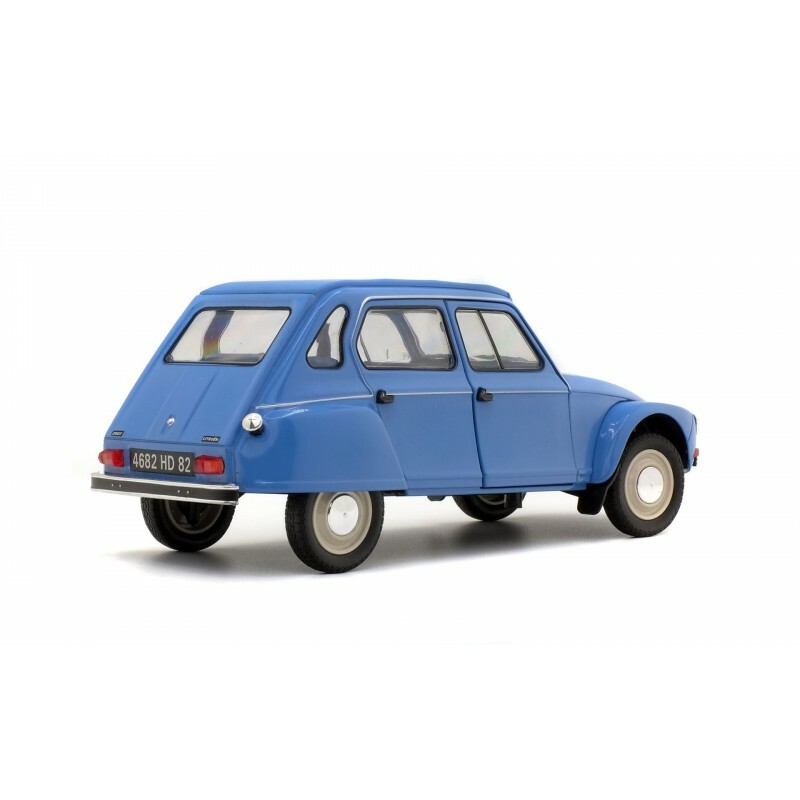 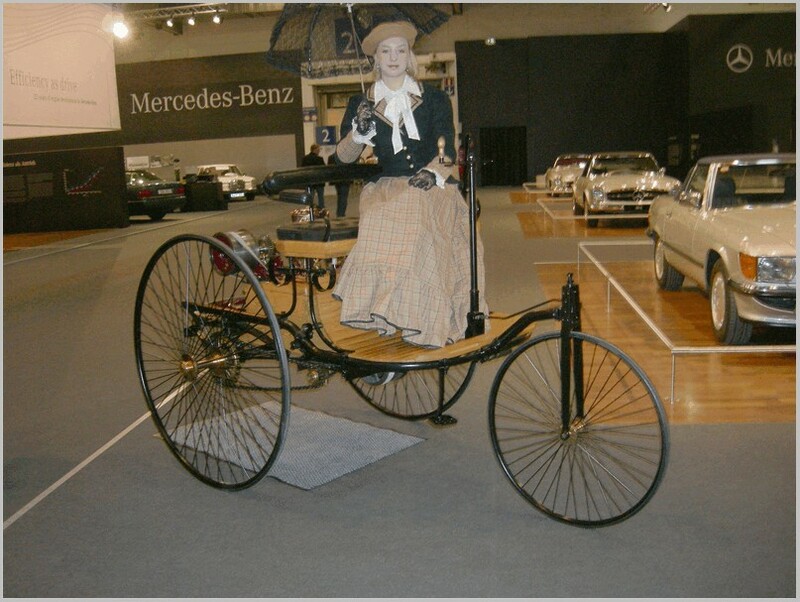 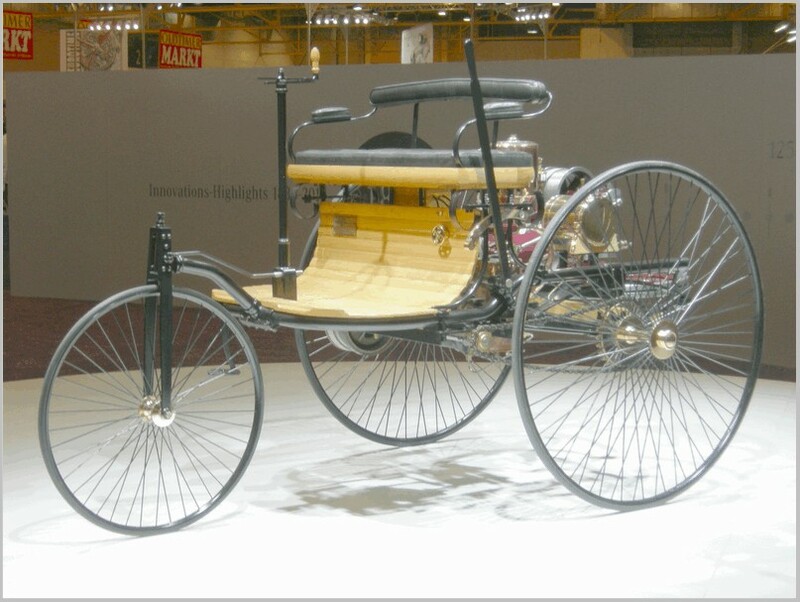 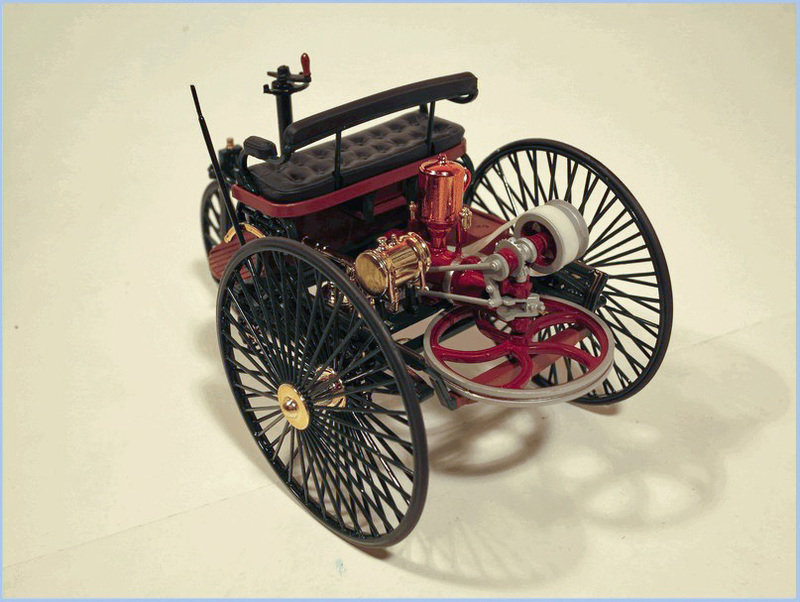 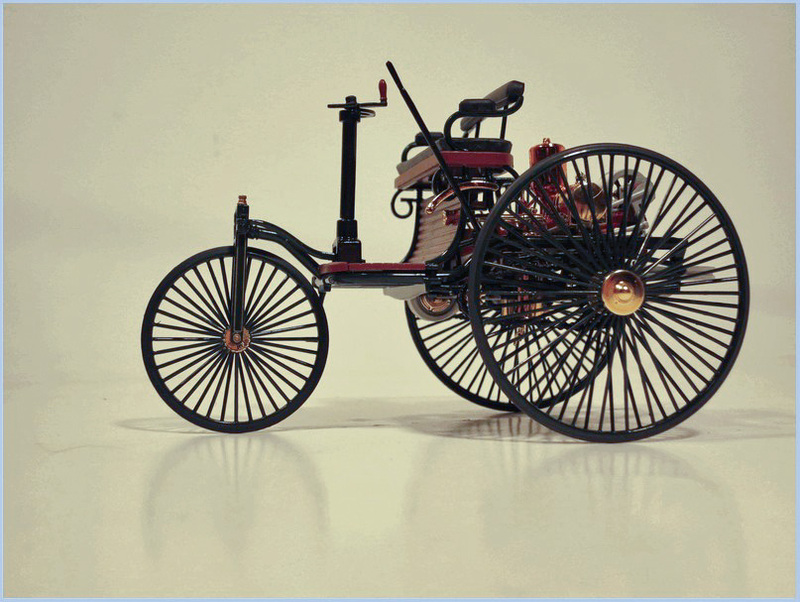 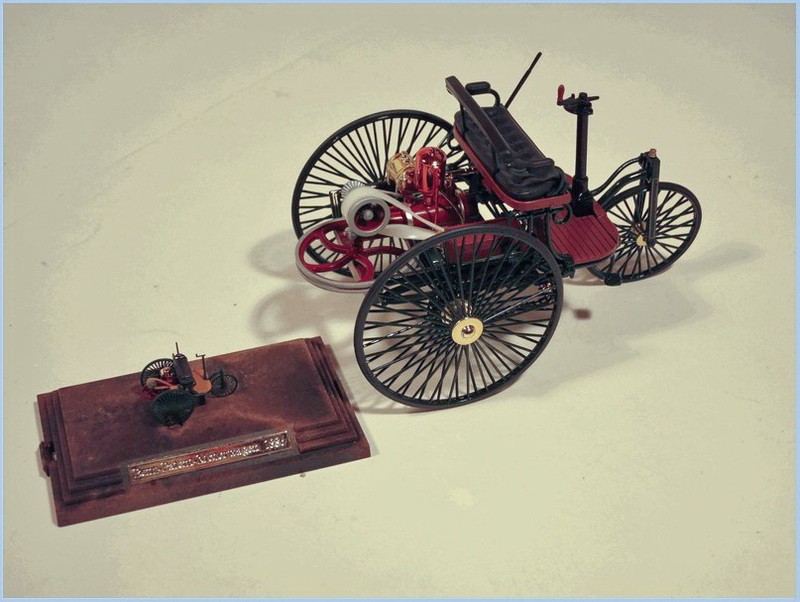 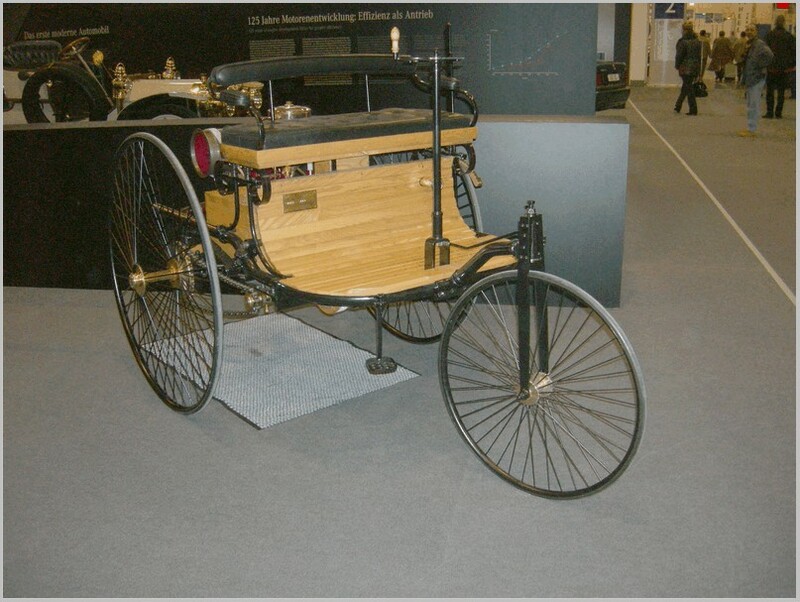 This makes the Dinkies from France of this period appealing as most are to this scale. 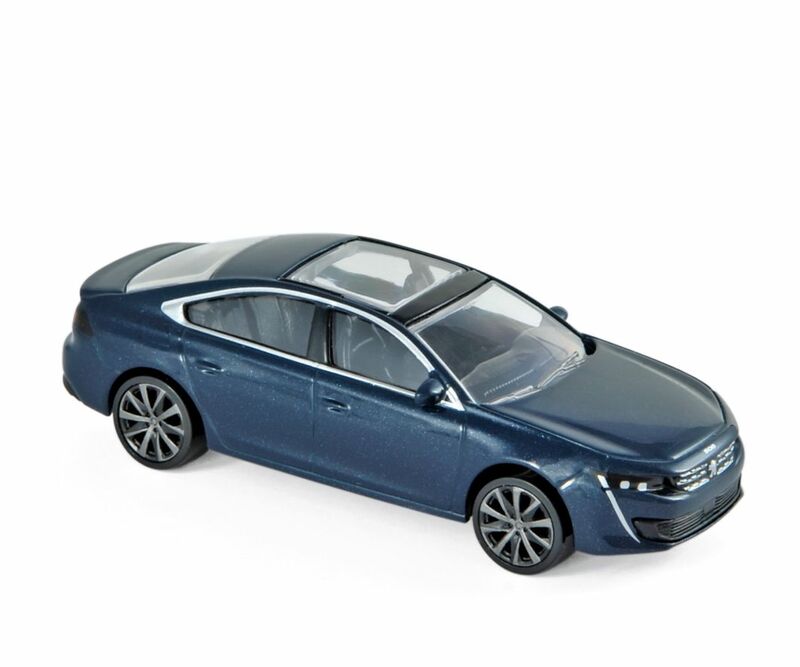 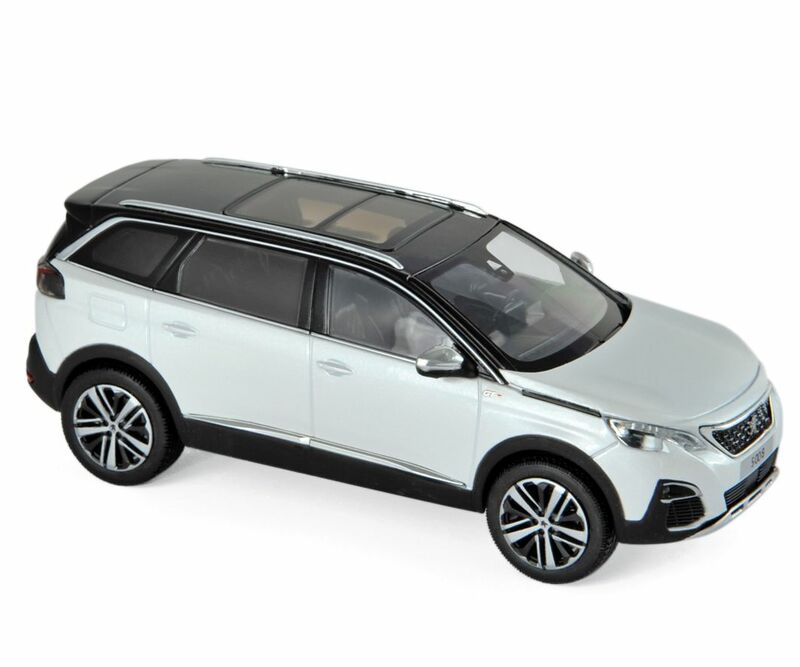 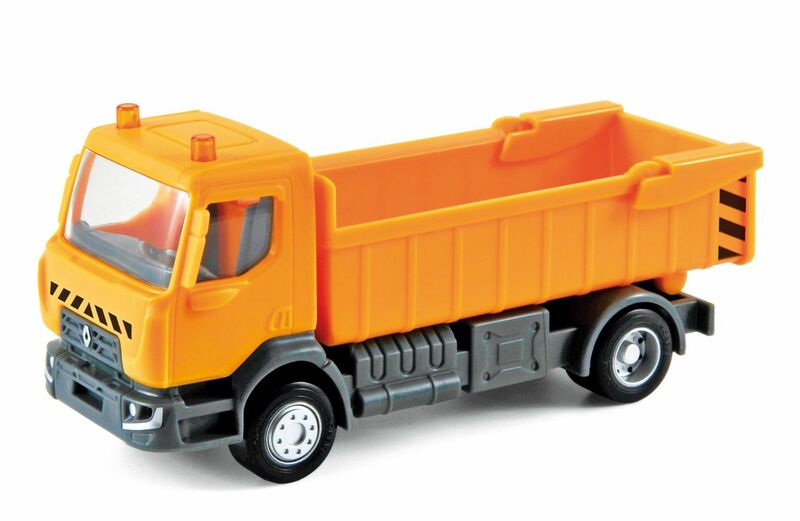 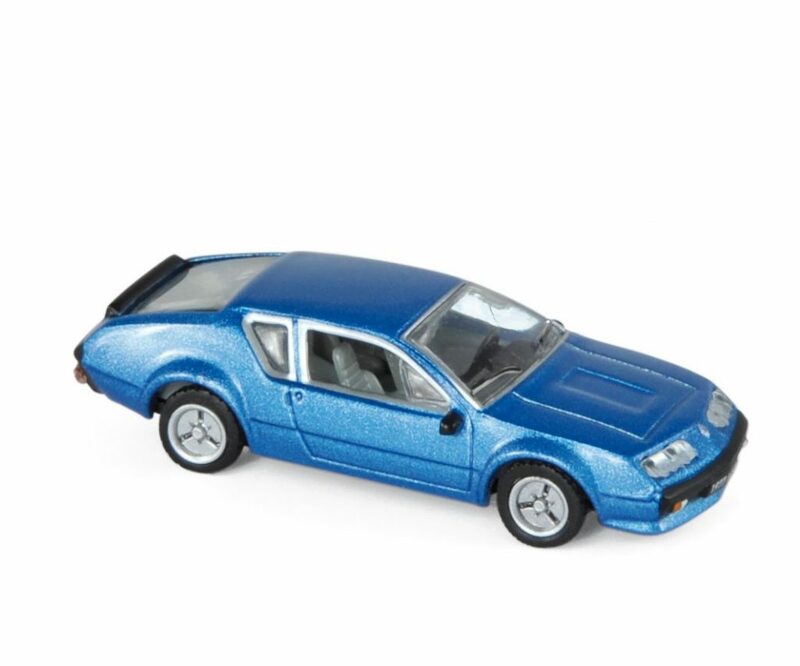 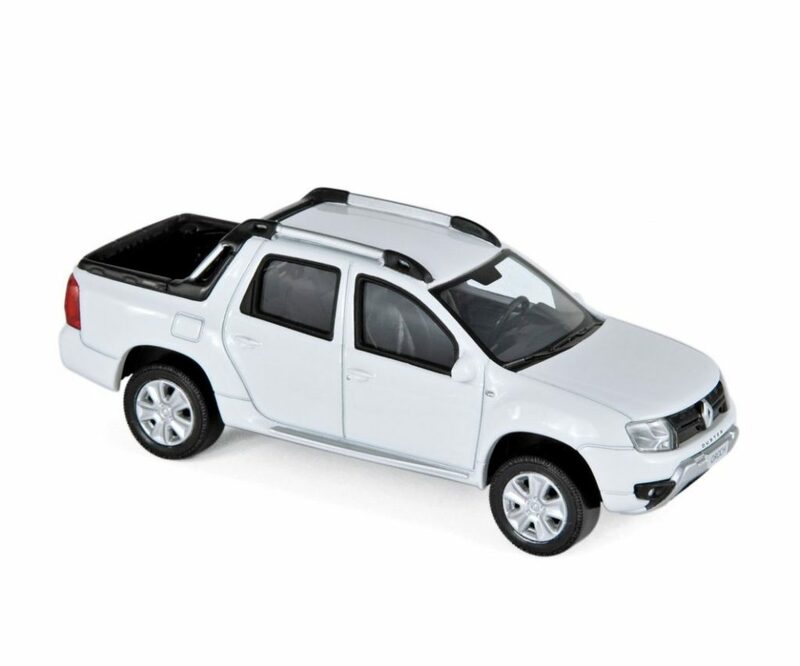 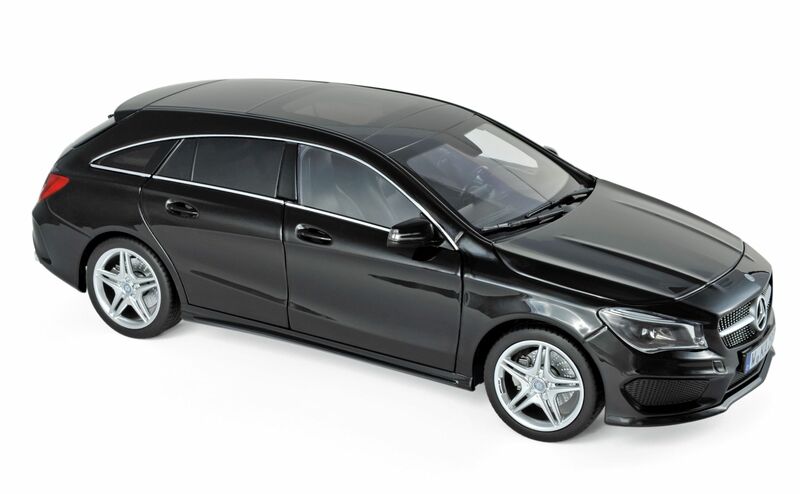 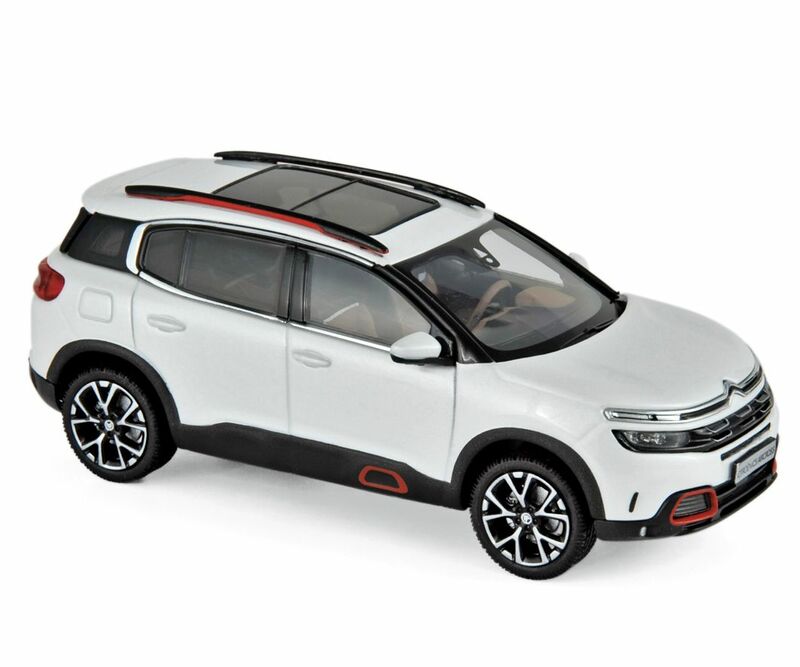 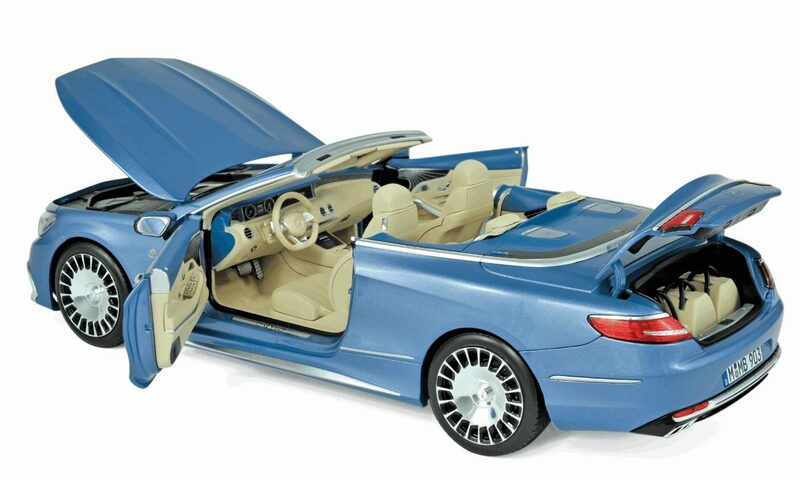 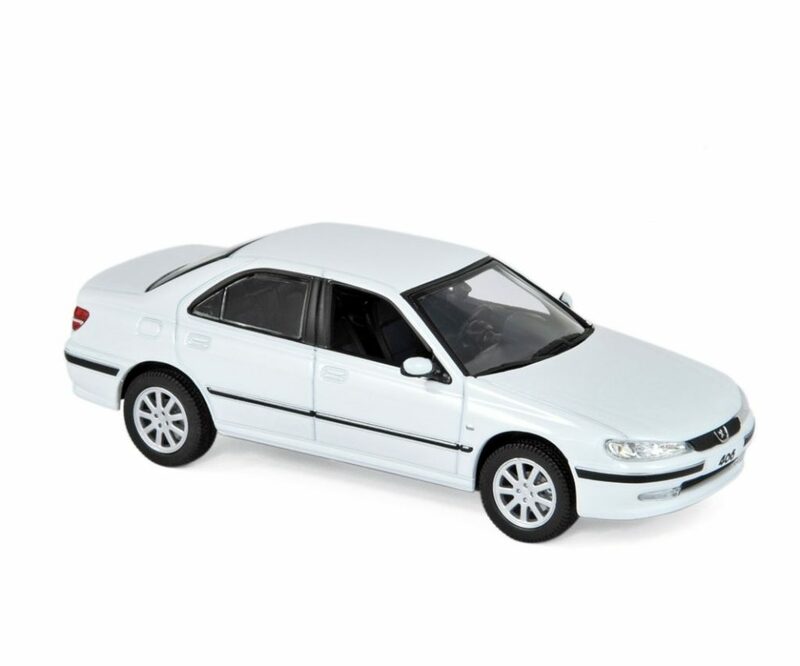 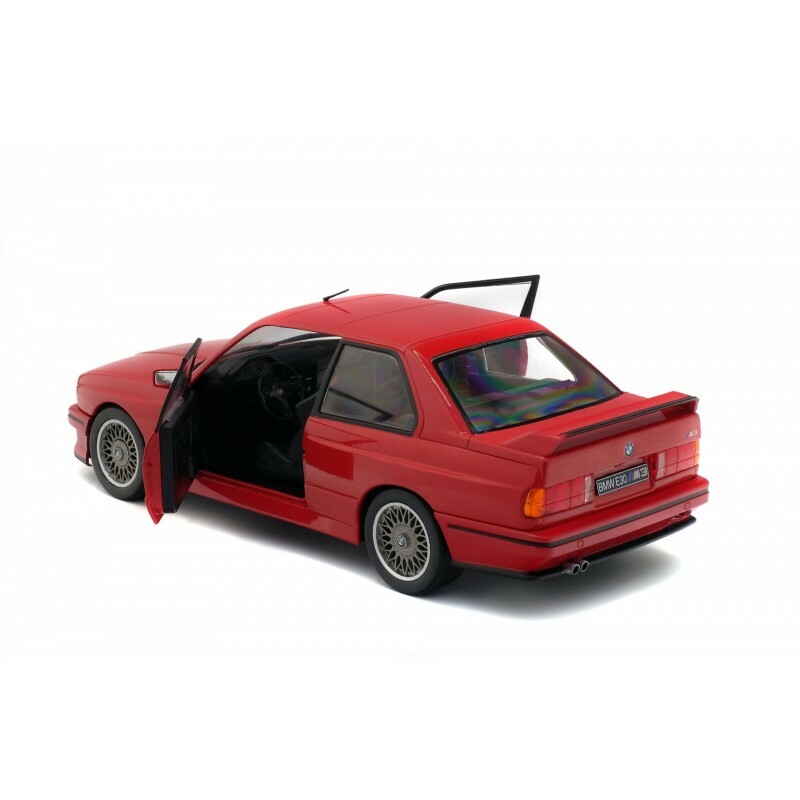 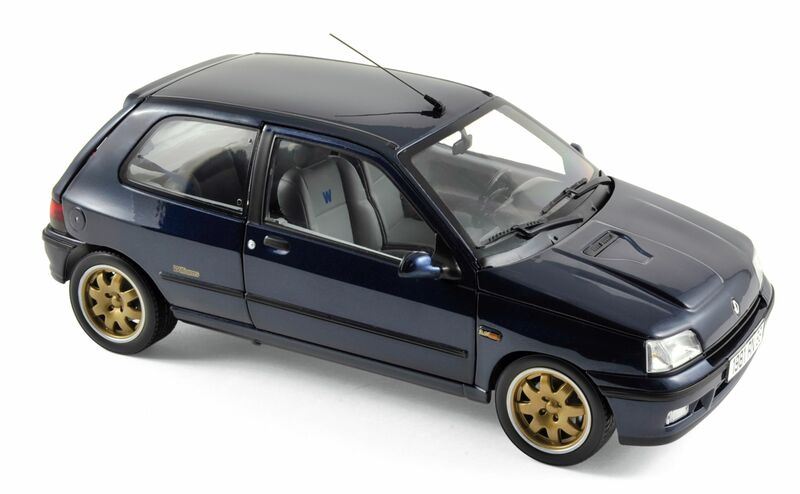 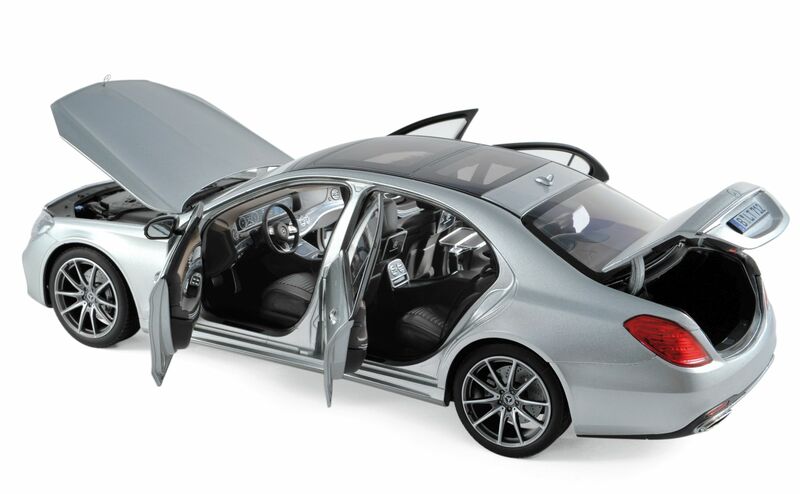 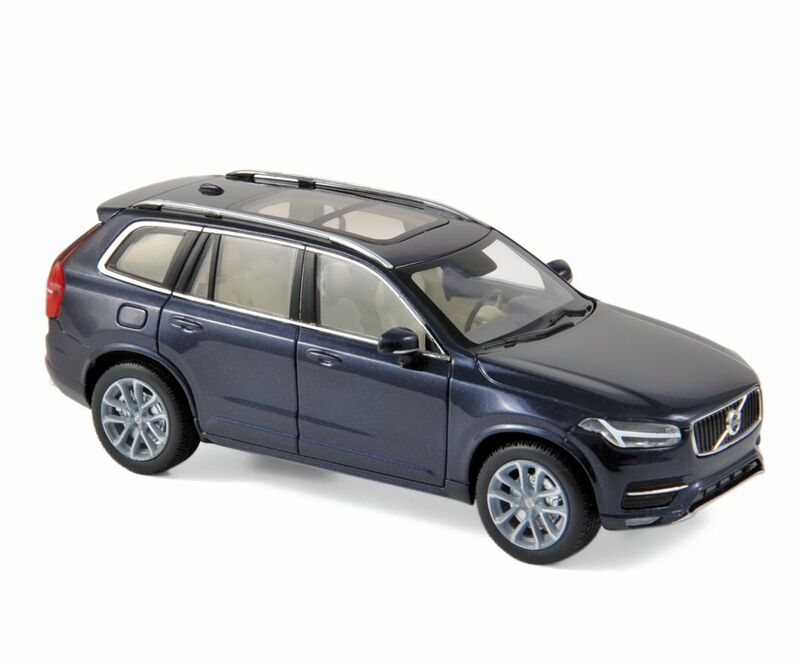 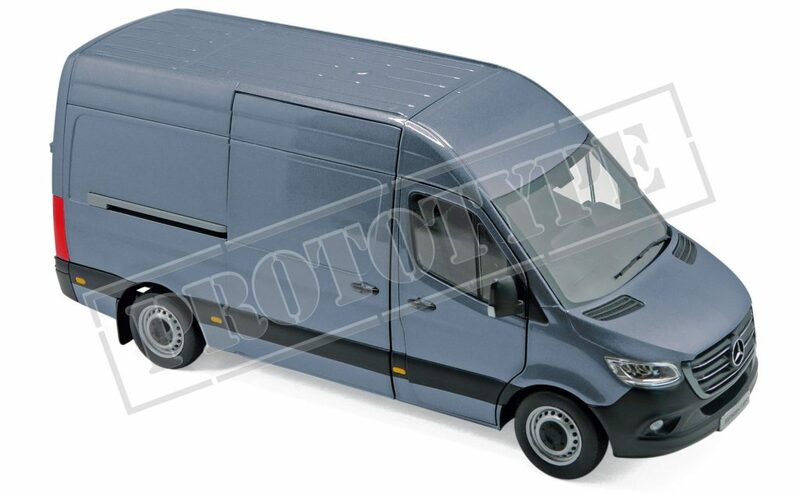 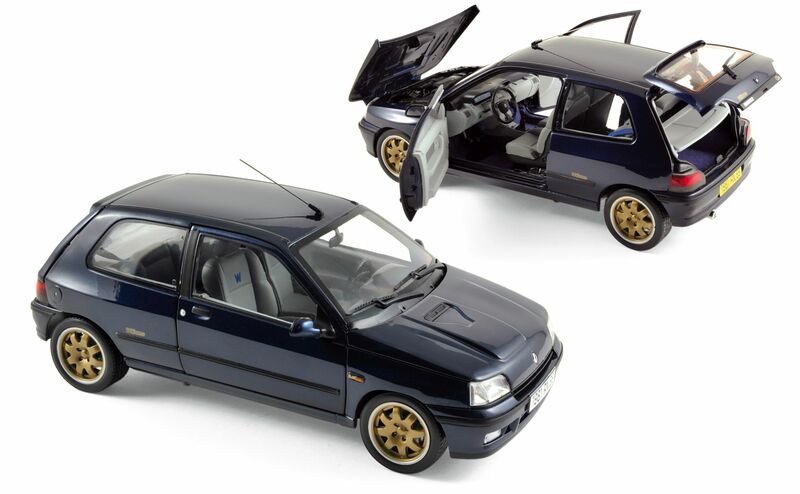 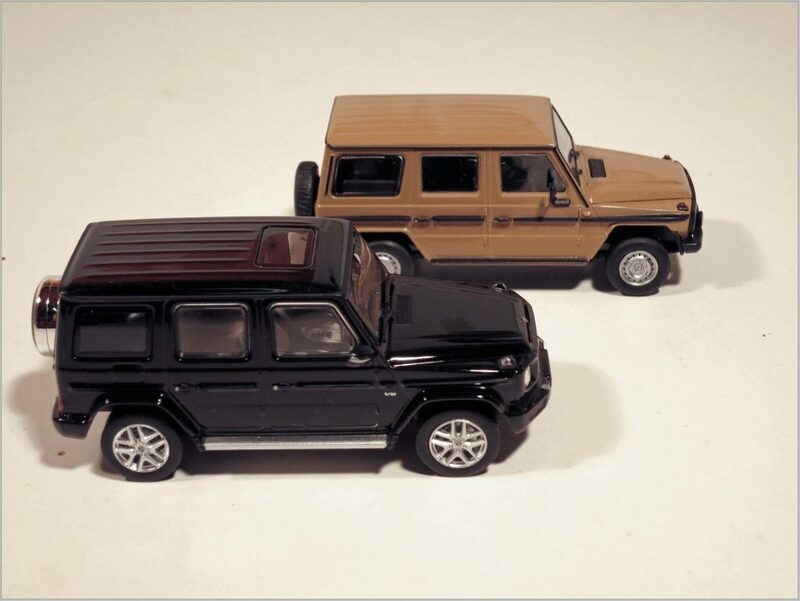 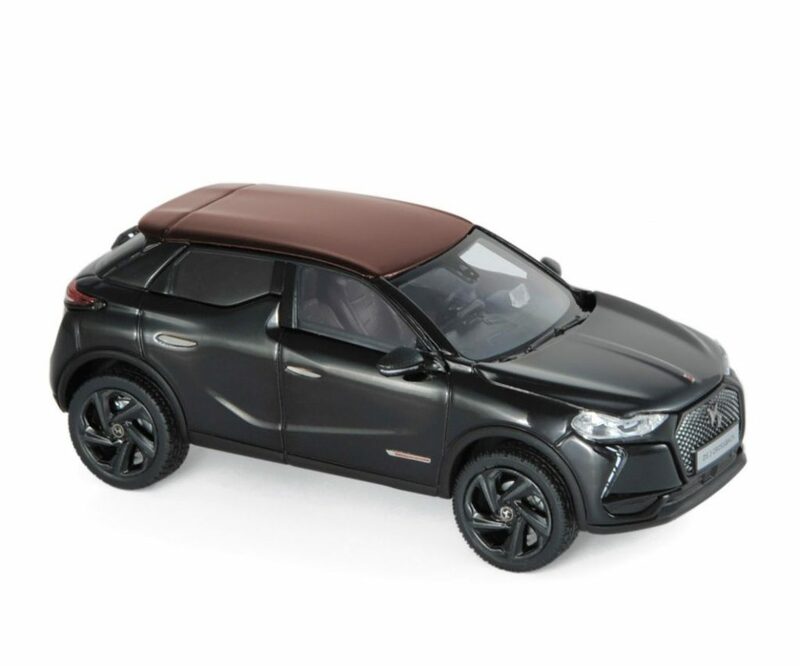 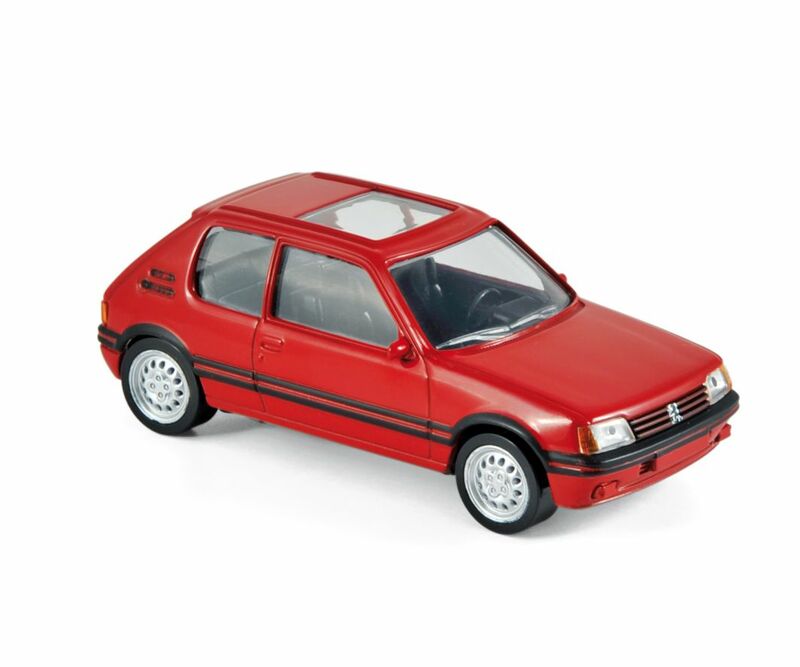 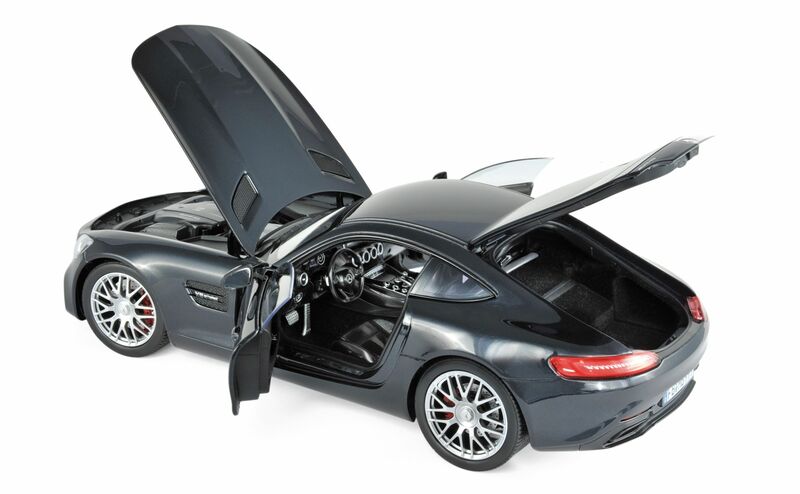 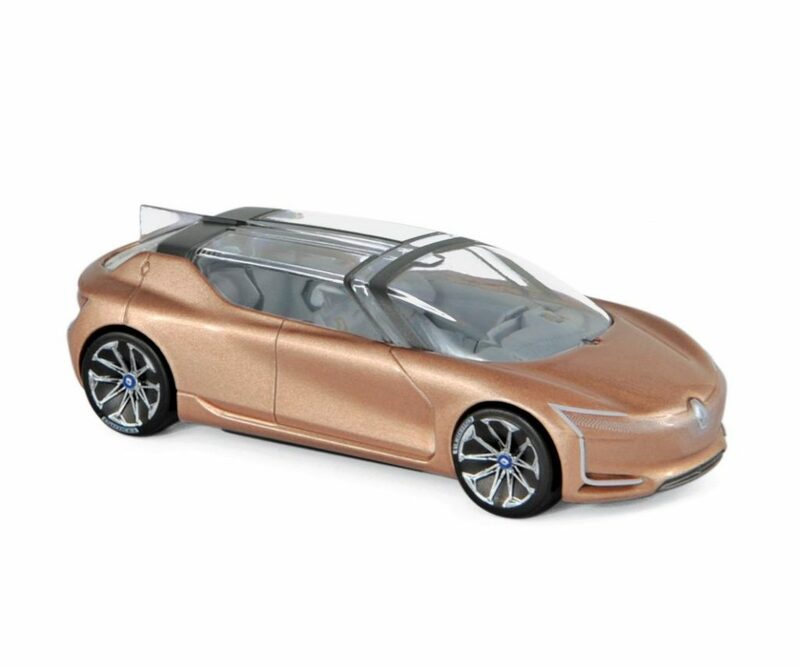 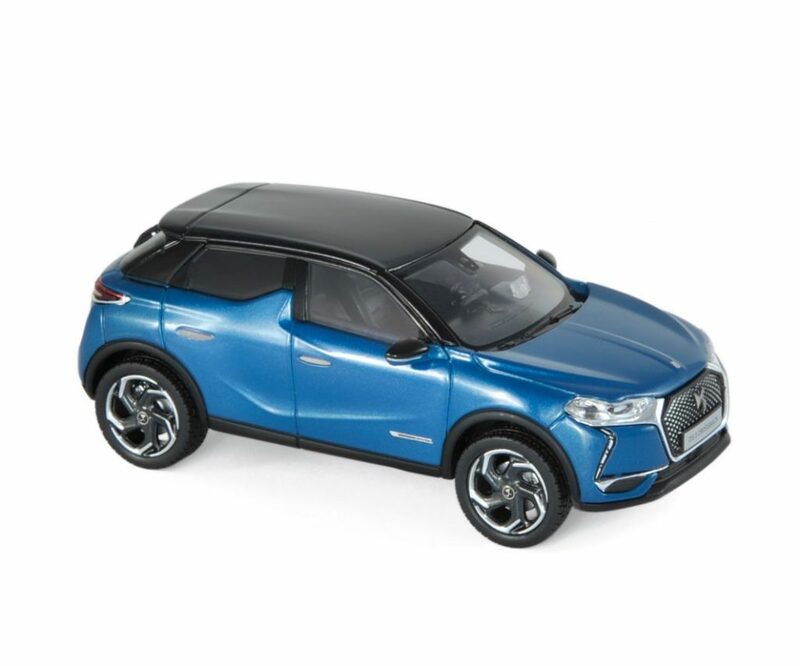 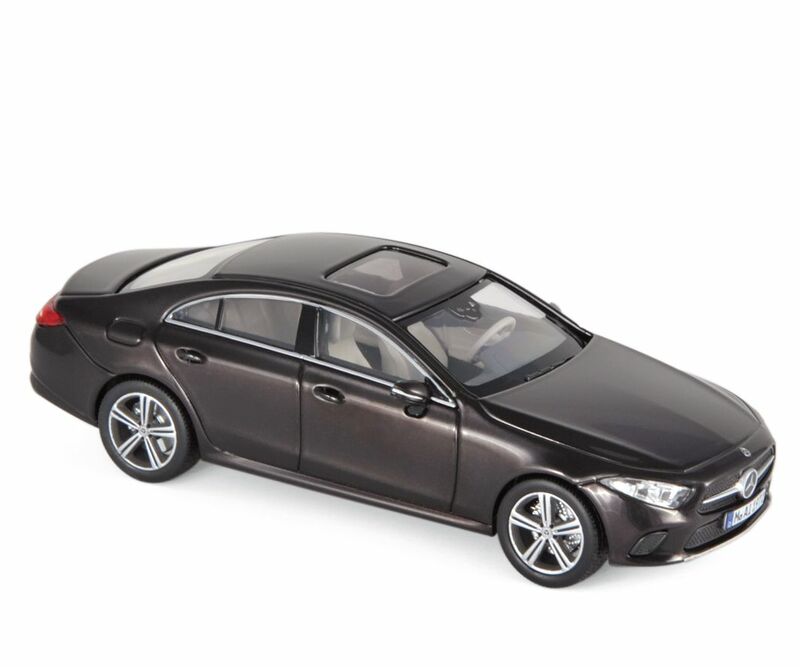 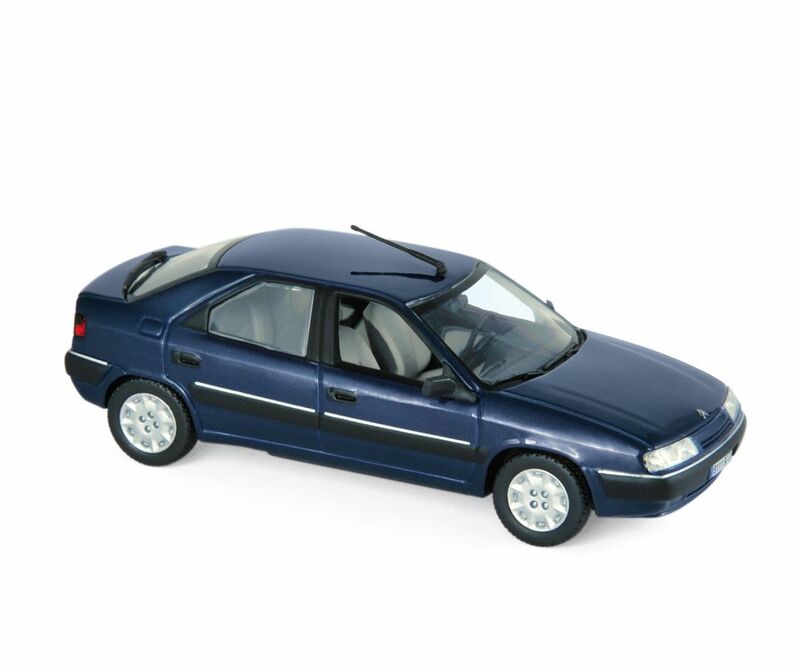 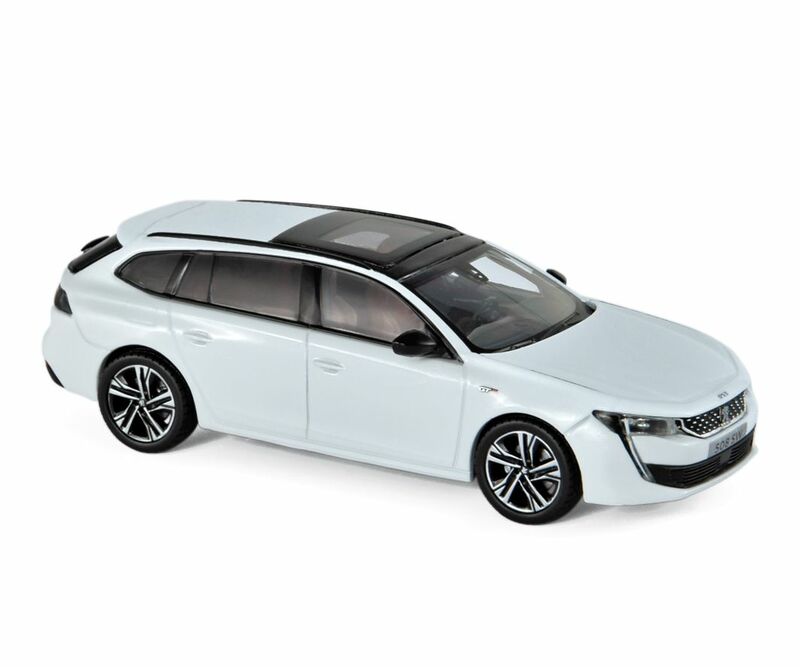 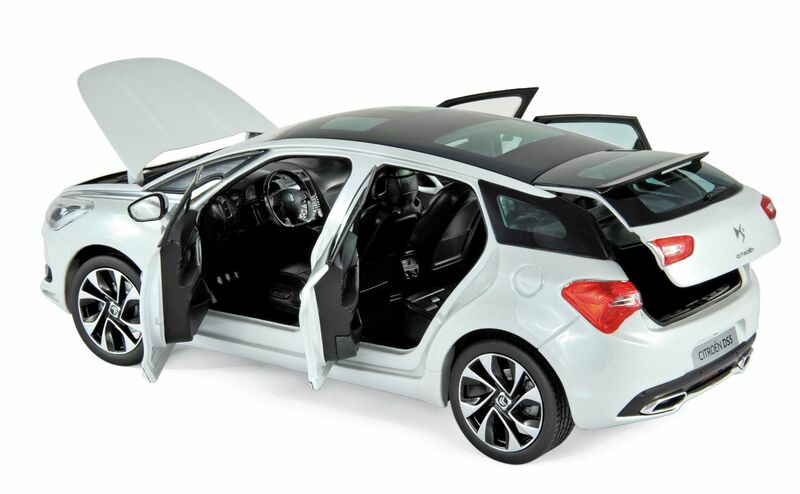 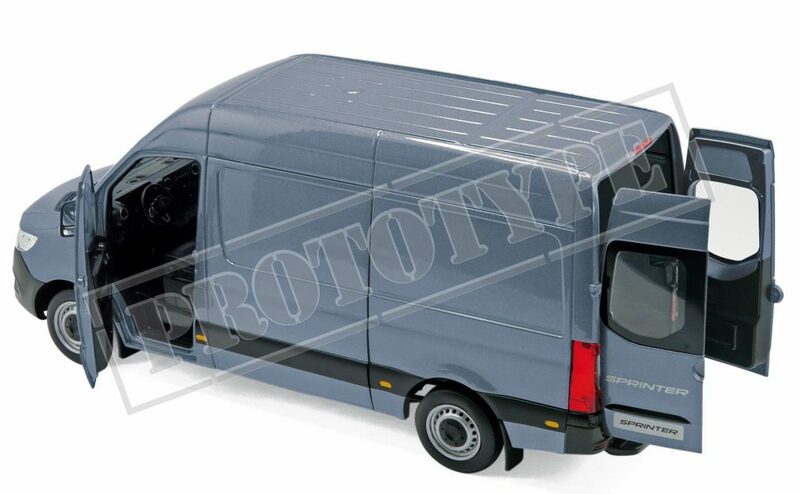 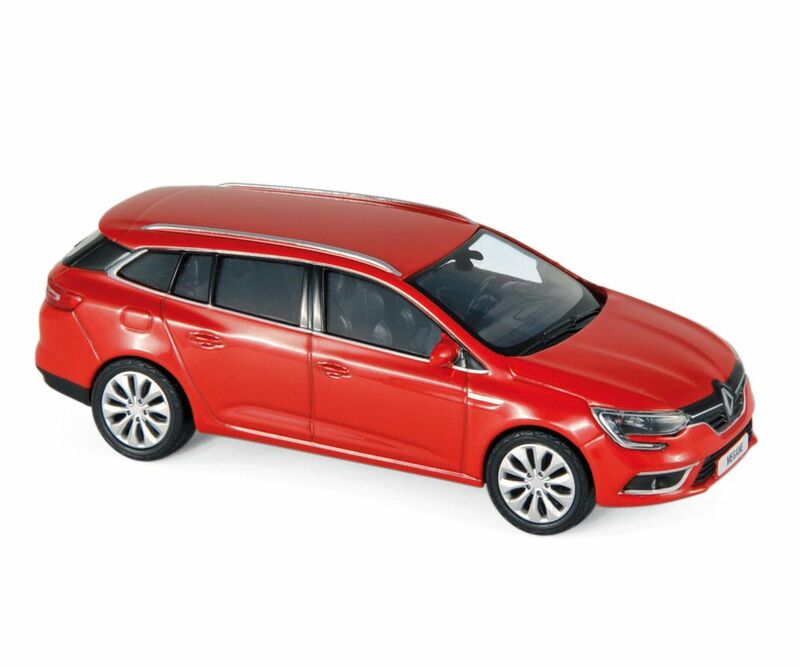 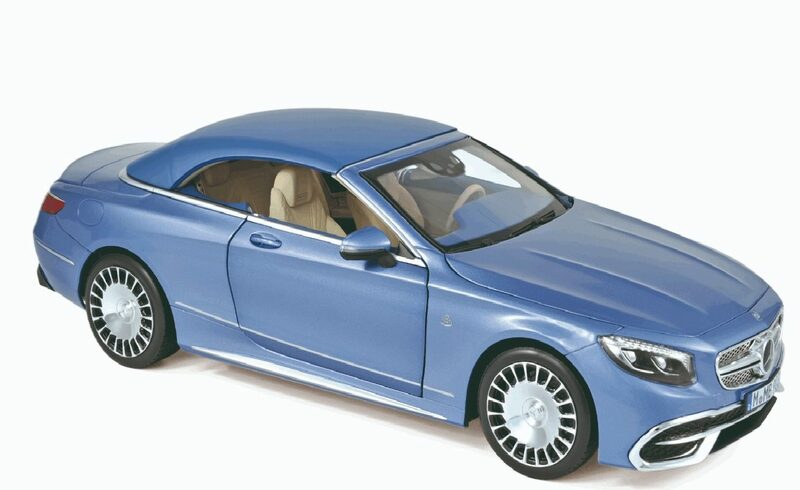 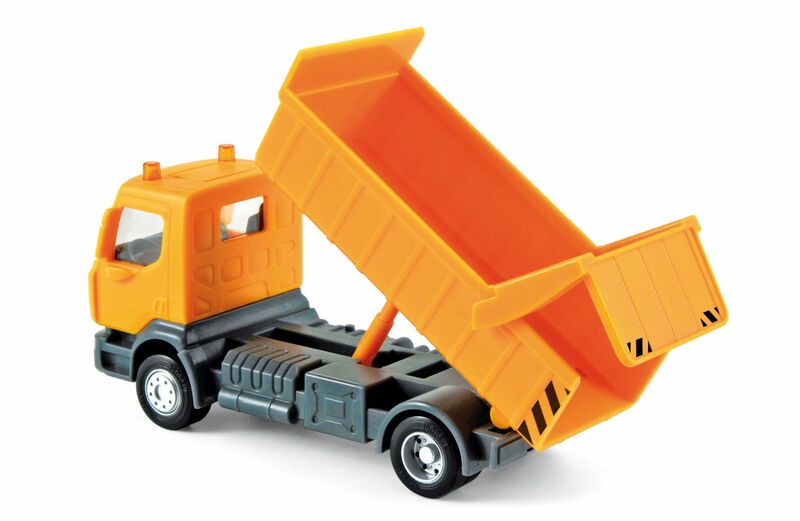 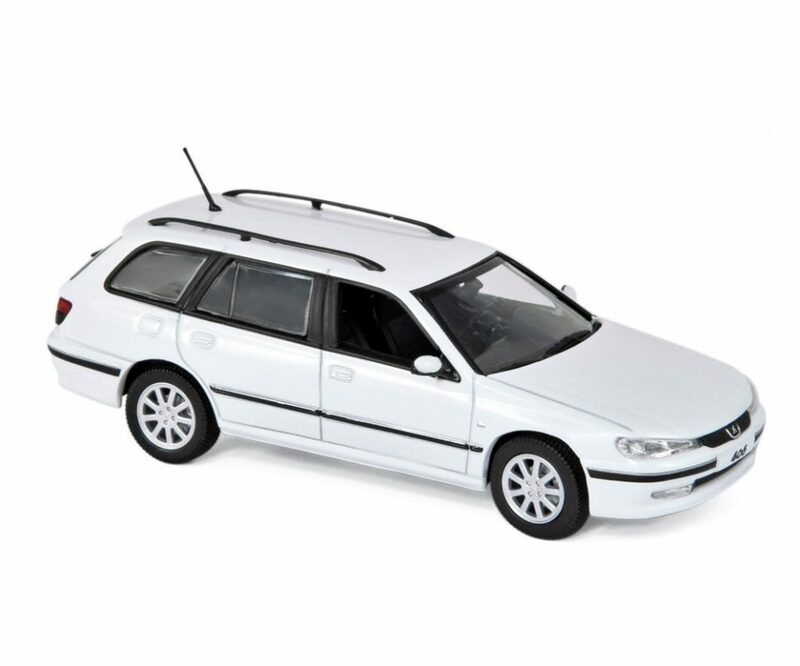 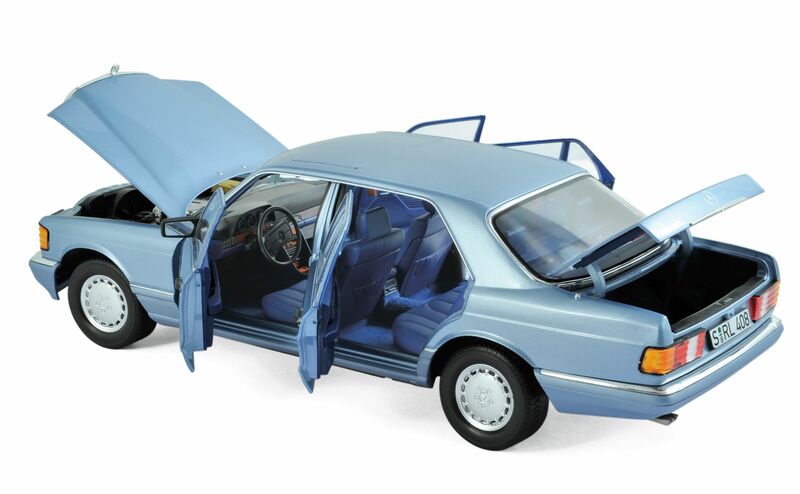 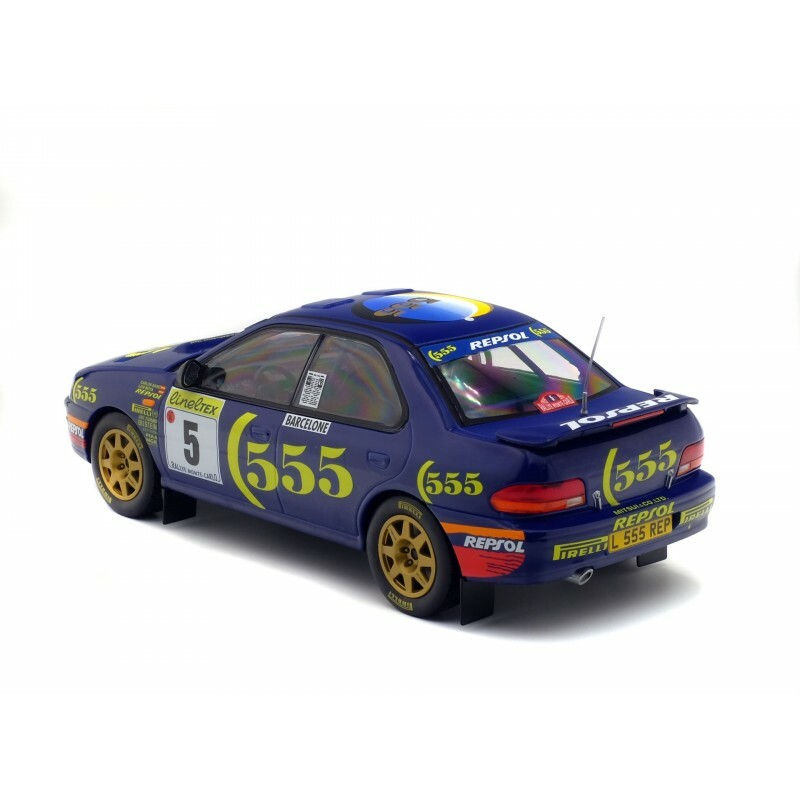 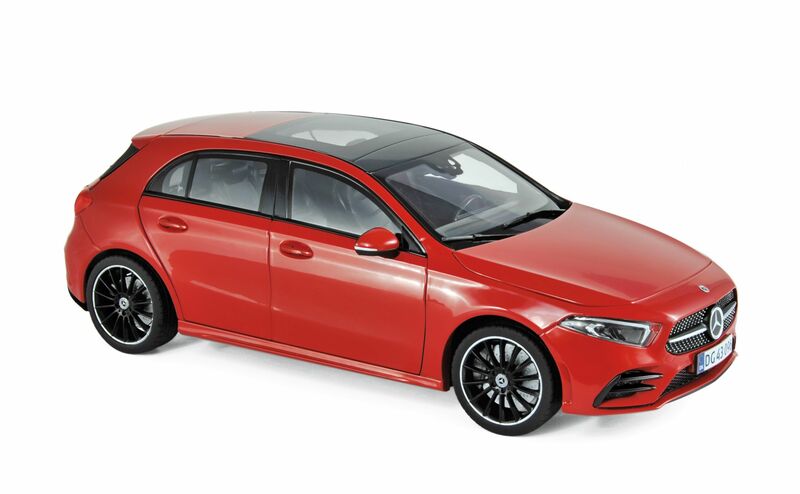 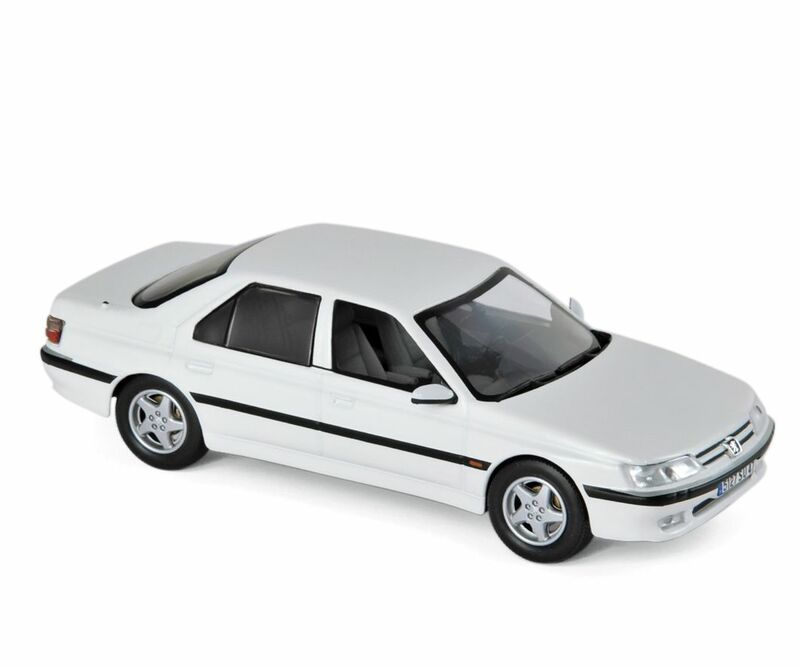 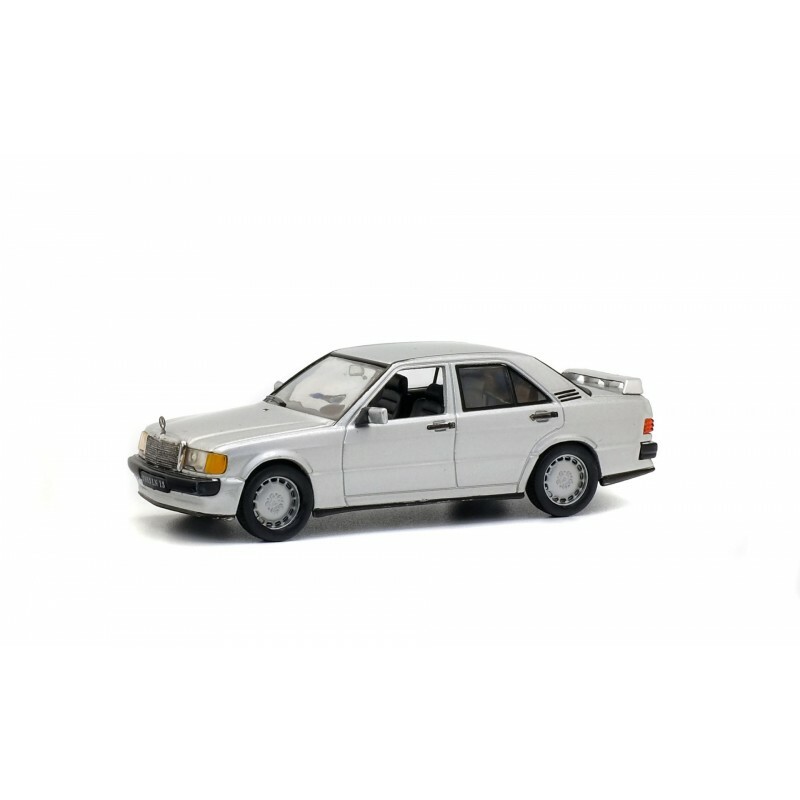 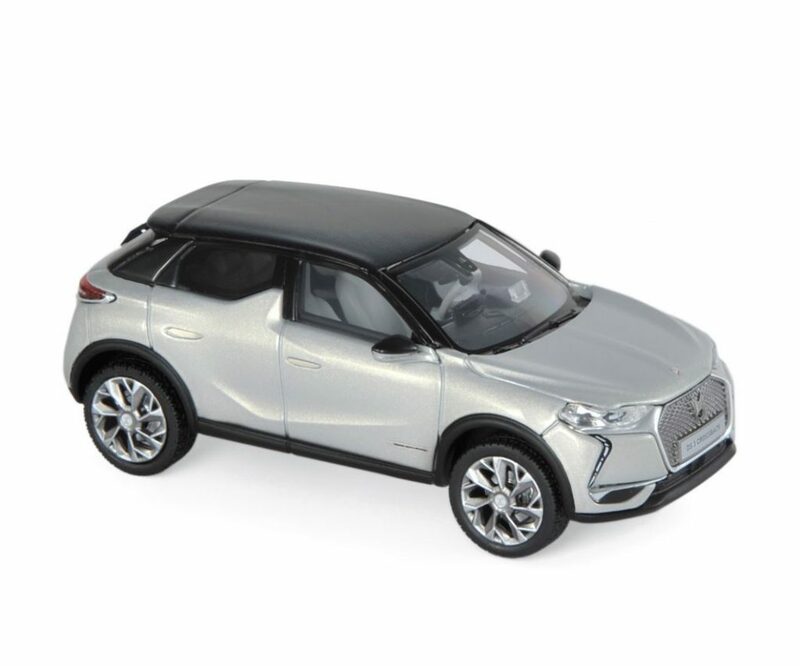 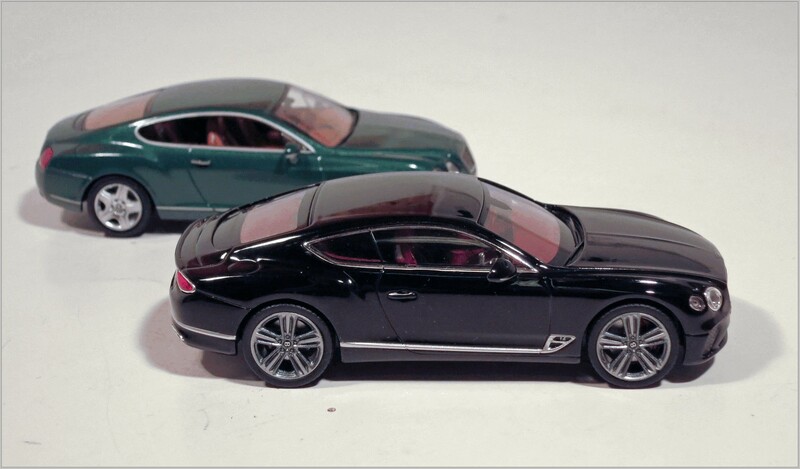 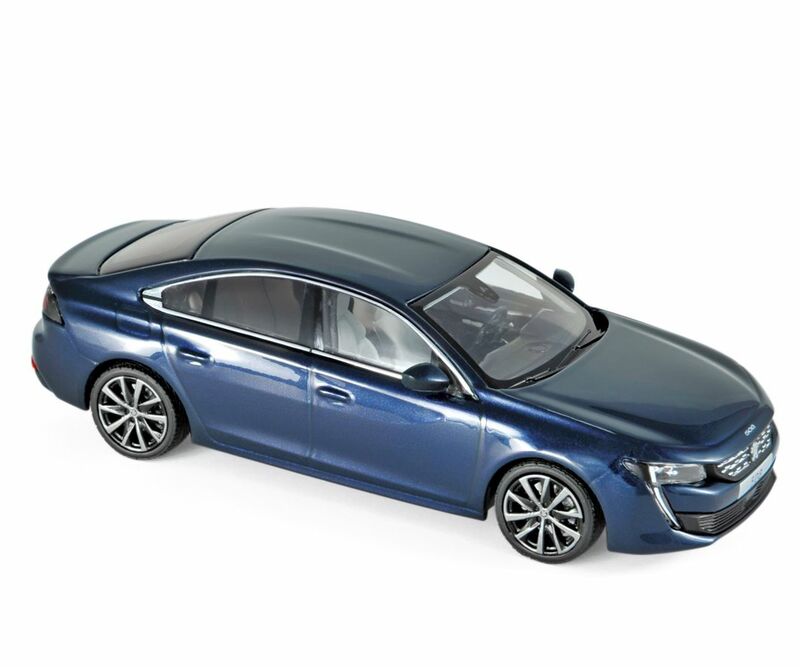 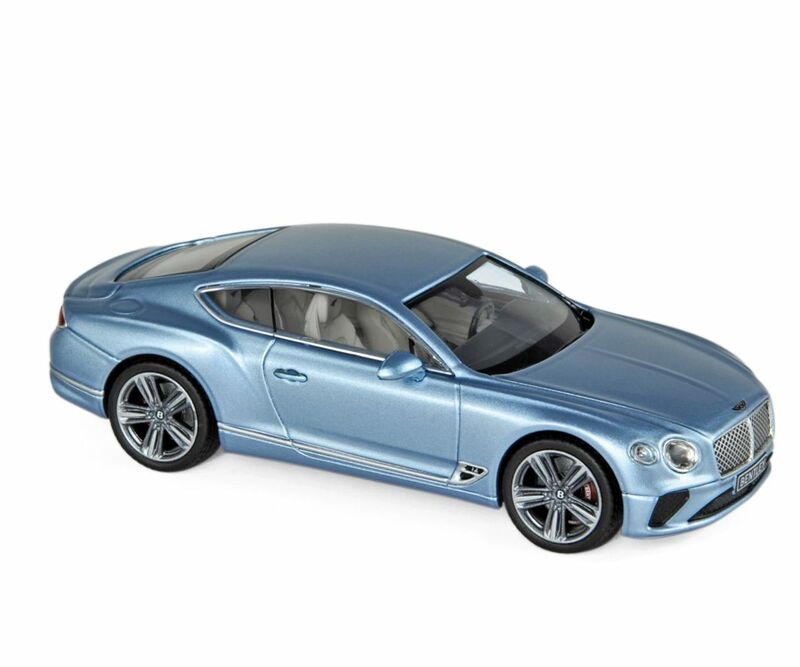 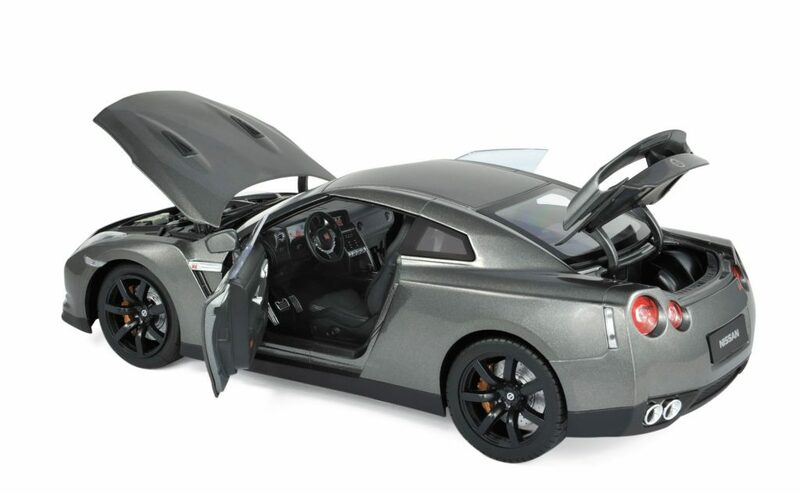 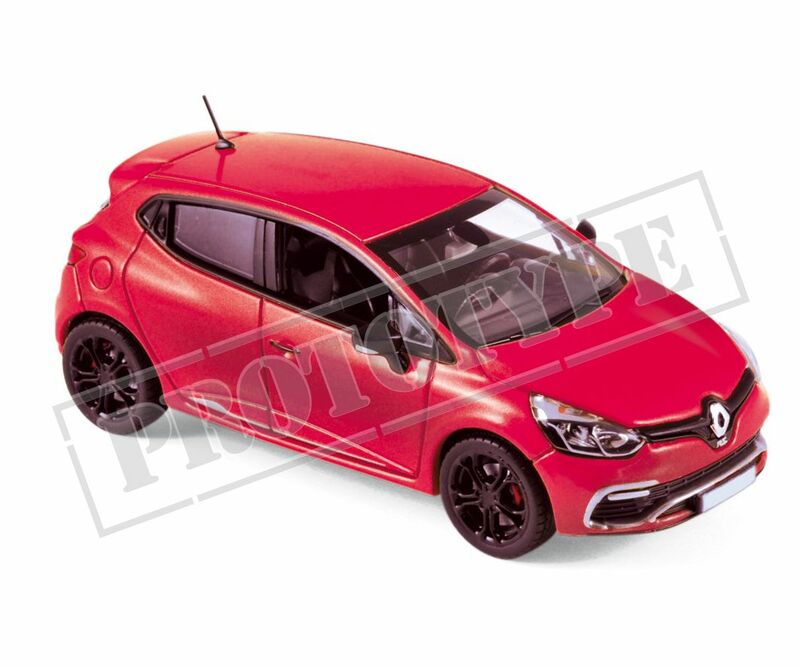 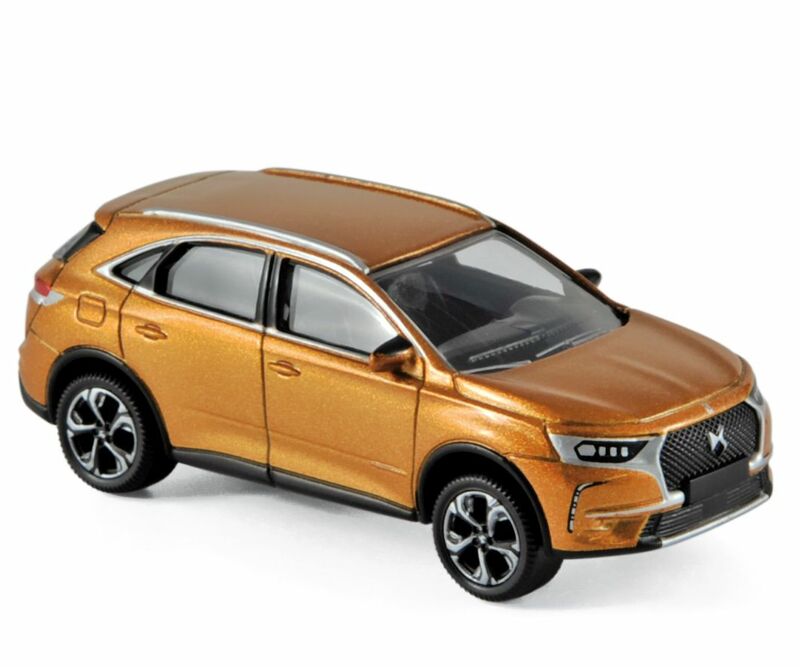 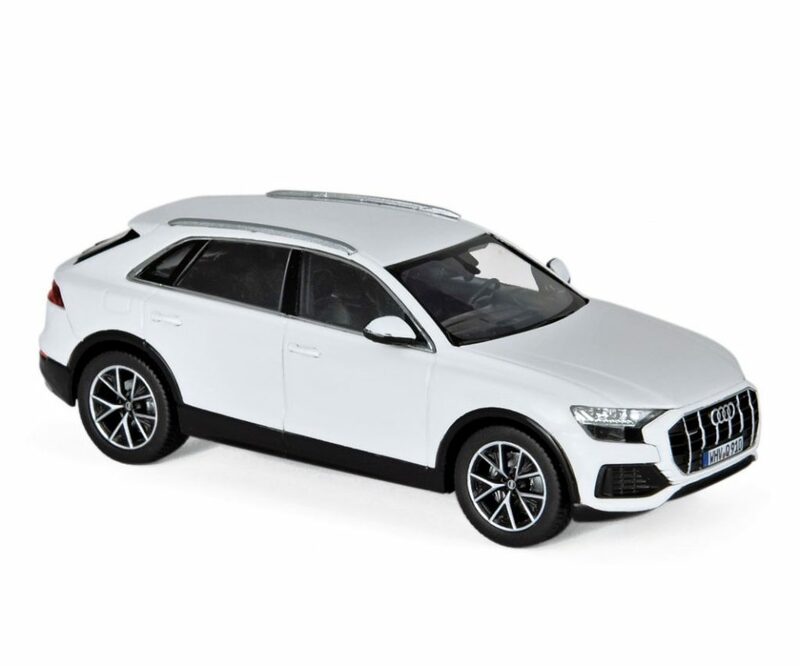 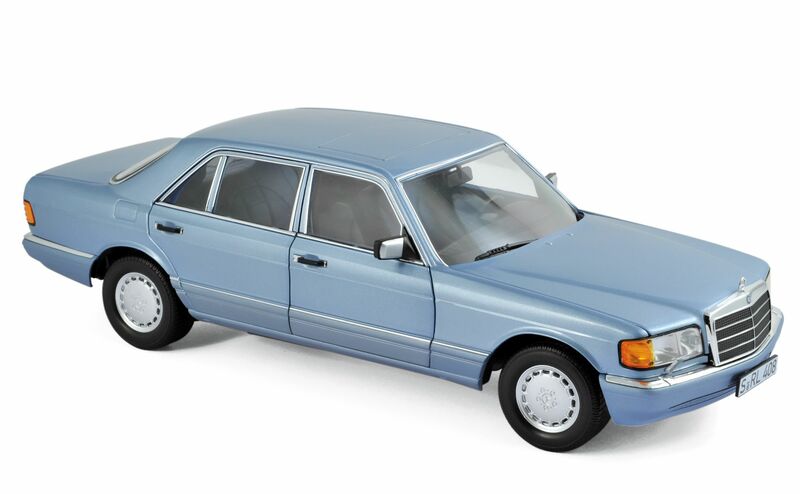 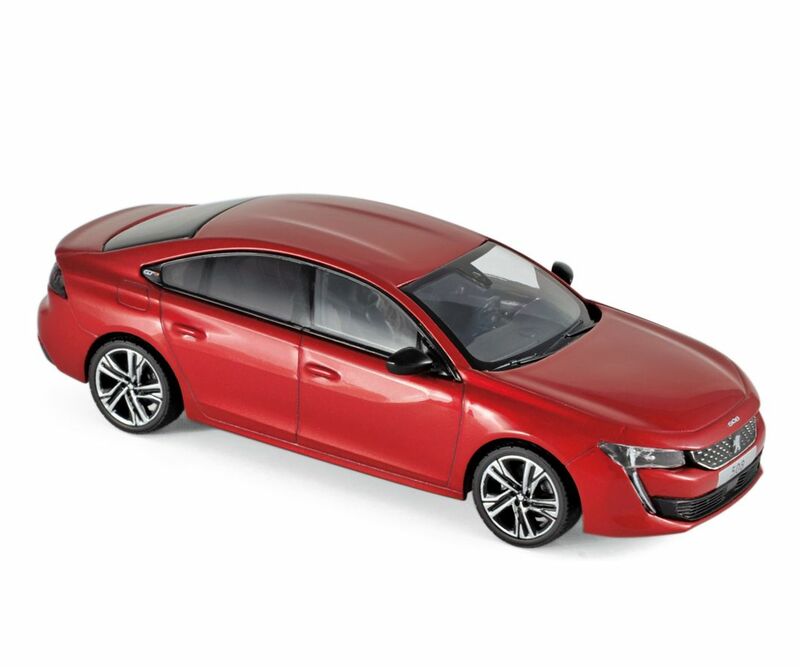 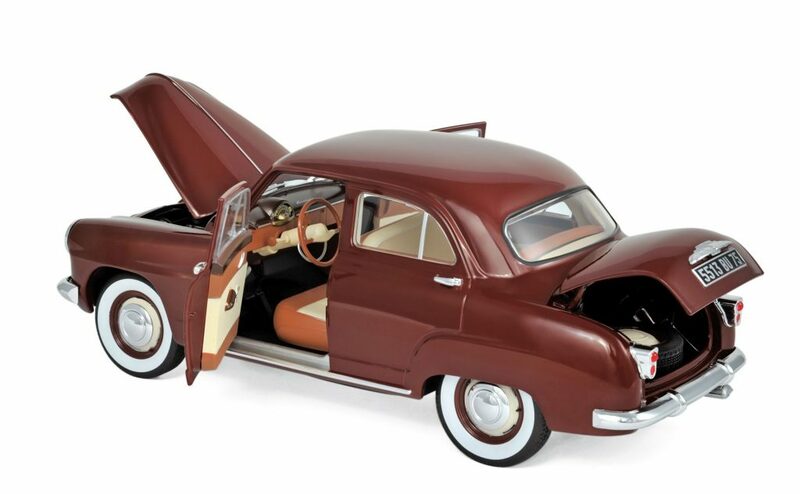 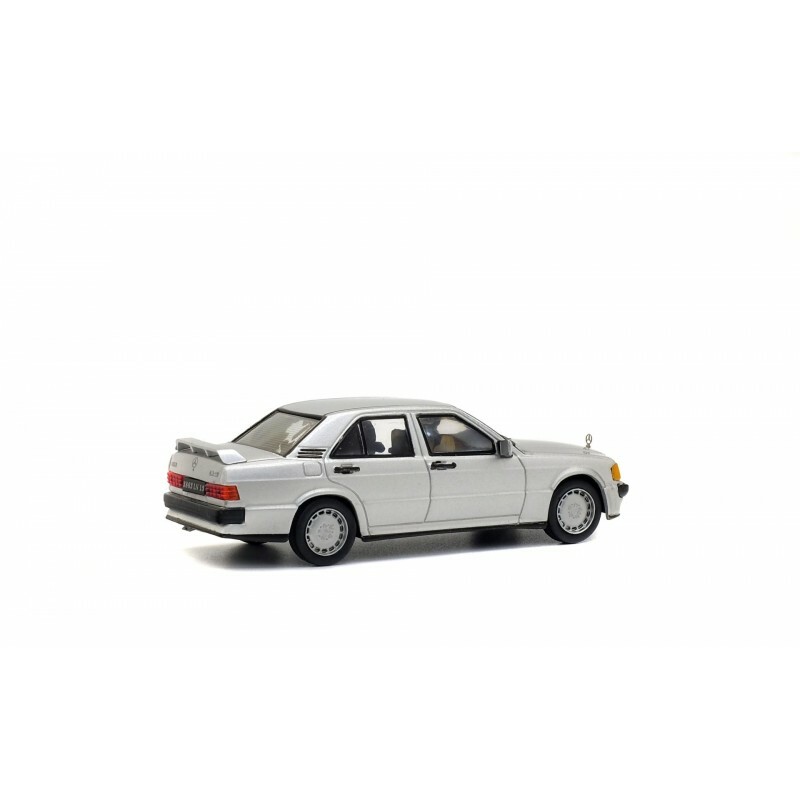 The opening parts that make this a Deluxe Dinky are the bonnet and hatchback. 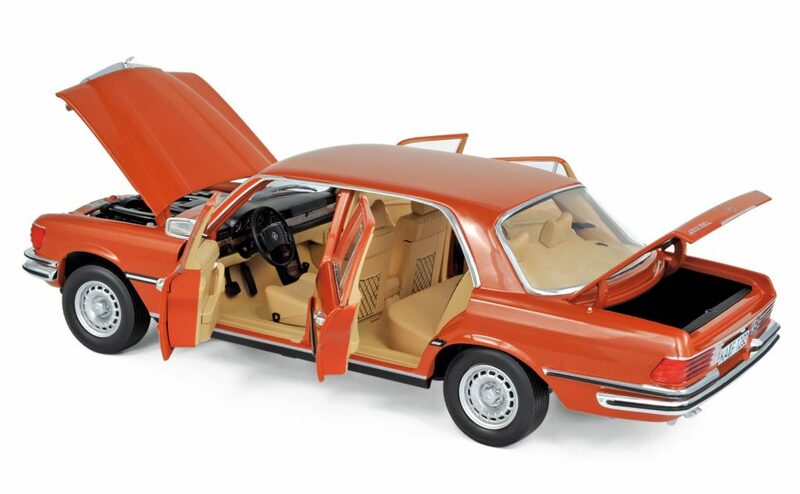 The hatch opens to show a neatly moulded tan coloured interior with a gear lever moulded in even if the dashboard is bare of all features. 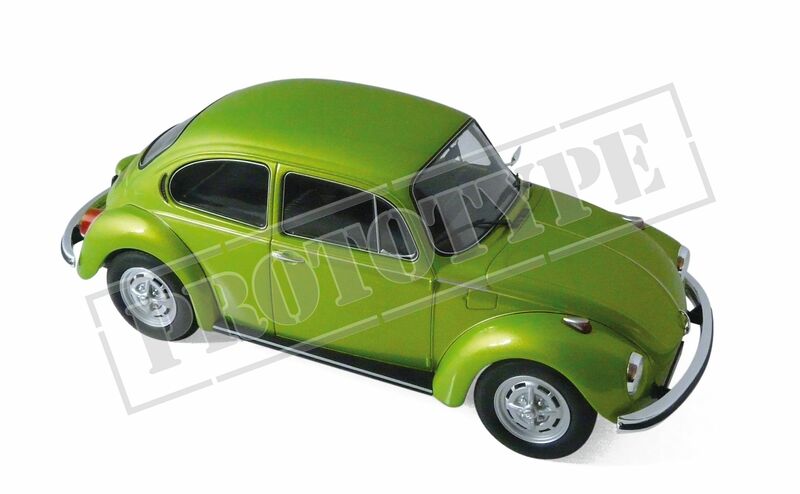 One curiosity is that the engine compartment is painted green. 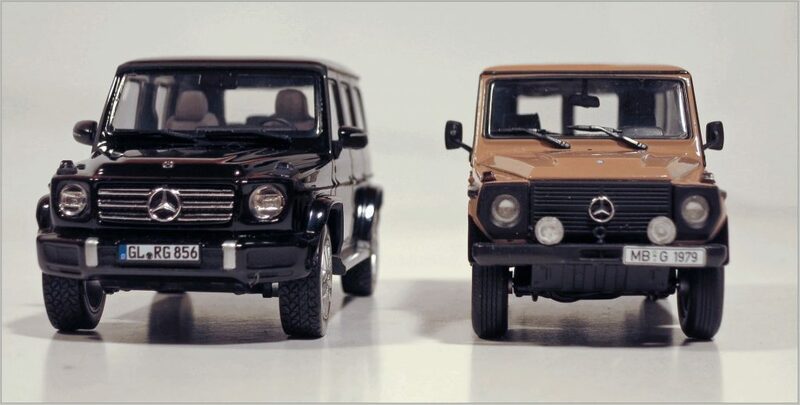 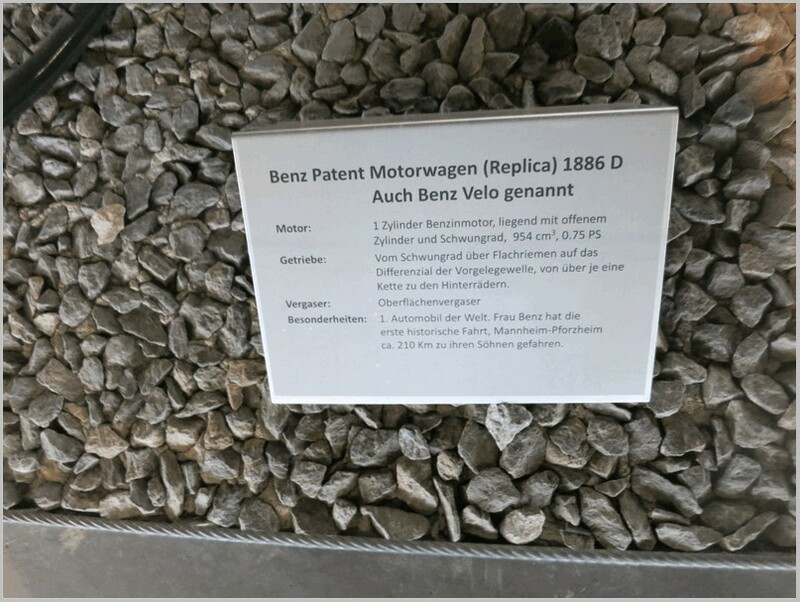 One doubts if the real cars were. 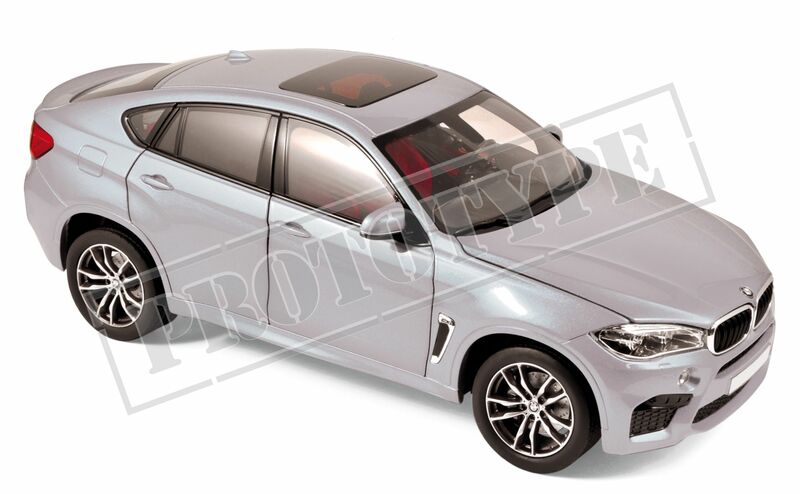 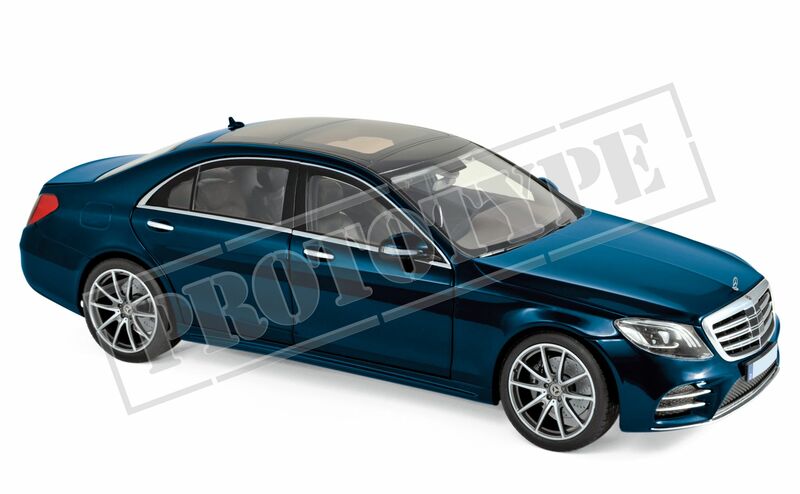 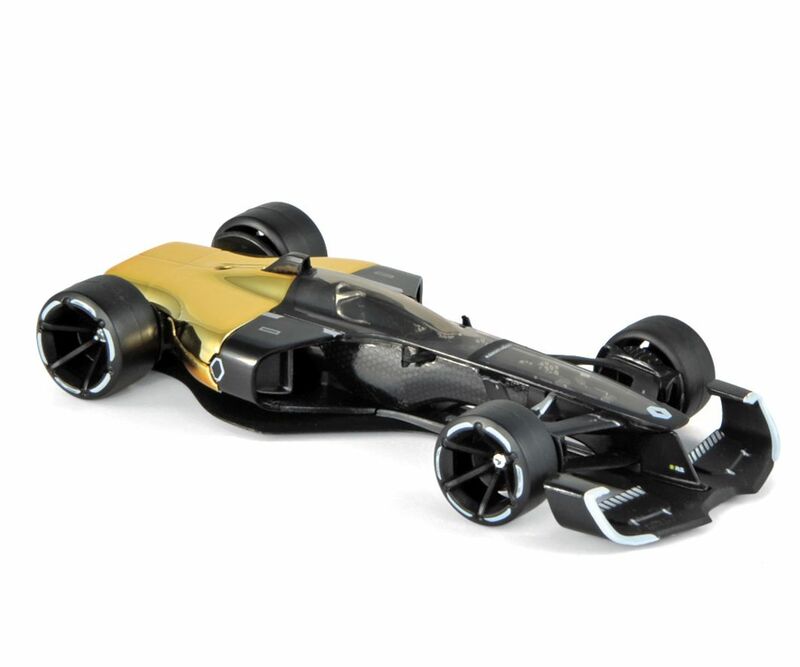 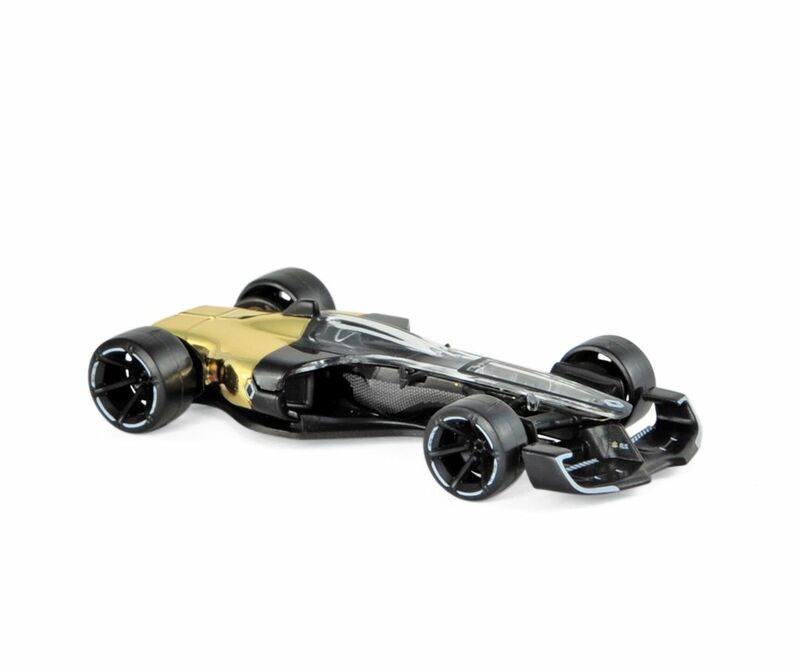 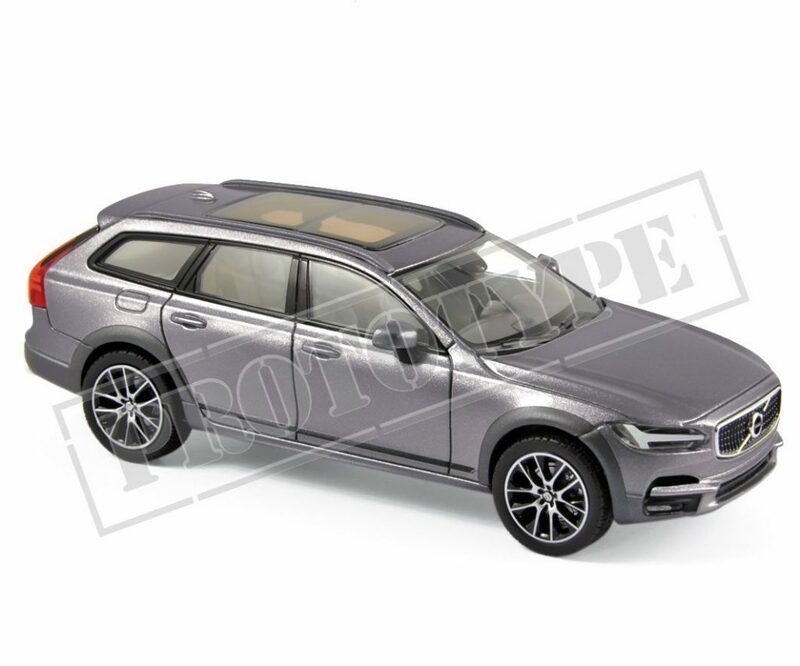 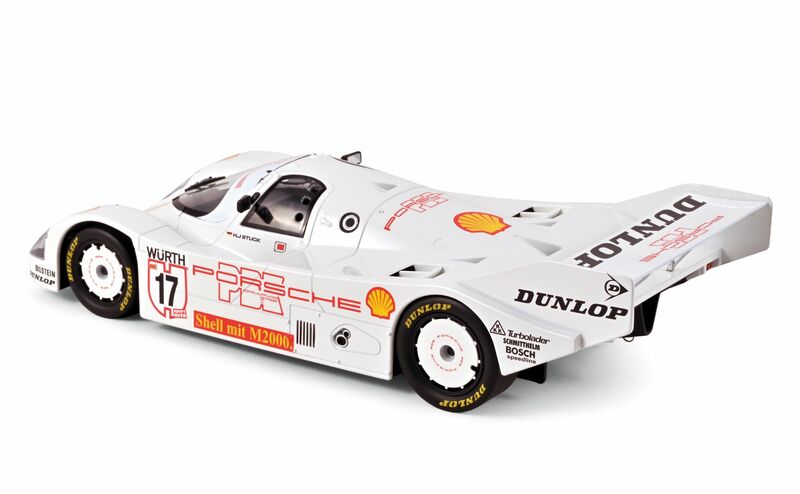 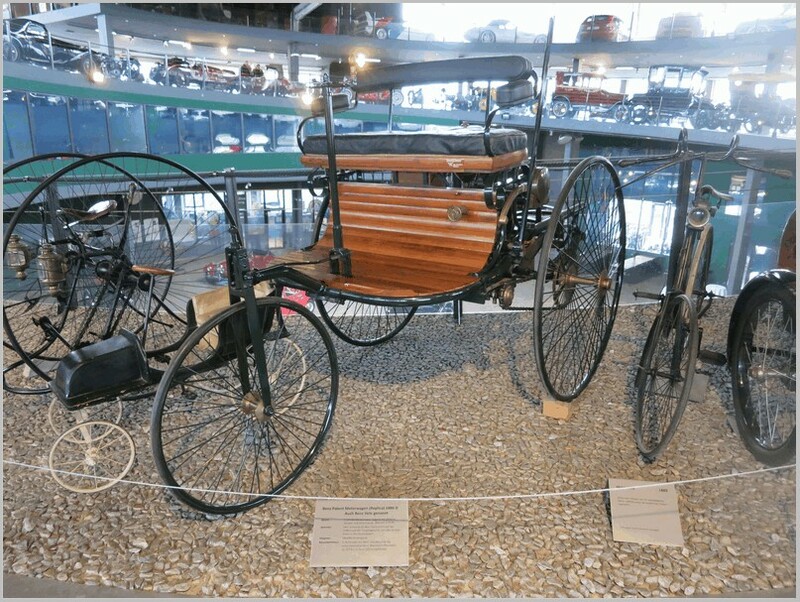 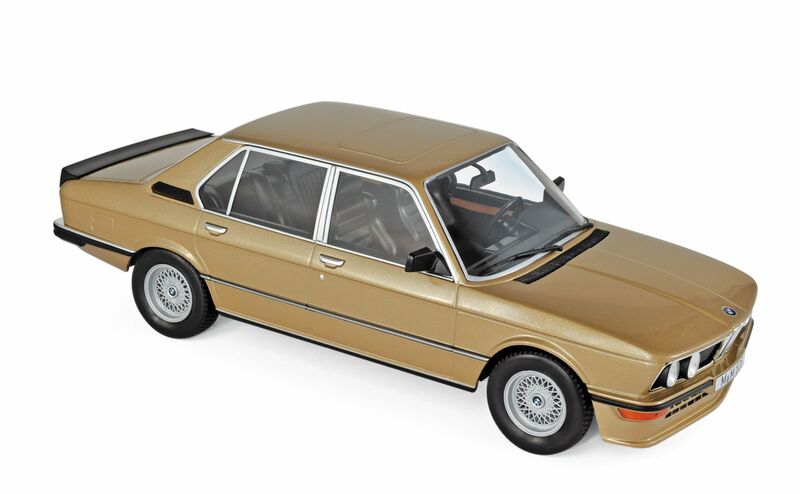 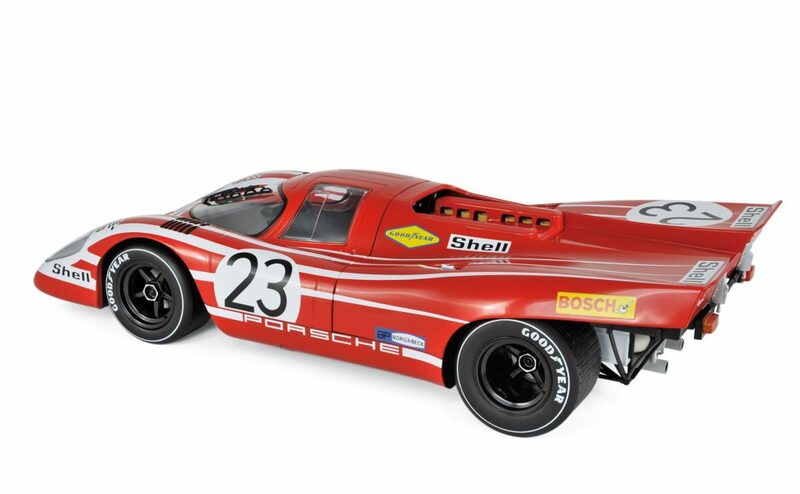 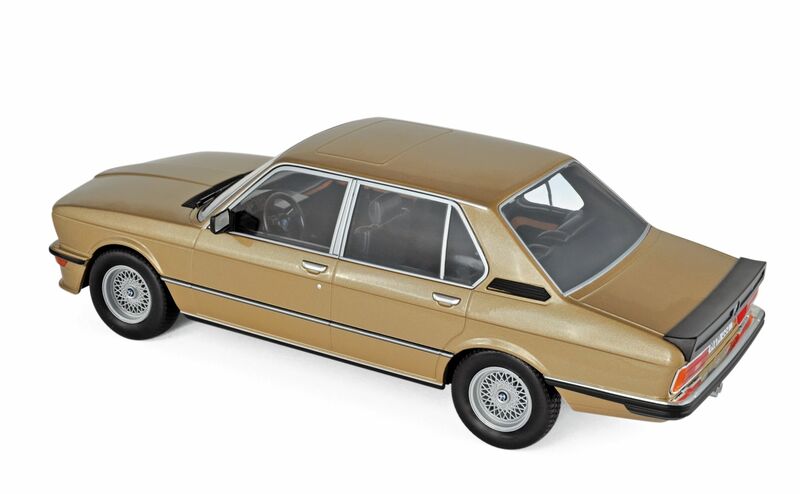 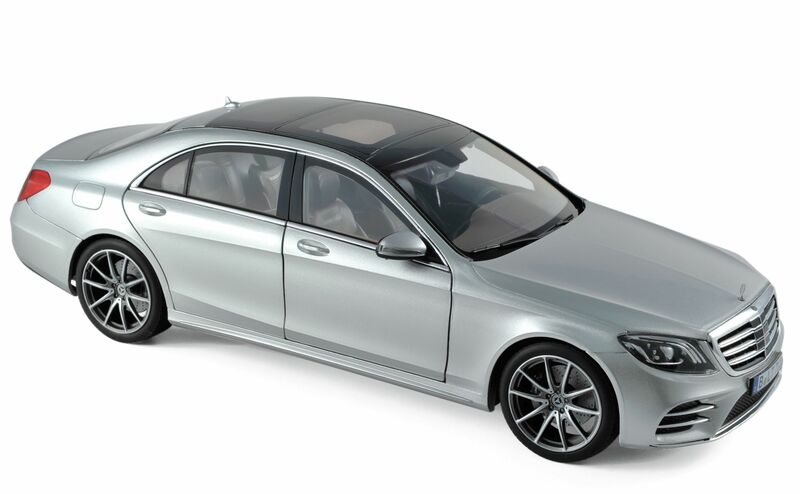 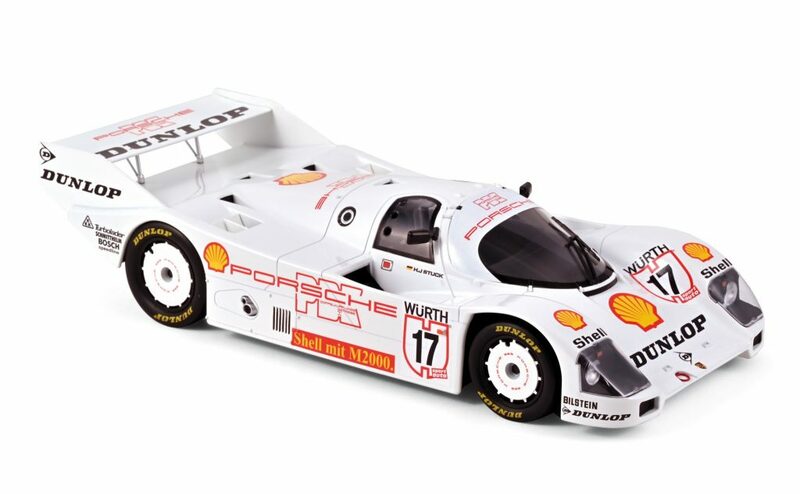 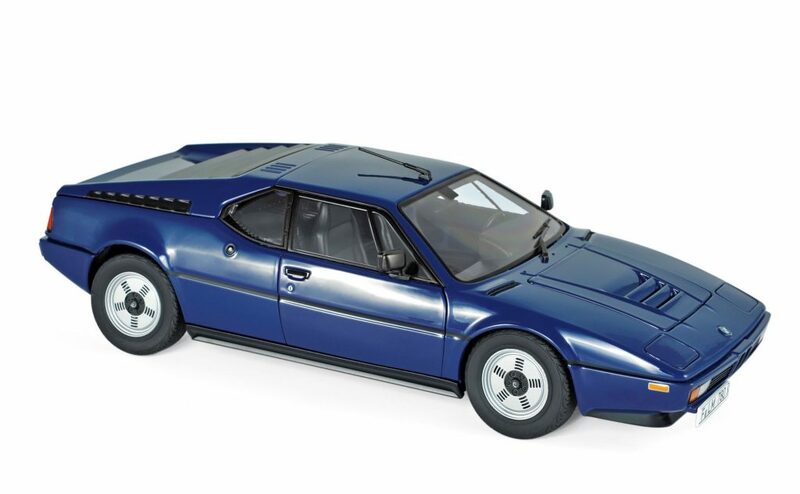 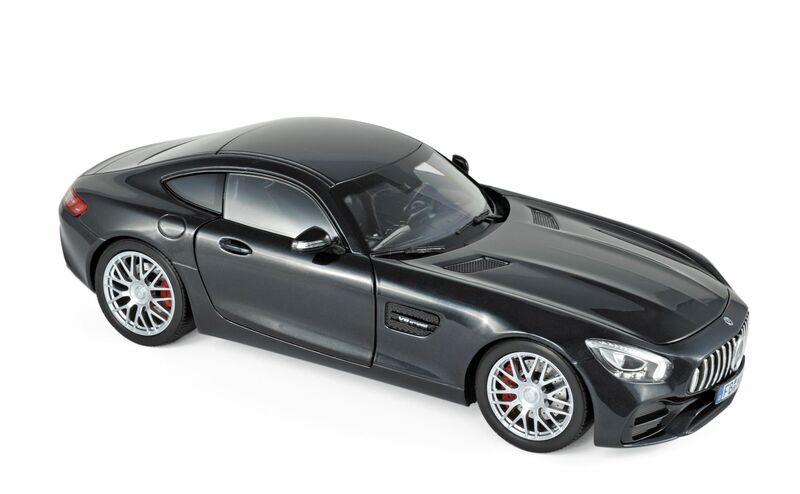 Maybe it is to provide a contrast to the silver bodywork as a silver engine would have not stood out at all. 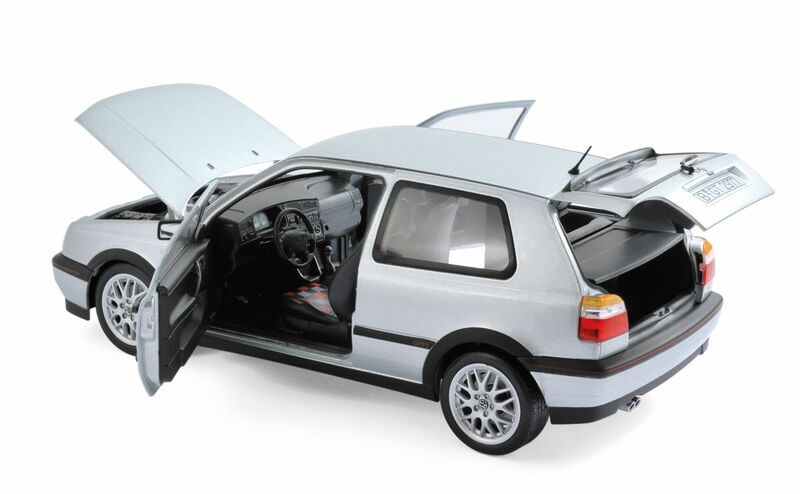 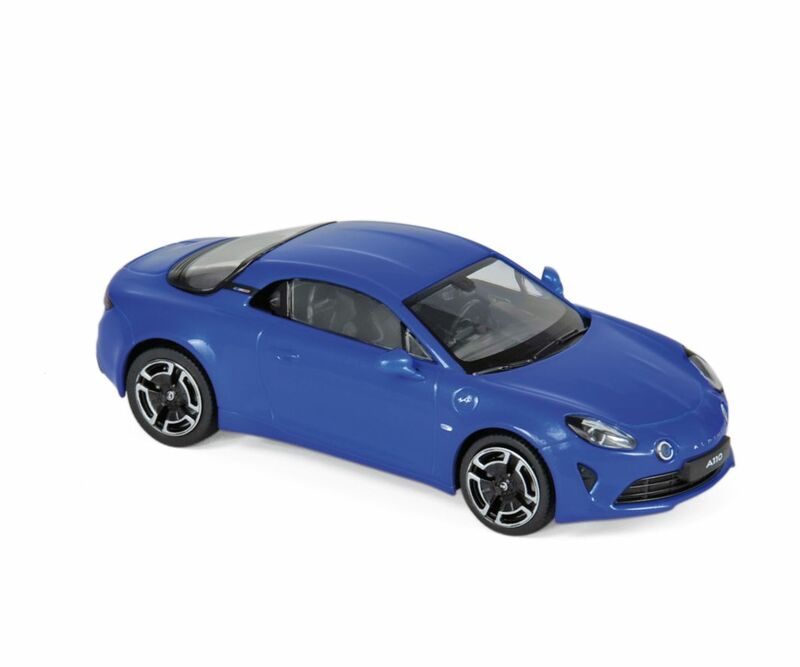 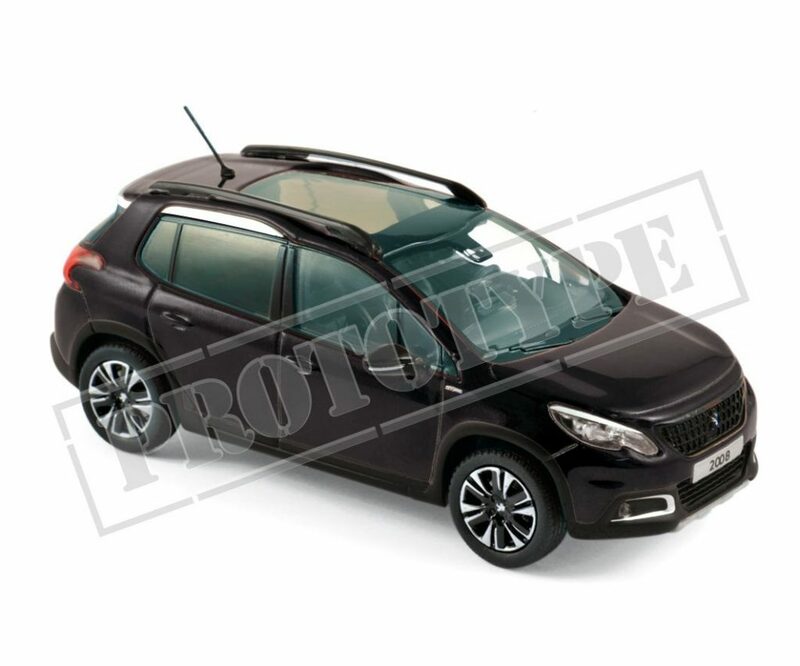 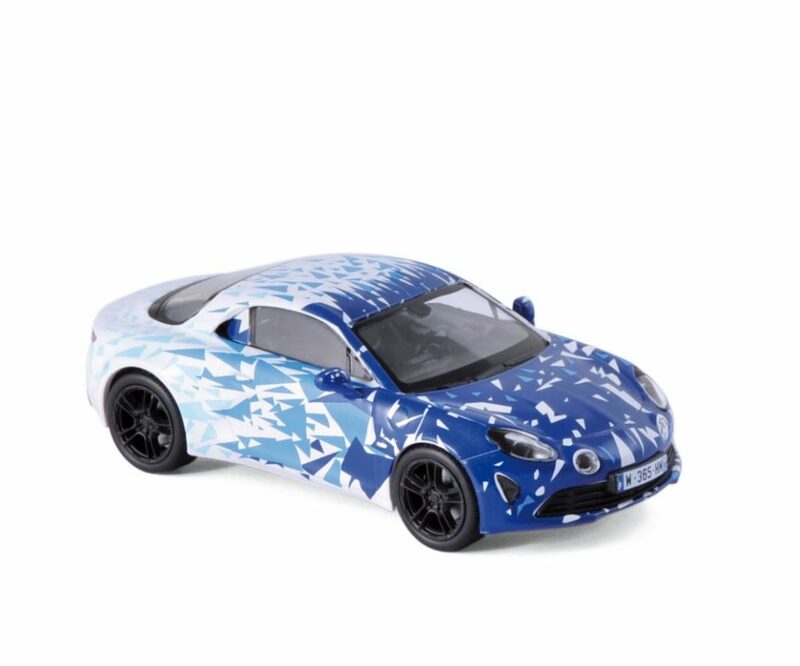 The base is in plastic and the car has suspension fitted and has a slot to the rear to allow it to tow tabbed accessories.